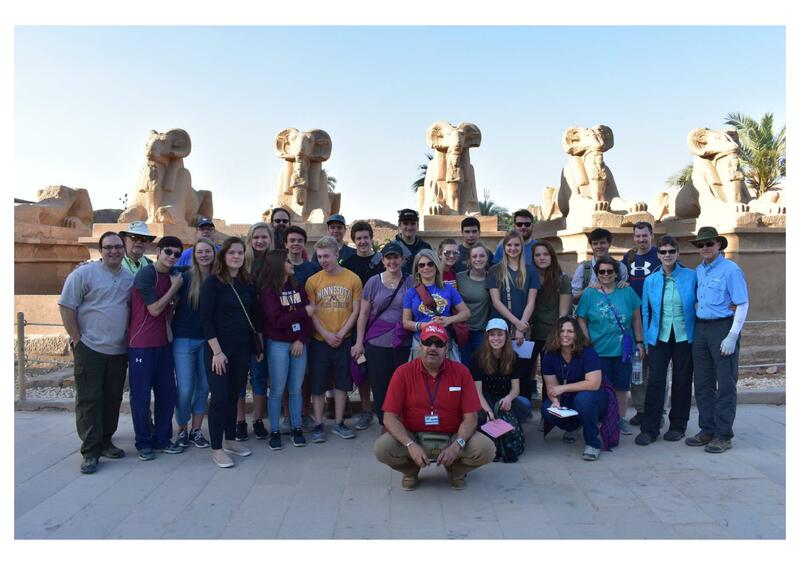 From Thursday, March 8 through Monday, March 19, 30 students, parents, and staff from Legacy Christian Academy will be traveling on a biblical history trip to Egypt and Israel! 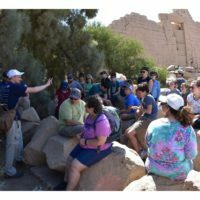 During their travels through Cairo, Luxor, Galilee, Nazareth, Capernaum, Caesarea Philippi, Jericho, the Jordan River, the Dead Sea, the Qumran Caves, Masada, Jerusalem, and the Mount of Olives, the group will be studying the Bible, not only in its original cultural, historical, and biblical context, but also on site, walking where Jesus and His disciples walked. 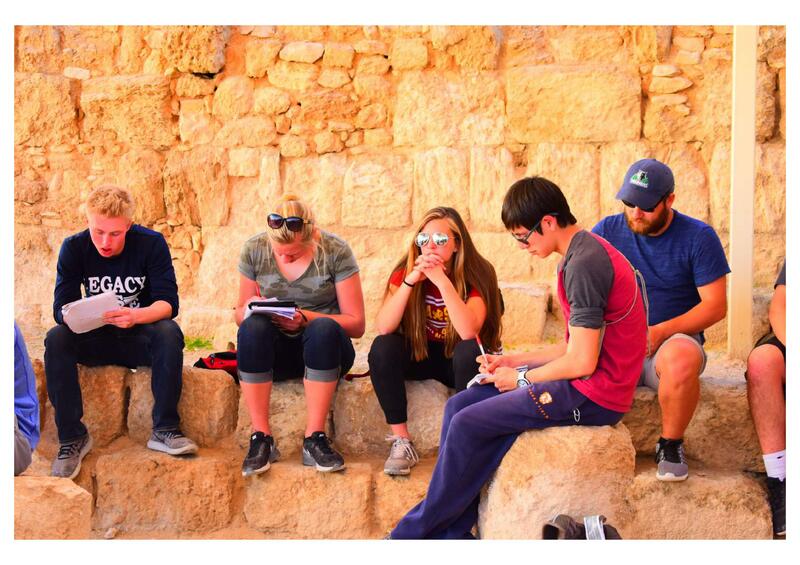 As the culture, history, and context of the Bible is unfolded in each location, students and adults alike will grow in their love for God’s Word, their appreciation for God and his the church, and marvel at the beauty of the unfolding of salvation history throughout the ages. 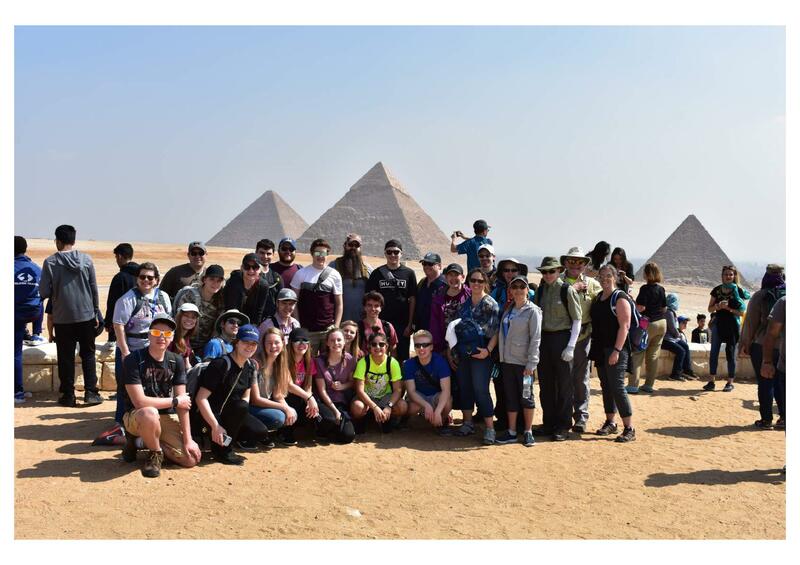 Thank you to Mr. Ben McGowan for writing the blog entries, and to Mrs. Meredith Christian for sending the pictures that help us to get a small glimpse into this incredible trip! 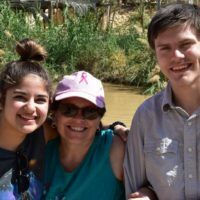 Our last day in Jerusalem was quite a busy one. 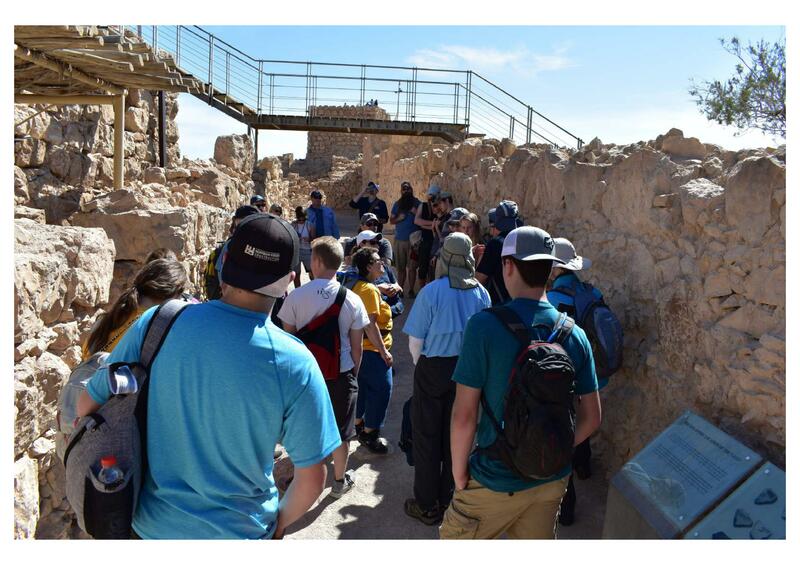 First, our group went to the original Southern Steps of Herod’s Temple. 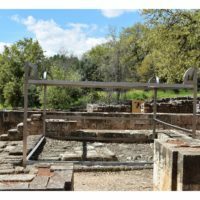 Interestingly, the steps here are not all even: some are short, while others are quite deep – this is to ensure that no one runs to the Temple. Instead, one must be careful and reverent as he/she approaches the House of God. 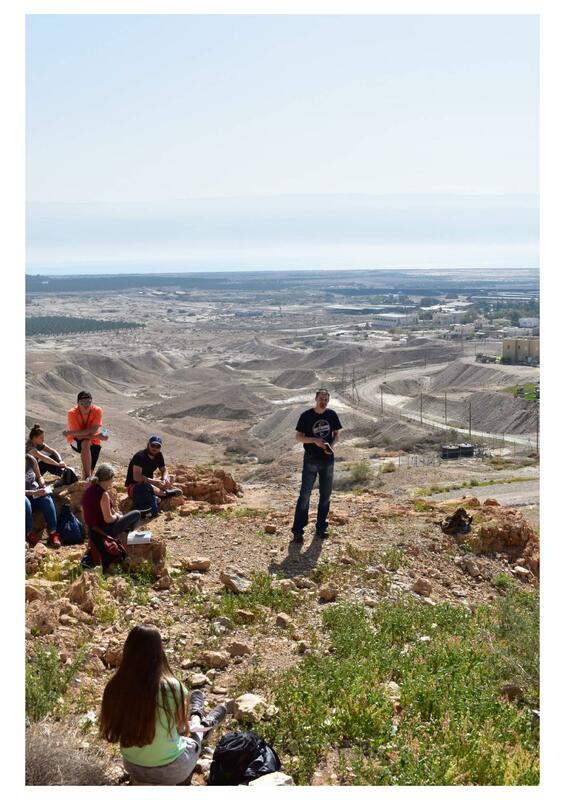 No other group was nearby, so we had a quiet lesson time in the cool of the morning where we discussed the relationship between the original Passover and Shauvot/Pentecost, and the Passover during which Jesus was crucified and the Pentecost of Acts 2. At the first Passover, the lamb’s blood was wiped on the door post and lintel so that God’s wrath would pass over those homes. Jesus, our Passover Lamb, shed His blood upon us so that God’s wrath at sin would pass over us. 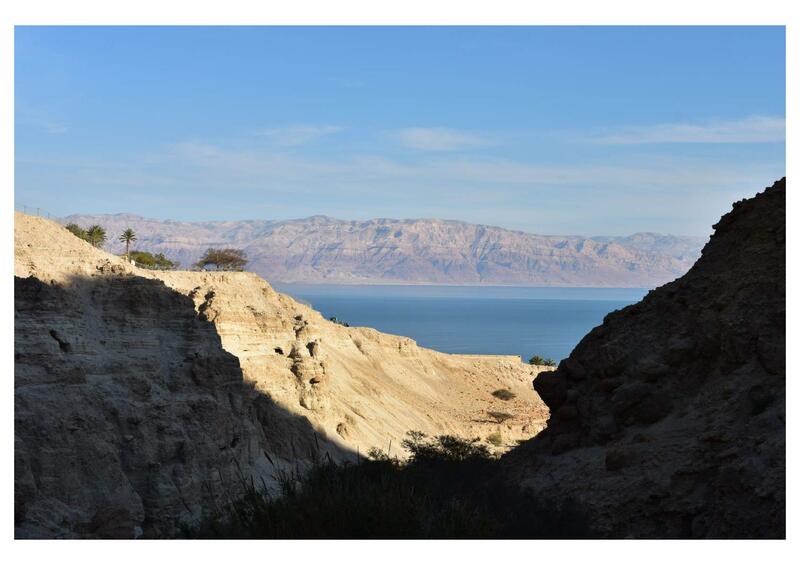 The morning after the first Passover, the Hebrews left Egypt, and 50 days later Moses was on Mt. Sinai receiving the Law from God – this is celebrated by the Festival of Shauvot, or Pentecost. Shauvot also celebrates the wheat harvest. 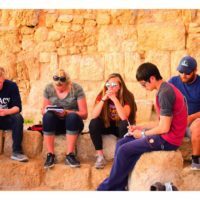 Now, fulfilling a pattern set in the Torah, Jesus – our Lamb – was crucified on Passover Friday, and 50 days later the Holy Spirit descends upon the Apostles at Pentecost, and they preach the Gospel miraculously. The Jews in Acts 2 had come to celebrate the giving of the Law, but instead received something superior to the Law. 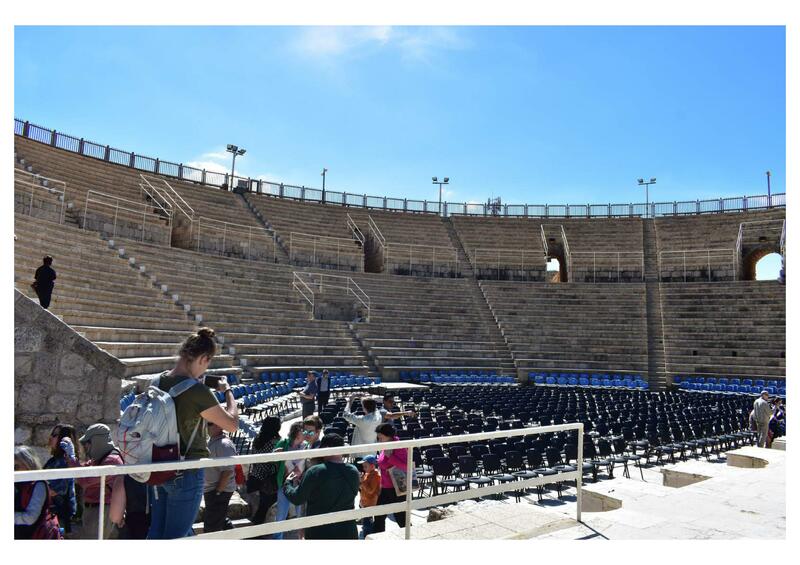 And our group sat just nearby where the Acts 2 Pentecost took place. Incredible! 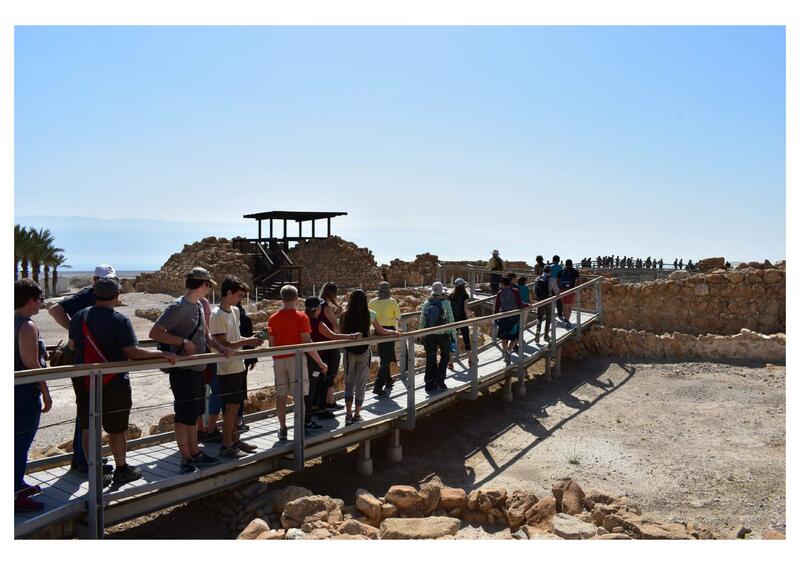 We then walked to the area where the money changers would operate, just at the entrance area of the Temple. Sacrificial animals were necessary, and greed took over. 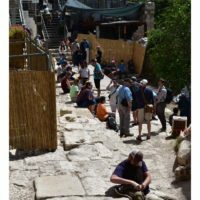 We stood in the area where Jesus, enraged at the “thieves” in His Father’s House of Prayer, flipped over their tables and made a whip to beat the greedy people and their animals away. 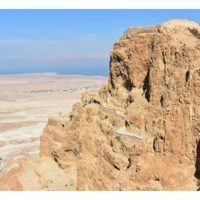 There were several stones among the ruins that existed when Jesus lived – one in particular was called the “Pinnacle”, where the Shofar would be blown. 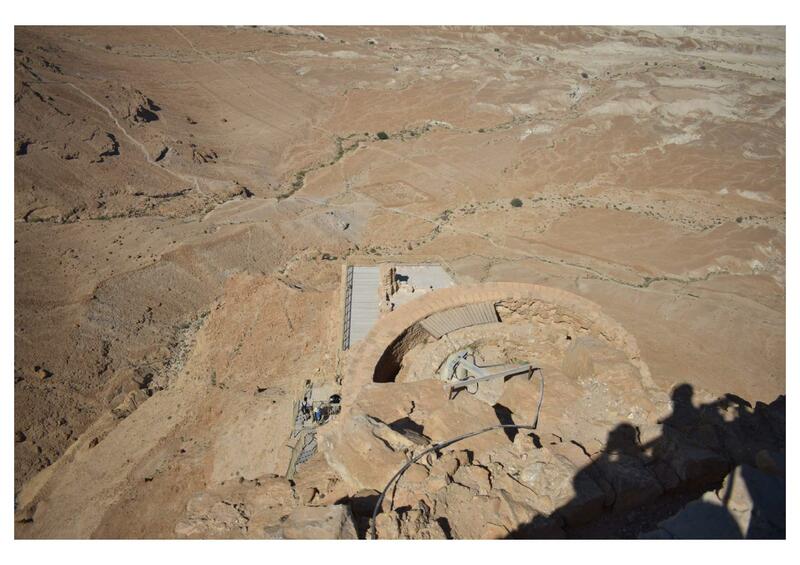 In Matthew 4, Satan takes Jesus to this Pinnacle of the Temple and tells Him to jump and let the angels catch Him. 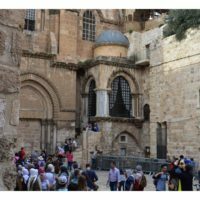 Just being in and around the Temple area, where Jesus walked and taught, and where the Apostles met in the early chapters of Acts was humbling. We were walking and learning among deep, rich history. 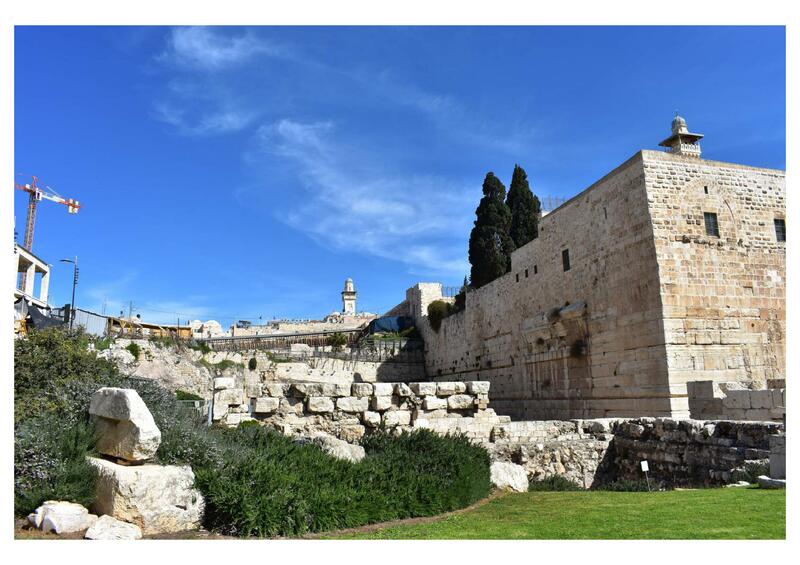 One of the most iconic places in Jerusalem is the Western Wall, also called the Wailing Wall. 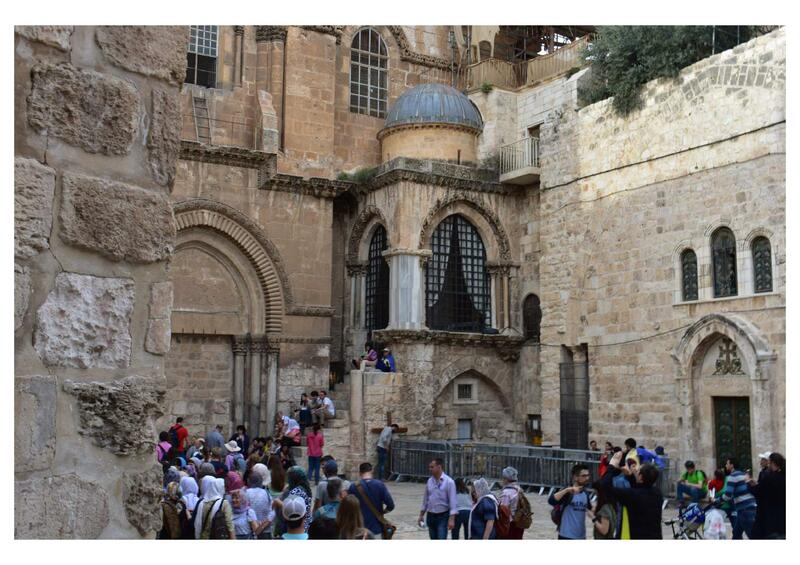 This area is open to all people of all faiths, so we were allowed to approach the Wall, touch it, and offer prayer. 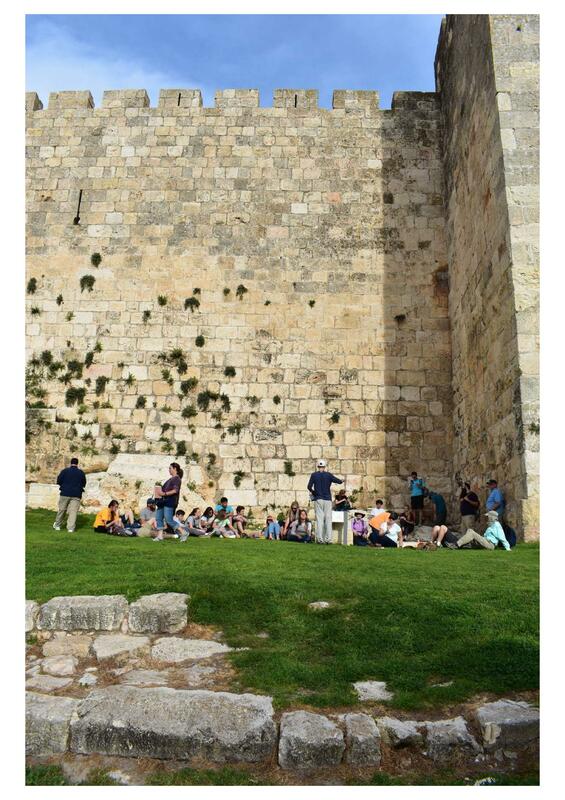 Men had their own area, about 2/3 of the Wall, and we had to be covered with a yarmulke. Women had about 1/3 of the Wall, and did not have to be covered. 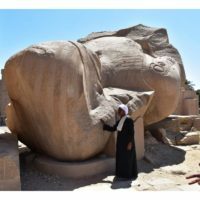 Something I (McGowan) noticed: at about “hand-height”, 2-4 feet from the ground, was very smooth – over the centuries, the hands of prayerful people have worn the stones down and made them like marble. 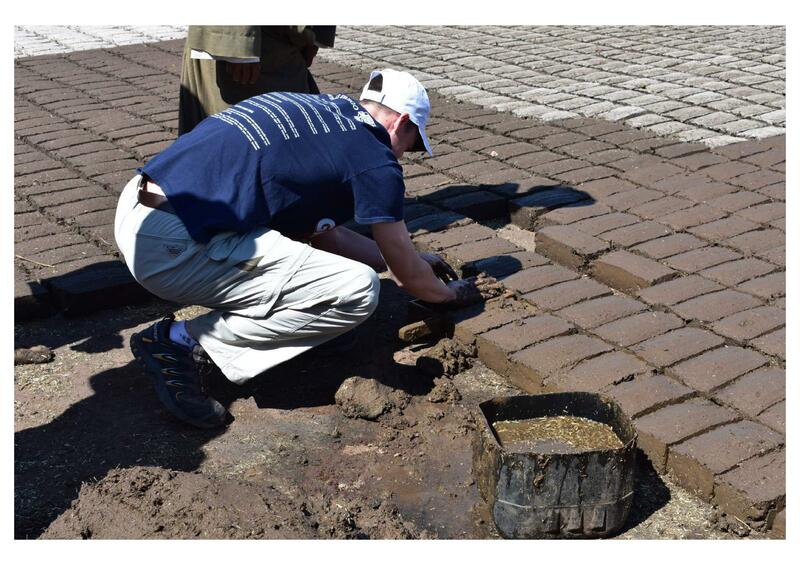 In fact, most of the pavement stones were also worn down very smooth. 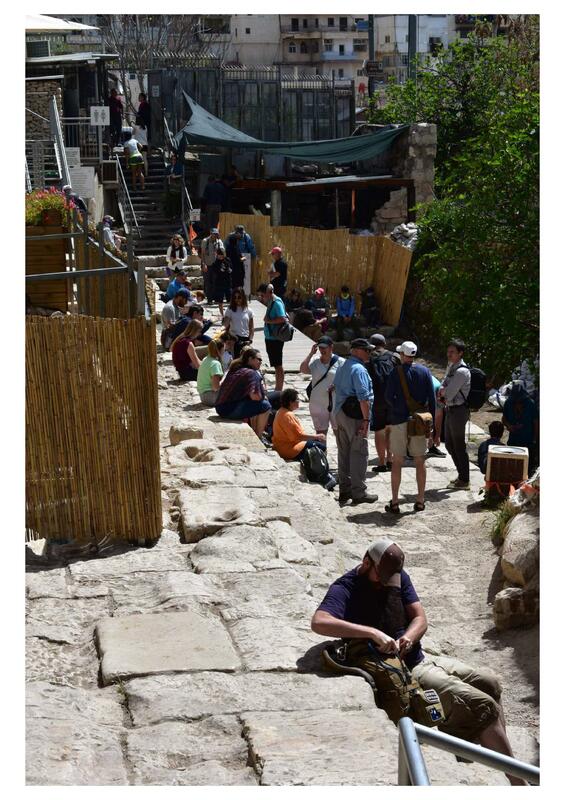 For thousands of years, people visiting Jerusalem walked these stones, and they bear the mark of being tread upon. We said our prayers, and we were all humbled by the experience. 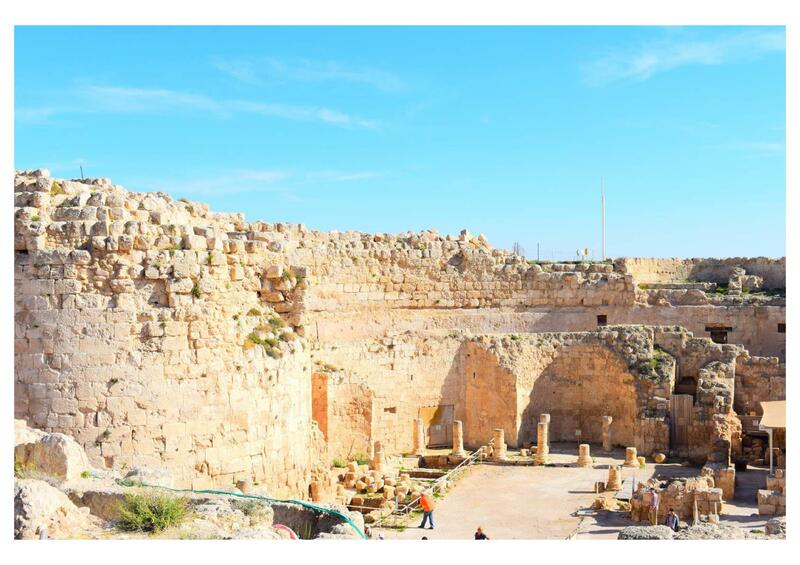 We traveled to the ruins of the City of David, which was only recently discovered in the last 10 years. 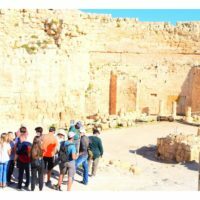 We saw ruins of roads, buildings, Mikvehs (places of ritual washing), ruins of David’s palace, and a seal which provides historical reference for the House of David, his family. Our guide, Josef, went out of his way to impress upon us the importance of this find. David was a real man, who lived and existed and did the things the Old Testament records. Our Bible is reliable, historical, and true! 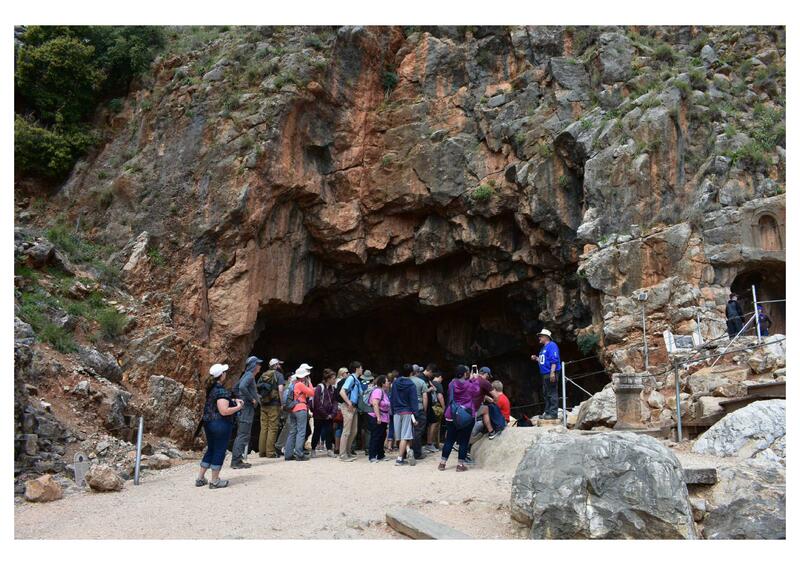 We then went to Hezekiah’s Tunnel. 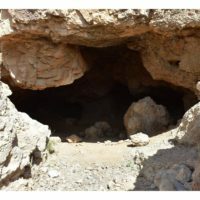 Hezekiah built this tunnel in order to provide running, fresh drinking water for the city during the Assyrian army laying siege in and around the region. 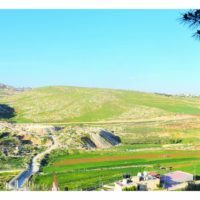 Really, it was an ingenious move – a hidden water system to keep the city alive when the Assyrian leaders thought they had victory in the bag by just waiting. 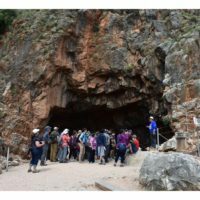 Our group was able to walk the length of Hezekiah’s Tunnel – in the dark, in knee deep water. It runs almost a mile in length. At times, we had to crouch down – some more than others. The water still today runs clear and fresh, although I wouldn’t recommend drinking from it after a group has walked through it. 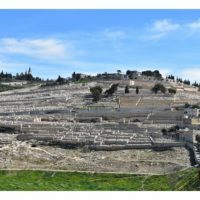 Going back towards the Temple complex, we visited the Mount of Olives, a quiet olive grove overlooking the city of Jerusalem. 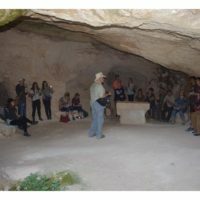 It is highly likely that Jesus spent time here, camping out with His disciples and teaching. 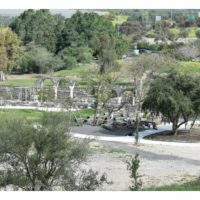 This, however, was not the Garden of Gethsemane – a “gethsemane” is actually where olives would be pressed into olive oil. 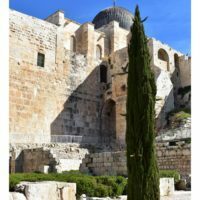 It would have been quiet when not in use, and there is something about the setting of an olive press that gives context and dimension to Jesus praying before He was betrayed and crucified. We went into a Franciscan chapel that exists on the site where Jesus’ prayer likely took place. It was a reverent, still place. A great place for prayer to the Lord. 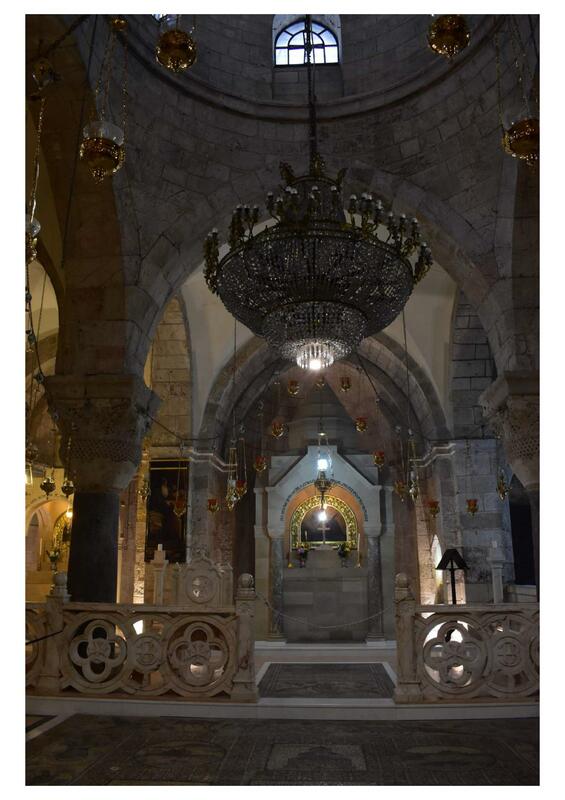 After this, we went to the Church of the Holy Sepulcher, a Church operated by several denominations in the city. 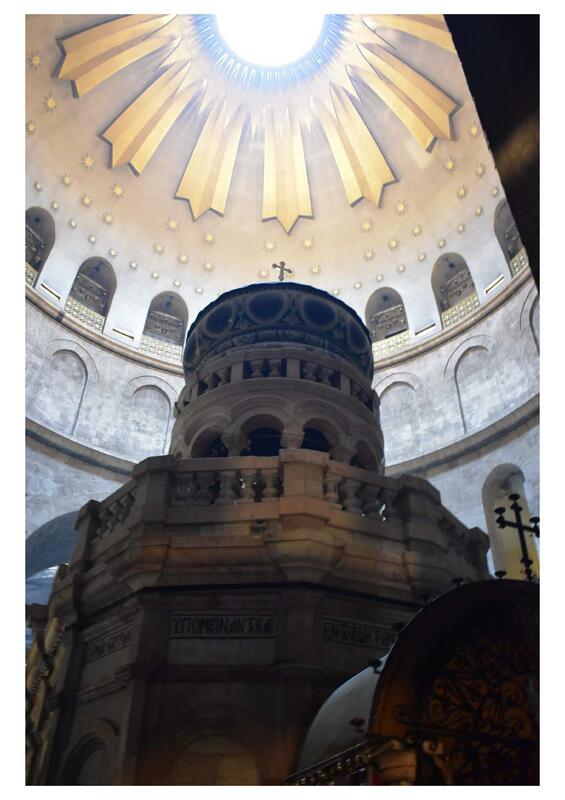 This Church is built on the site most likely to be Jesus’ tomb. This Church is expansive – it seems to go on for a day! 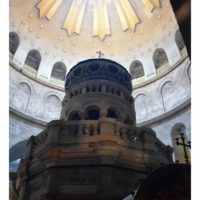 But, we focused on two small chapels, on the bottom floor: one was a tomb – something like what Jesus would have been laid in, and where some believe He was actually buried. A Catholic Mass was going on, and the entire complex was filled with the smell of incense. It really was a “pleasing aroma” before the Lord. 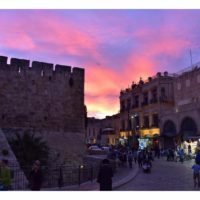 Mr. Mulvihill then allowed our group some shopping time along David Street in the Christian quarter of the Old City of Jerusalem. Everyone seemed to find something that caught their attention, some souvenir to take home – and we all had to bargain and negotiate for the price, no price was set. Scarves, head wraps, coffee carafes, and other trinkets. 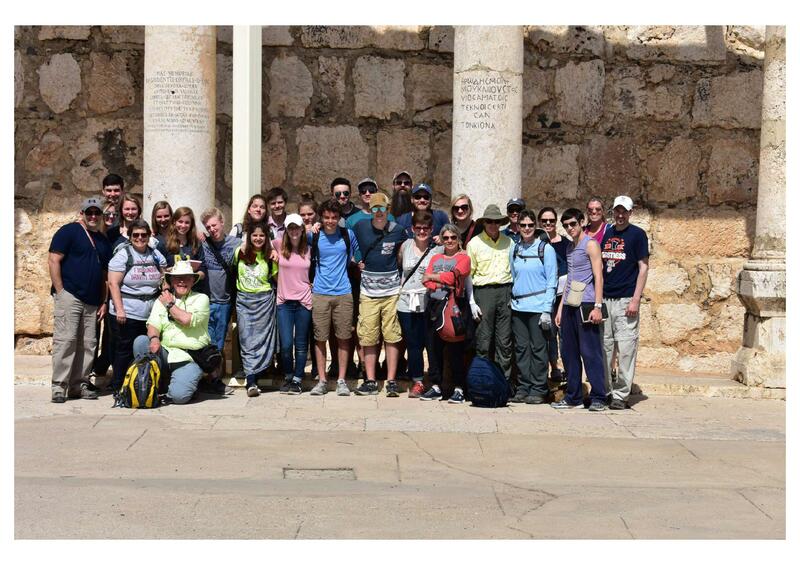 We ended at the Jaffa Gate, waiting for our group to finish shopping and assemble to go to the bus. 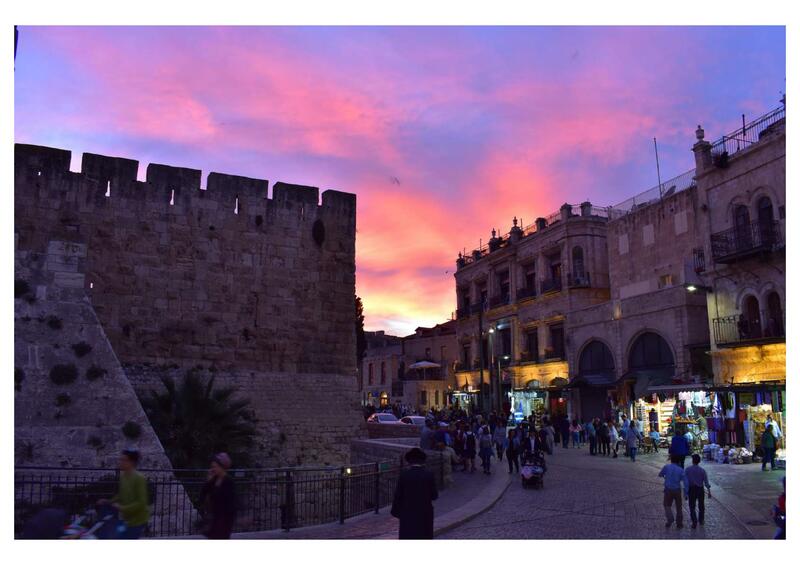 Mrs. Christian took a picture of the sunset over the Jaffa Gate that is picturesque. 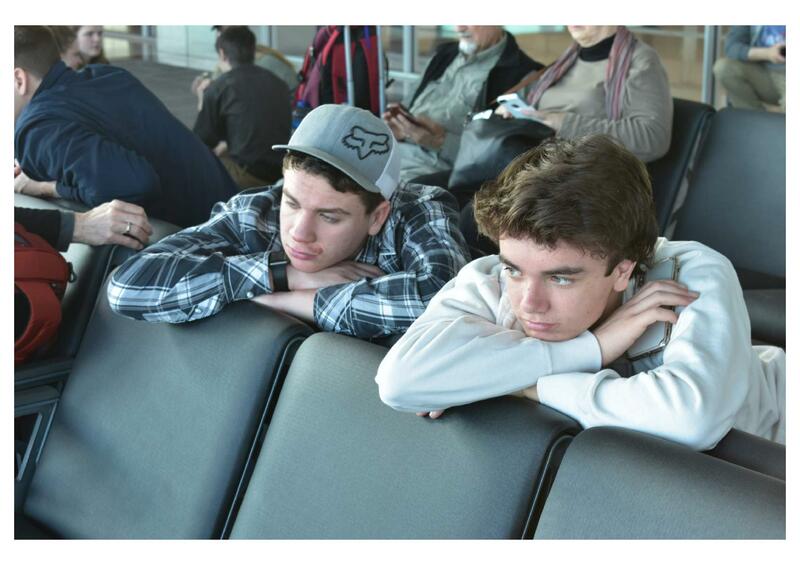 Our flight to Istanbul left Tel Aviv at 1:00 am. 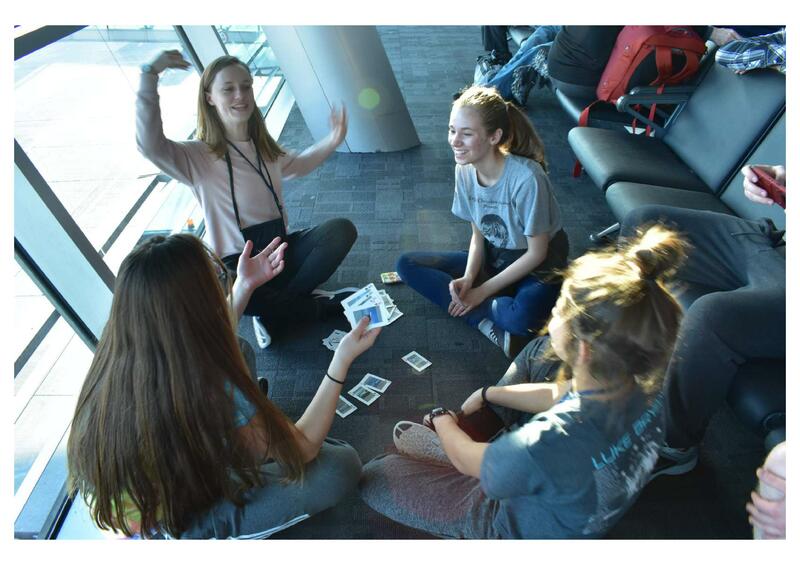 We then went from Istanbul to New York, and then to MSP — HOME! 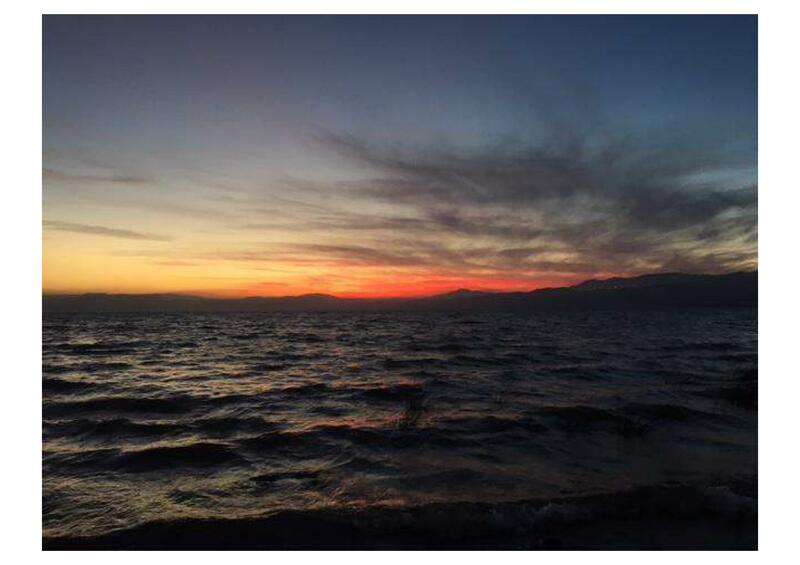 This morning, we said goodbye to the Galilee region. 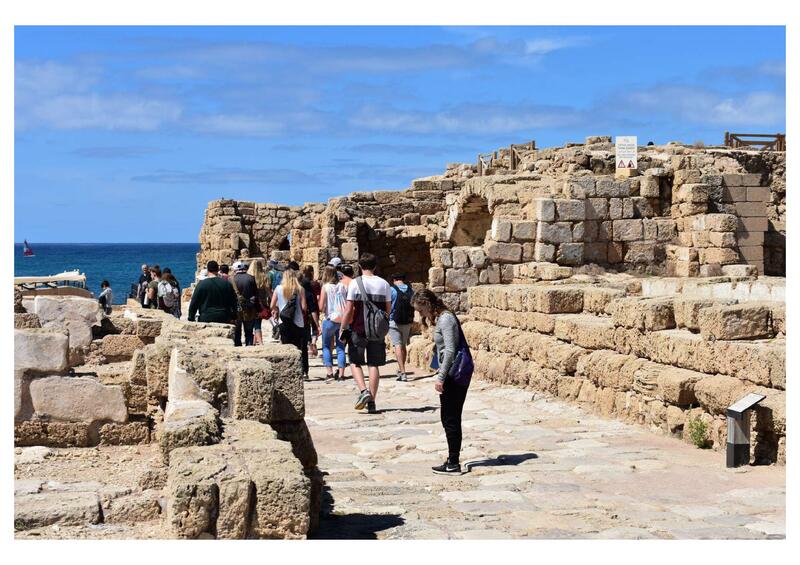 Our first stop was Caesarea by the Sea, a seriously impressive harbor city built by Herod the Great. 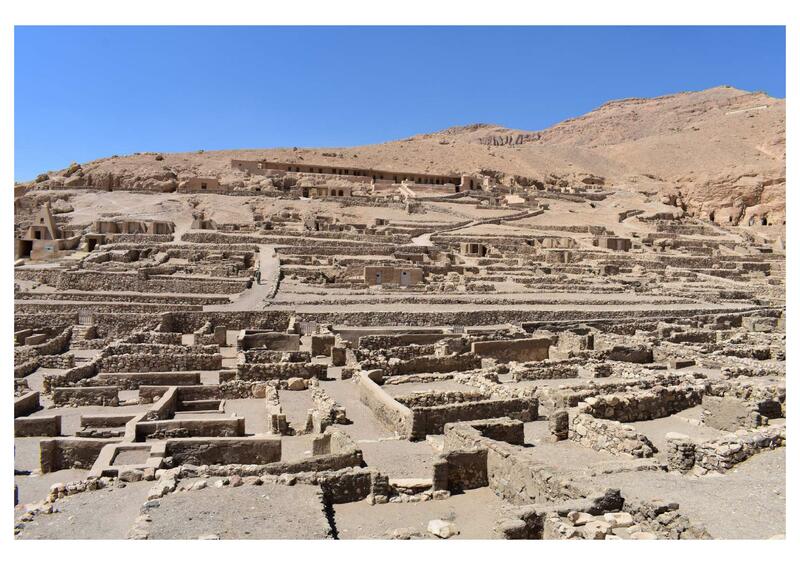 This was a major city in the Judea, and entire Middle East, region. 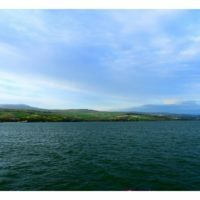 The harbor was so large, over 120 boats could be easily moored there. 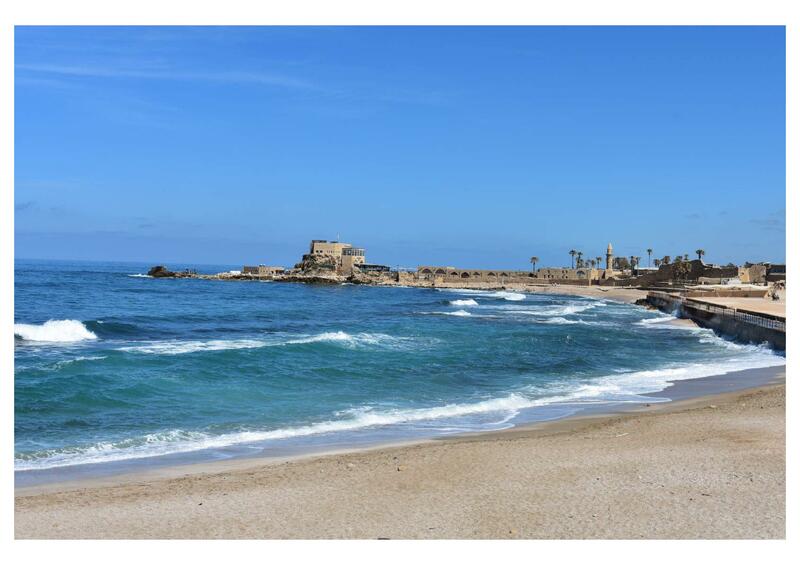 Being such a rich harbor, Caesarea cut into the Egypt-Rome trade routes, making the city and Herod extremely wealthy. 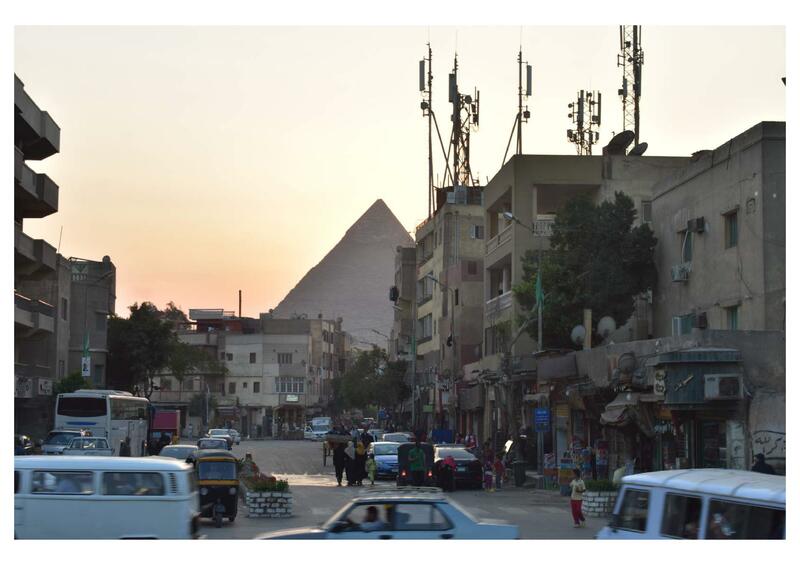 So much trade was done in this city that the Egyptian economy slowed for years because of it. 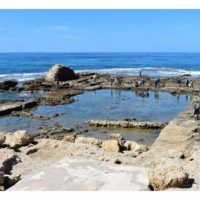 Herod’s own palace overlooked the harbor, and had a freshwater swimming pool right at the sea’s edge – a freshwater pool among salt water was a bold statement of wealth and prestige. 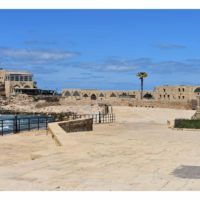 Philip the Deacon and Evangelist eventually settled here in Caesarea, and Paul was imprisoned here for two years, giving his defense and testimony before Roman and Jewish leaders: Felix, Festus, and Agrippa, in turn respectively. 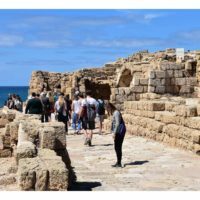 From Caesarea, Paul appeals his case to Caesar himself – something all Roman citizens had the chance to do, but something even Paul’s judges thought was unnecessary. 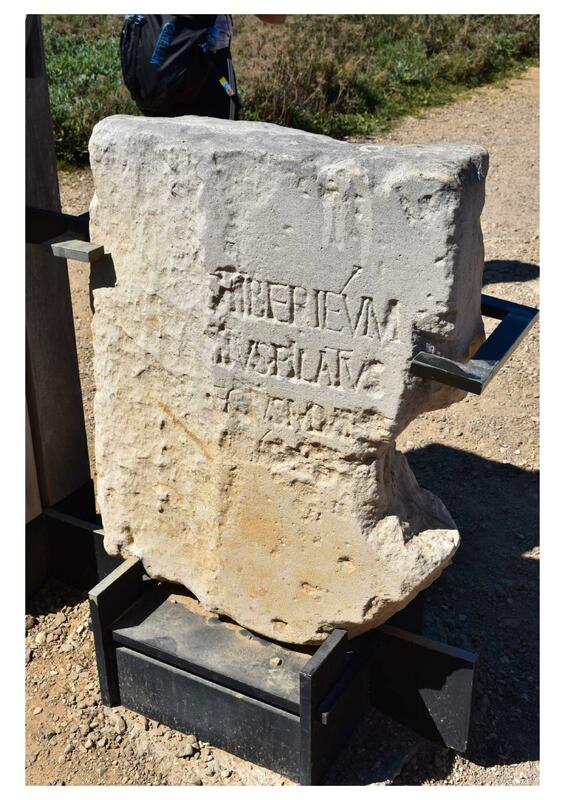 As Agrippa said, “This man could have been set free if he had not appealed to Caesar” (Acts 26:32). 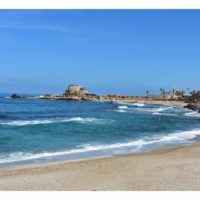 And it was from Caesarea that Paul eventually did go to Rome, where he was martyred under Caesar Nero in the mid-60’s AD. 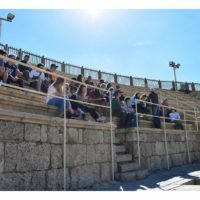 We sat at the amphitheater and walked the hippodrome where plays, horse races, and hunting games entertained the masses. 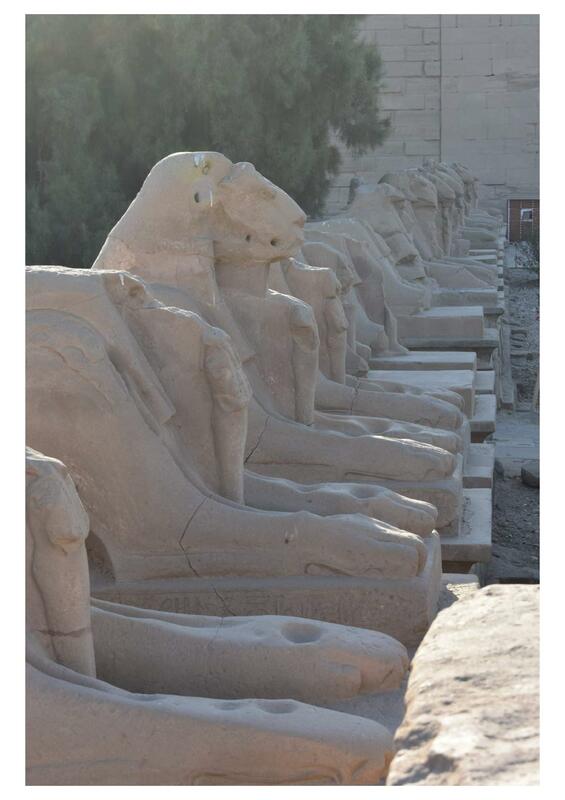 We saw several large niches for idol worship throughout the area. This was tied to the existence of Christians living in this major city very soon after Christ’s resurrection. 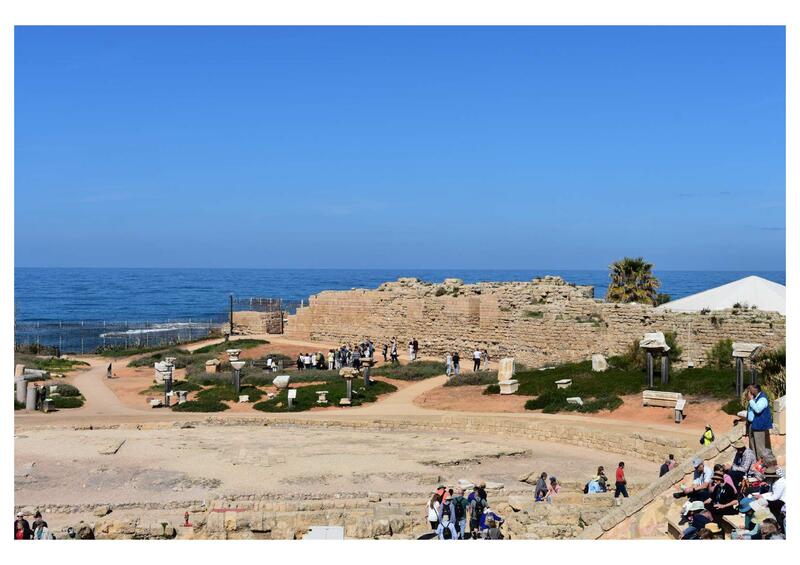 It is important to know that Christians were persecuted, and some even martyred, in Caesarea. 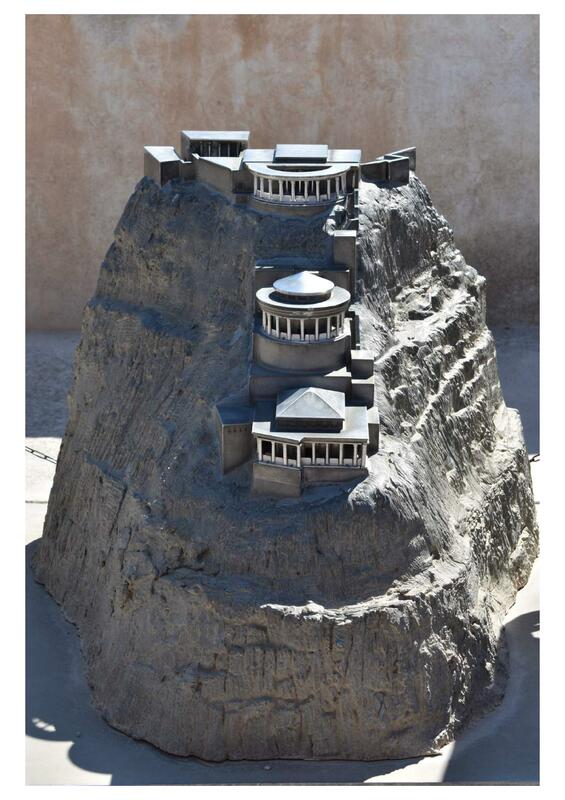 All they had to do was pay homage to Caesar, say he was a god-king. Christians would not do so, and would pay the price. Mr. Mulvihill and John Ferret challenged our group again and again to make a decision today to follow Christ, and reminded us that such a choice is not taken or ignored lightly and without consequence. Indeed, it is the most important choice one will ever make. 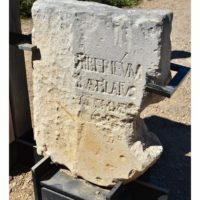 It is also interesting to note that there is a dedication stone in Caesarea that provides historical, archeological evidence for the existence of Pontus Pilate, one of the only bits of evidence outside of the Bible that we have. 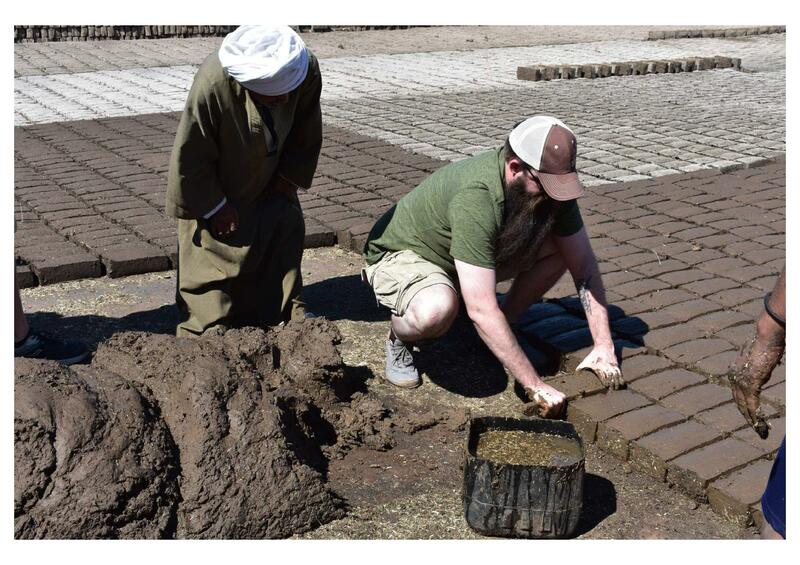 Yet again, we are learning that archeology is the friend of Christianity. 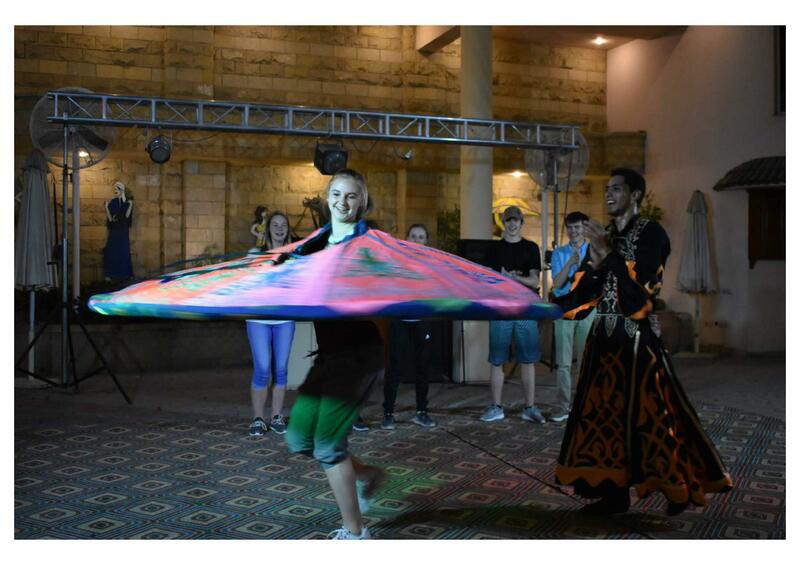 We traveled, then, to Bethlehem, where we ate at the Tent Restaurant. And, it was probably one of the best, and biggest, meals we’ve had so far. We were given freshly baked pita bread and an array of hummus and other dips. It was basically a meal unto itself, but it was only the appetizer. The staff then brought roasted tomatoes, french fries, and grilled beef-lamb patties and chicken. I cannot explain in writing how delicious it really was. Then, they brought out baklava and coffee, which was a perfect way to end a huge meal. I commented to the staff that if I lived in town, I would work at this restaurant, and they could pay me in food. 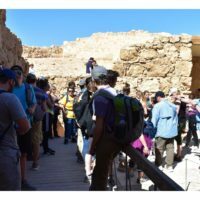 Very full, we went up to the Herodeum, Herod the Great’s personal palace, and the only structure he named after himself, rather than after Caesar. 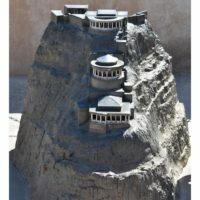 This fortress was built upon a hill, and had two levels – the lower palace for most guests and an upper palace for more important guests and personal friends. 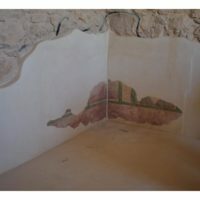 The lower palace had a very large swimming pool – another showing of wealth and power. 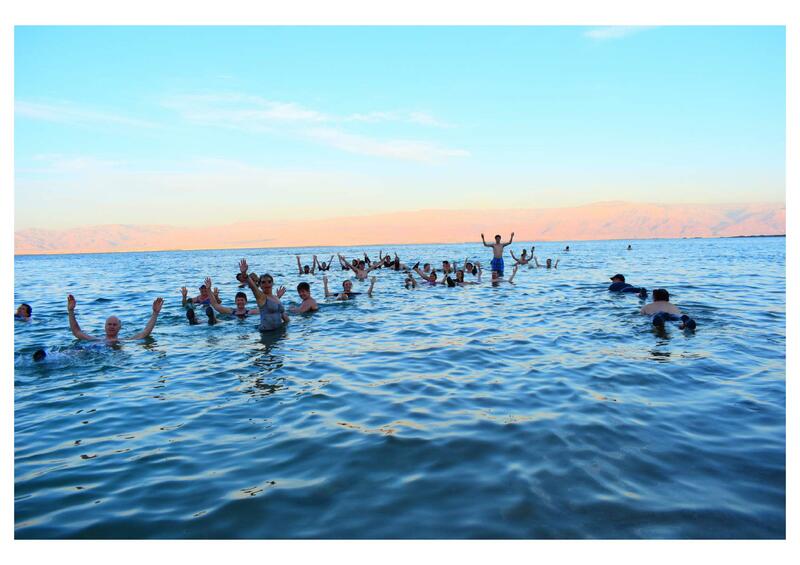 There is a story, however, that Herod himself hated swimming. The show of power was merely that, not a form of relaxation or leisure. 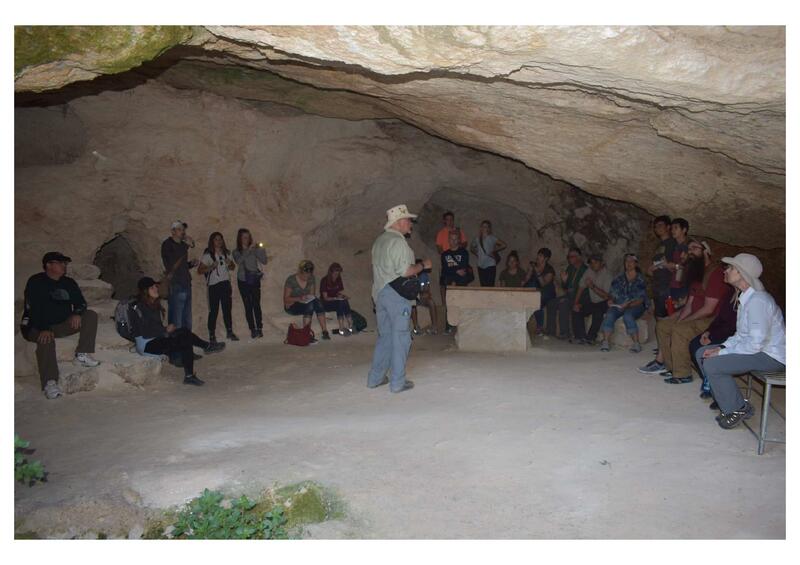 Our group then went to the Shepherd’s Cave, a Franciscan-run area where there is a cave used by first century shepherds. 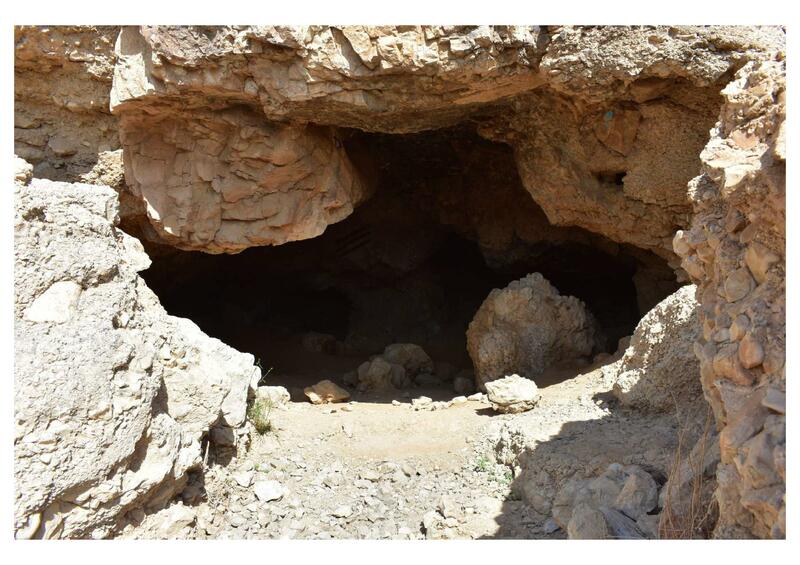 This kind of cave was used as a basement, and homes were often built on top of them. It could also be used as a barn. 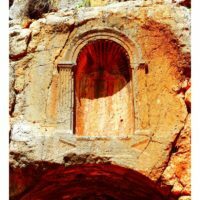 The Shepherd’s Cave was an example of what Jesus’ manger would have been like – not wooden, like a western barn, but a nature-carved hollow in a hill or small mountain. Here, Mary and Joseph would have found shelter, and Mary would have given birth to our Lord and Savior. 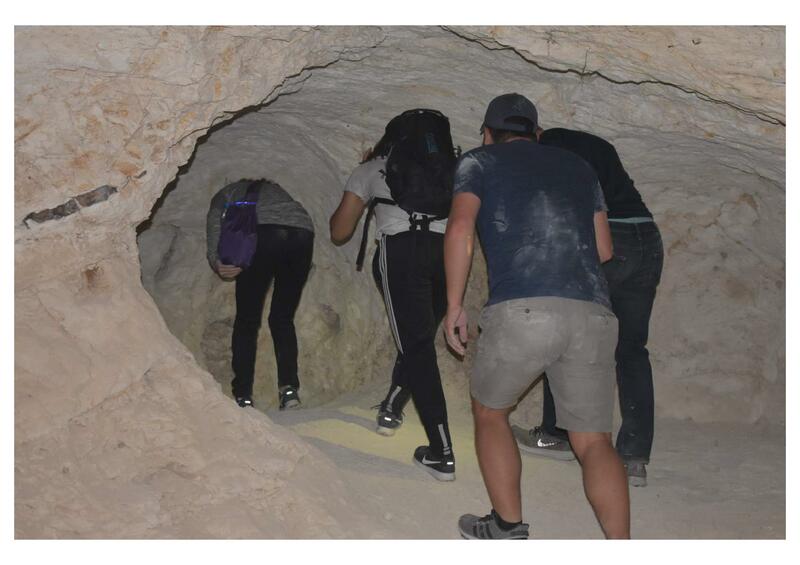 It was not clean or nice or comfortable, especially by American standards. 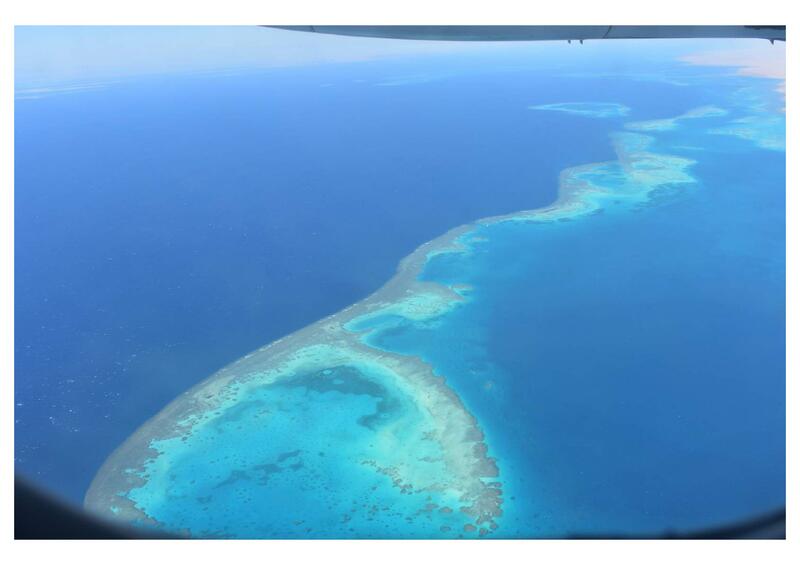 But, the Father ordained Jesus to be born in a place like this. 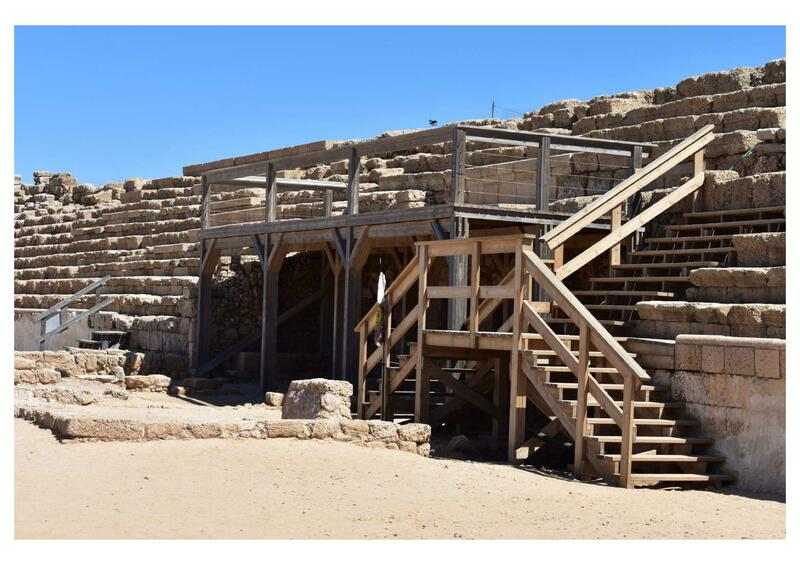 Such humble beginnings stand in stark contrast to the opulence of Herod and his flagrant arrogance demonstrated by all of the structures he built. 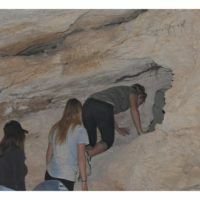 Our entire group fit in the Shepherd’s Cave, and several students explored some off-shoots. Here again, we were reminded that the baby in the manger wins, and that we must make a conscious choice, every day, to follow that victorious one. There will be cultural and personal temptations, and there will be distractions, but Jesus calls us to follow Him and Him alone. 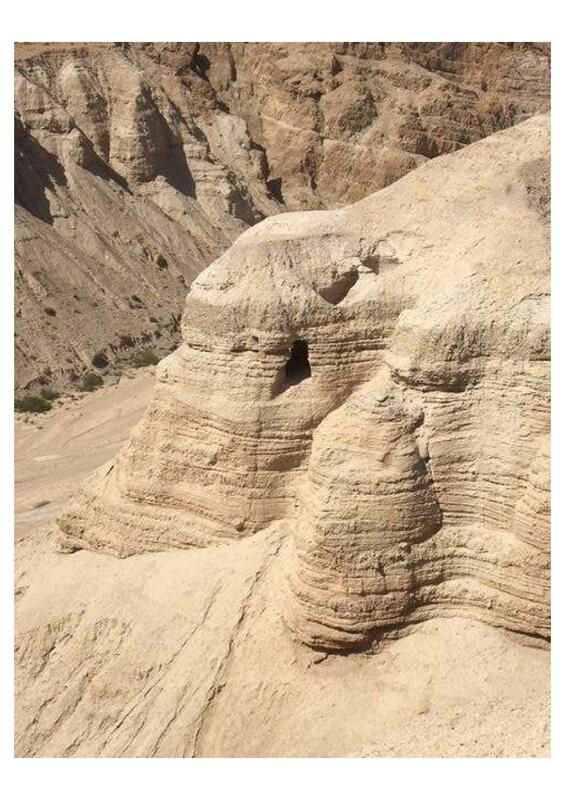 We then traveled to Jerusalem. 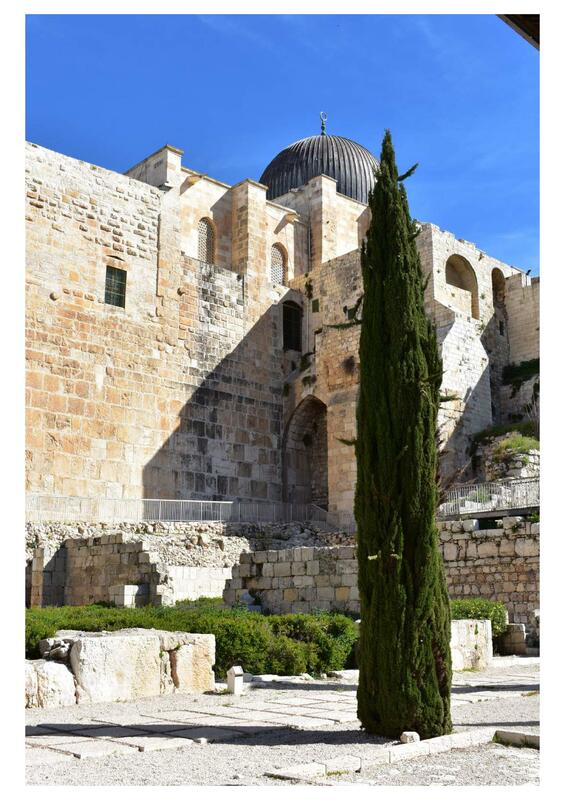 It seems fitting that our trip will end in this city – Jesus’ Passion ended here. 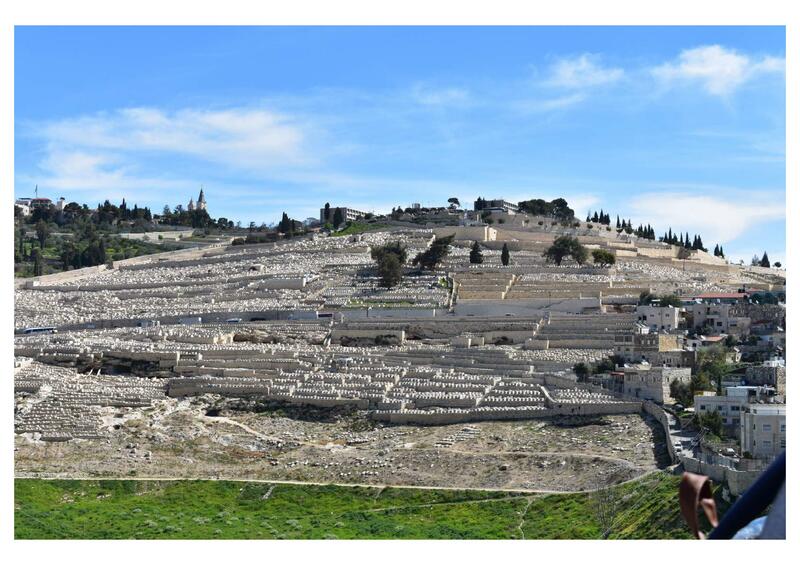 As we entered Jerusalem, our guide Josef asked our driver to pull off into an open area overlooking Jerusalem. He brought out a bag with bread and grape juice in it. He asked groups of three or four to share a small loaf of bread, and we each got a small cup of juice. 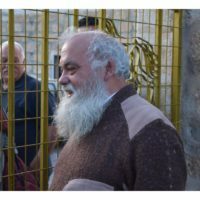 Josef is not a Christian, but he wanted us to break bread with him as he offered Jewish blessings on us because this was for most of us the first time we’d come to Jerusalem. He blessed us in Hebrew and English, we broke bread and ate, drank the juice, and got back onto the bus. 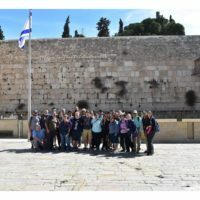 It was a touching ceremony-ritual, and we were thankful that our guide wanted to make our entrance into the holy city special. We got to our hotel and had a pretty good dinner. 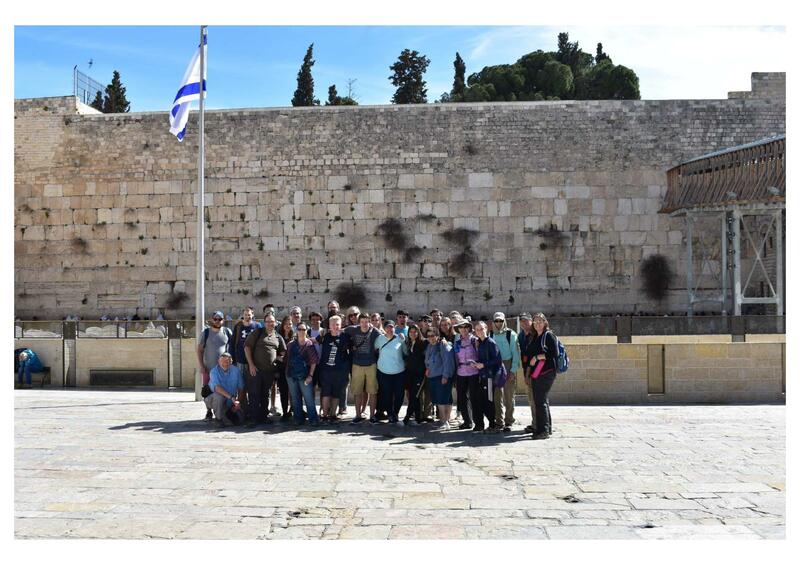 Tomorrow will be a full day – not only are we seeing many important sites in Jerusalem, but, sadly, our trip is coming to an end. We love it here, but we miss Minnesota. It was a brisk, windy day. 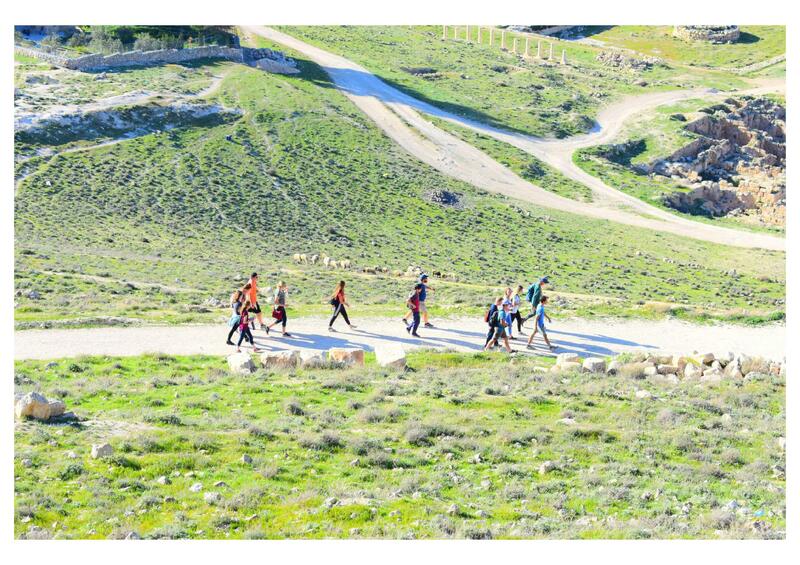 After a good breakfast, we headed to Tel Dan just along the boarder with Lebanon. 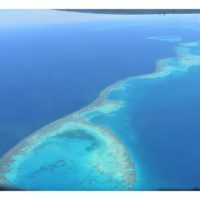 This was a beautiful, lush national park. 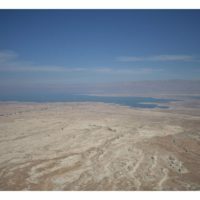 However, it was the site of some of the worst sins of Israel. 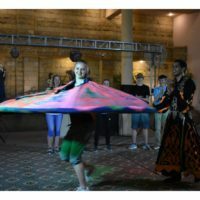 During the time of the judges, a group of men from Dan – the city got its name from the tribe of Dan – took a silver idol and its priest from a man named Micah, and set up a place of worship in Dan. 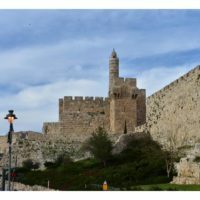 Later, when the nation of Israel was divided into two kingdoms, Judah to the south and Israel to the north, the idol worship in Dan took on added dimension. 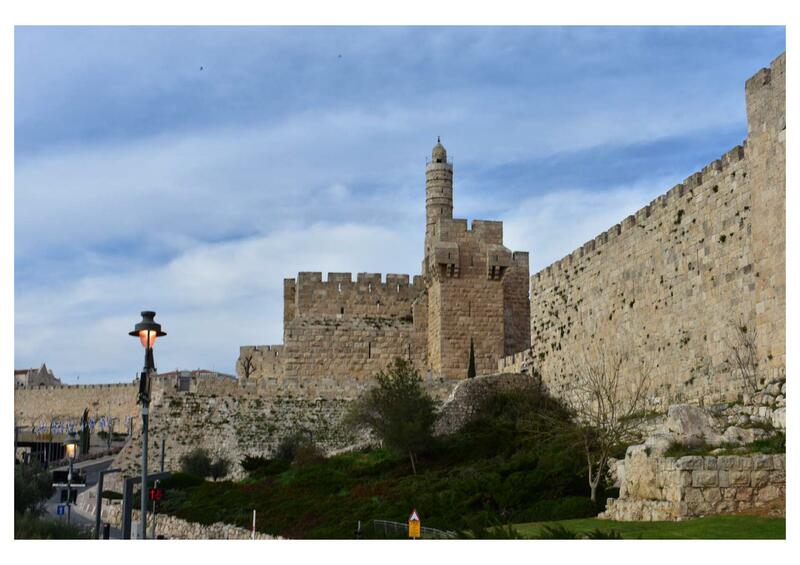 The king of Israel, Jeroboam I, was concerned Israelites would go to Judah because the temple was there. So he set up golden calf idols in Bethel, just at the border with Judah, and at Dan, at the northern most border. 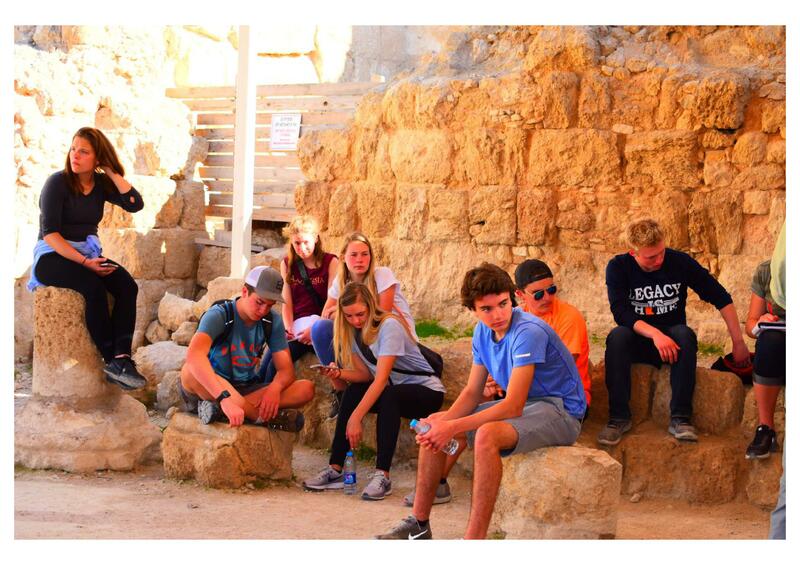 Our group sat on the ruins of the temple of this calf god, just in front of the large, counterfeit altar as we discussed the temptations that attempt to draw us away from God. We were challenged to put God first in all things and to passionately follow Him. We realized that the power and influence of this false religion was no longer active, that God had removed it from its position, but that God had established Himself and His worship in a more permanent and powerful way. The calf idol was no more; YHWH is eternal. 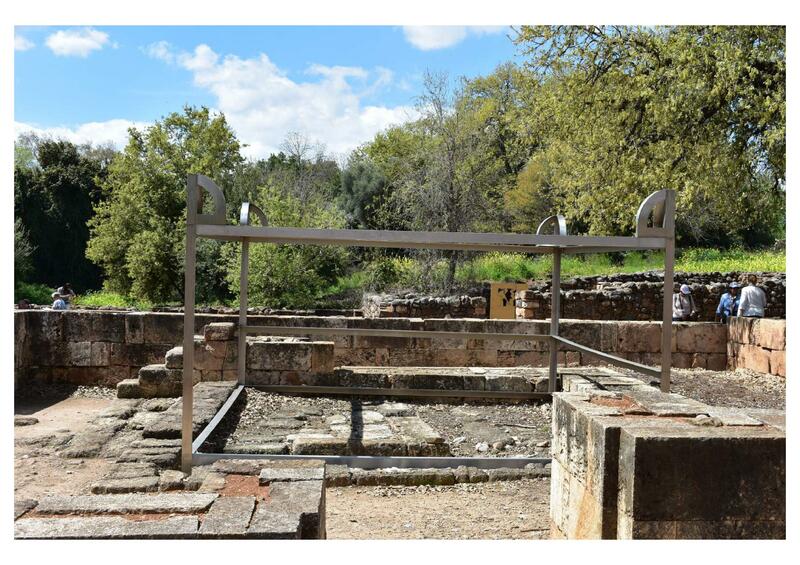 Following this theme of idol worship vs. the worship of the one, true God, we traveled to Casaerea Philippi, a place the Greeks had established as a center of Pan worship, and which the Romans expanded. 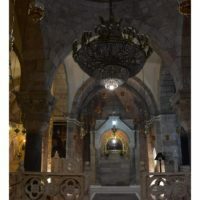 This was the place where Jesus took His disciples and asked them, “Who do the people say that I am?”, and then asked them, “But who do you say that I am?” It was here that Peter made his famous confession that Jesus is the Christ, the Son of the Living God. 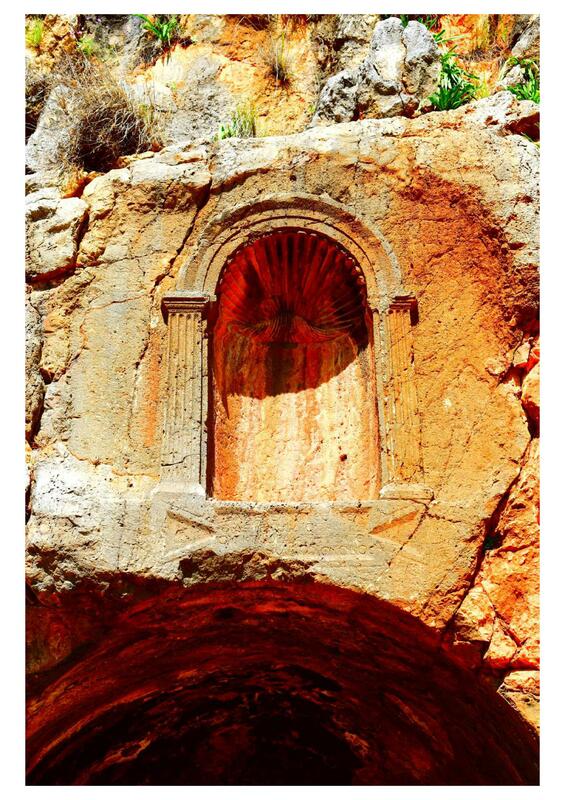 Keep in mind, the cave and cliff wall at Caesarea Philippi has several niches where idols were kept and worshiped. Jesus, when lined up against other gods, idols, or anything that attempts to compete with Him for the hearts and minds of humanity, calls us to give Him all of our attention, devotion, and passion. He does not desire to share us and our love with anyone or anything. 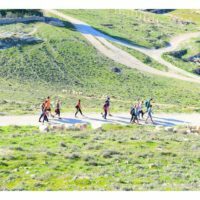 After Caesarea Philippi, we traveled up into the mountains to eat at a restaurant owned and operated by the Druze, a group that branched off from Islam a little less than 1,000 years ago. 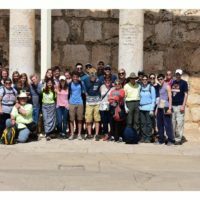 They are a monotheistic, closed faith group that lives only in Israel and Syria. 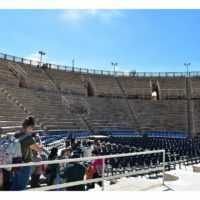 Lunch was really good – most of us had what is best described as a very large, flat pita, smothered with goat cheese and an herb-oil blend, folded twice over, then thrown on a griddle. It was extremely yummy. I regret not getting an extra for the road. I’m not sure when I’ll be able to get Druze food again. 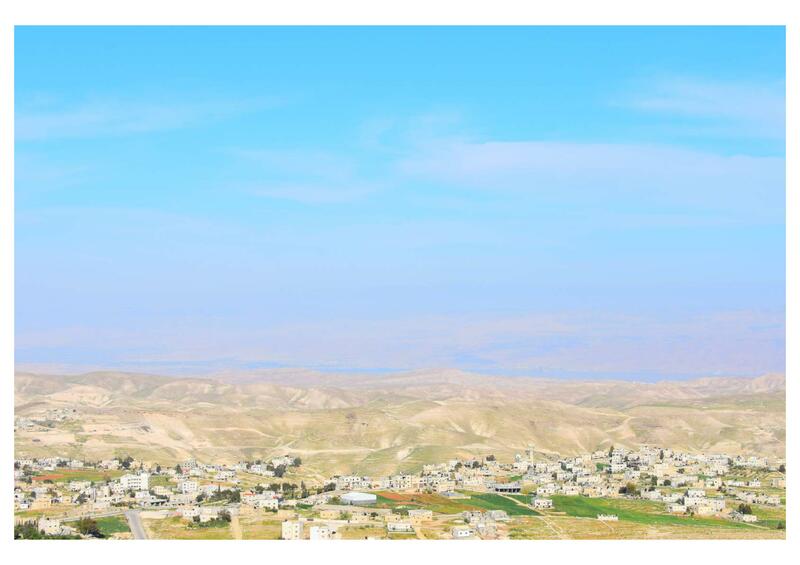 We went back down the mountain to a town called Omrit. We parked on the side of the road and walked a ways to a temple ruins. 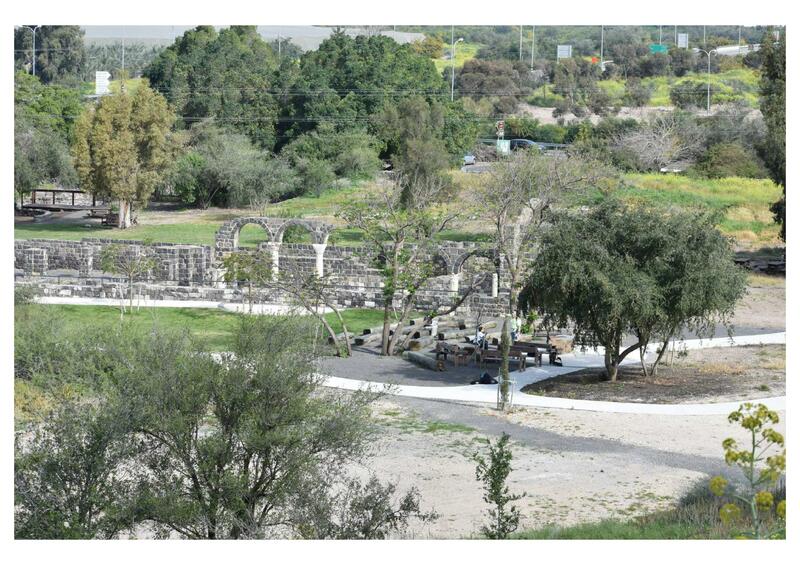 This temple was found in the late 1990’s after a fire exposed the landscape. 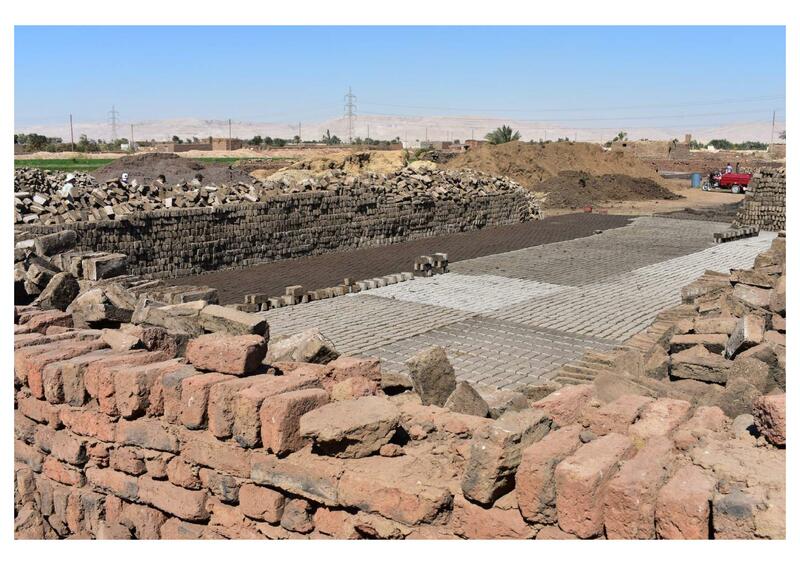 Excavation revealed a temple complex, and the excavation work continues today. 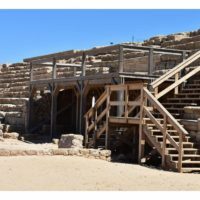 This temple is called the Augustineum, built by Herod to honor his friend Caesar Augustus, who had recently declared himself a god-king to be worshiped. 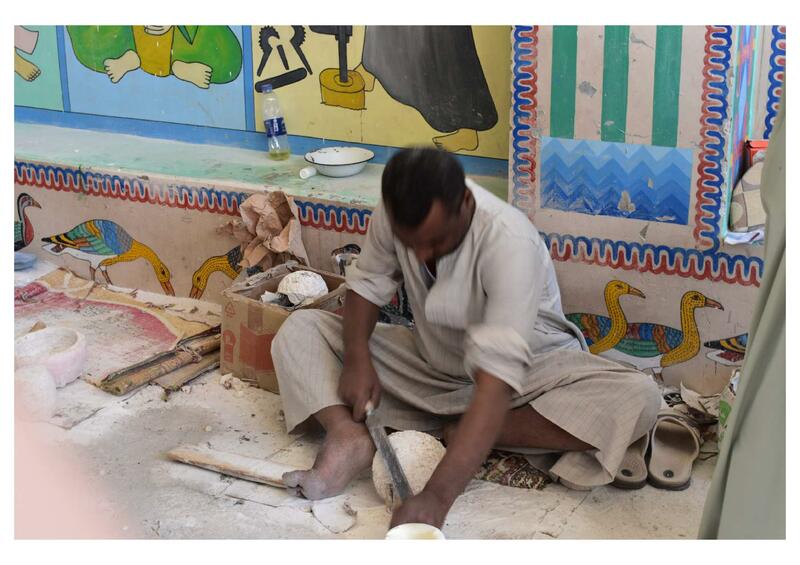 So, of course the best way to do that is to build a temple where he’d be worshiped. 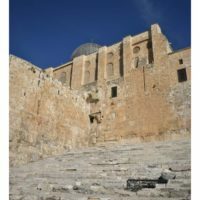 It is also important to know that this temple was along the Damascus road – Paul would have passed by on his way to capture and imprison Christians – and he, being a seriously devoted and religious Jewish Pharisee, would have been disgusted by it. Again, our group discussed the conflict between false faith, true faith, idol worship, and worship of the true God, following God half-heartedly, and loving Him with all our heart, mind, soul, and strength. 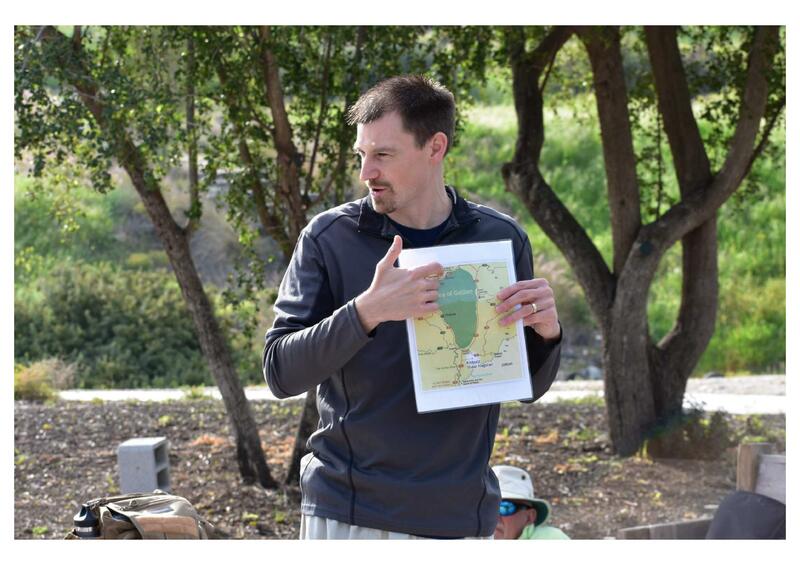 Mr. Mulvihill and John Ferret challenged our group to think through and reflect on what we’d seen throughout the day. Finally, we traveled to Mt. Bental overlooking the border with Syria, a place where the Israeli military had placed bunkers and artillery in the Yom Kippur war. 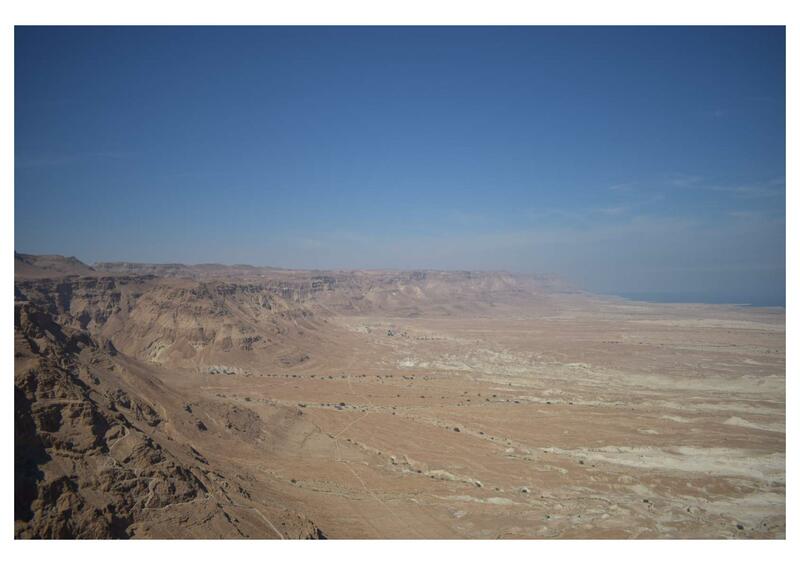 The Israelis had taken the high ground – this mountain overlooked the entire region. 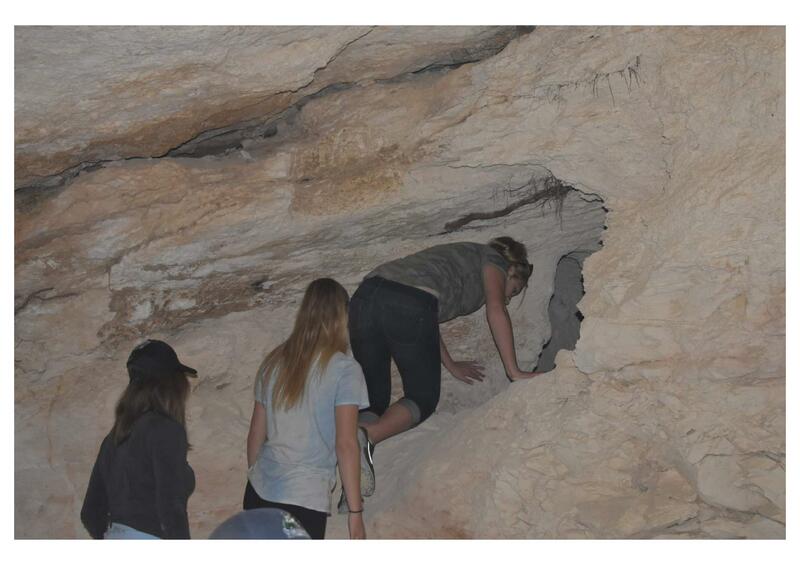 We walked through the bunker itself, which was built into the mountain. 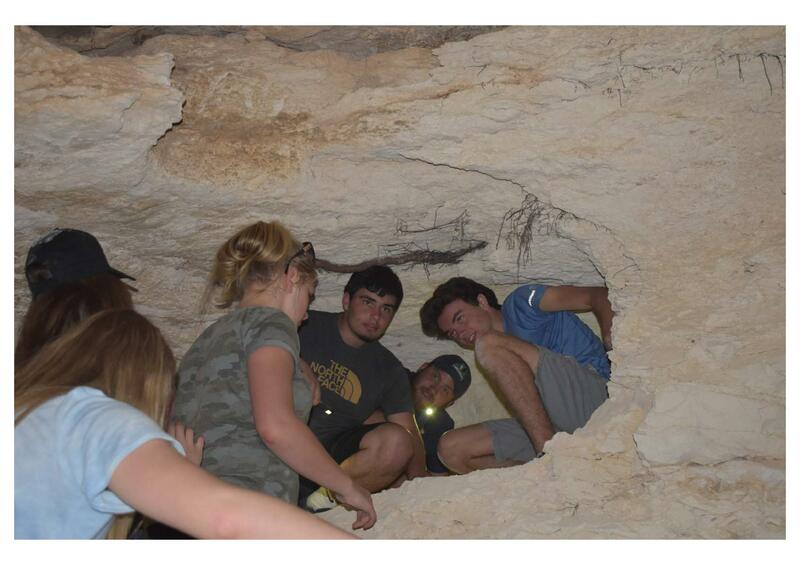 It had high enough ceilings that I (McGowan) could easily walk upright through it. We walked through the trench lines and saw some of the artillery placements. 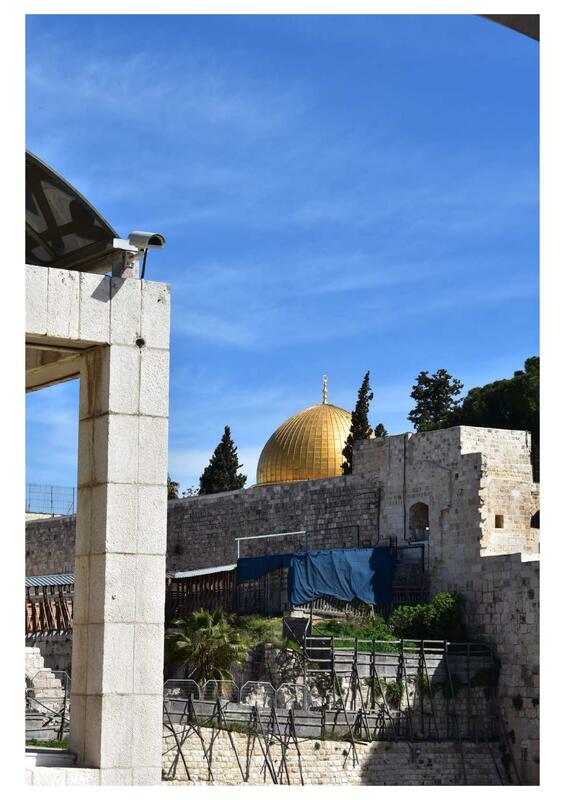 It was easy to see how the Israelis so easily stood their ground against their enemies. We returned to our hotel, but had to park at a distance because the Jewish Sabbath began at sundown. 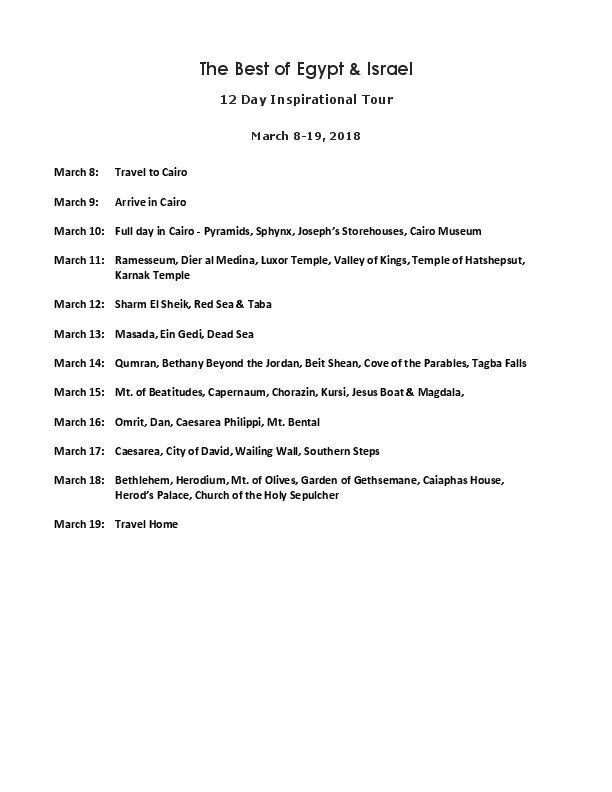 Tomorrow we will travel to Jerusalem! Today, we were up and out by 7:30. It was so nice to be able to leave our luggage in our room – we will be in this hotel for the next two nights. 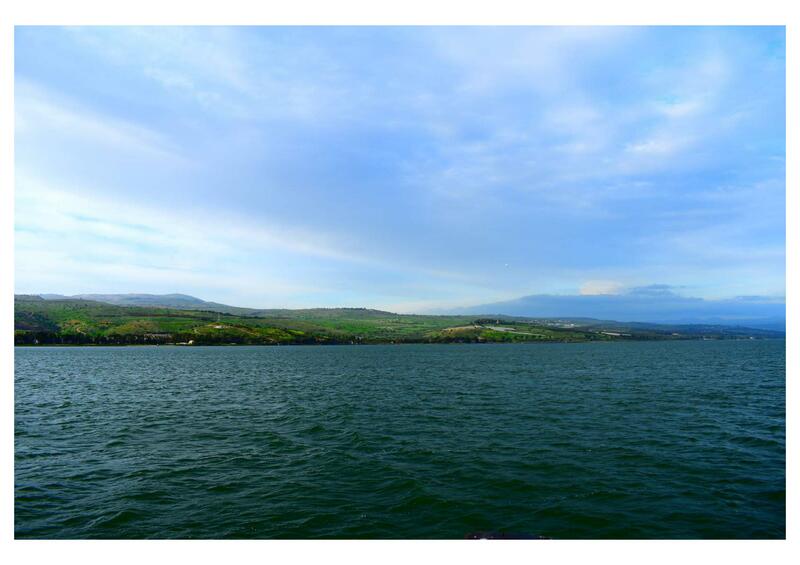 We are in the Galilee area, where Jesus spent the first years of His ministry. 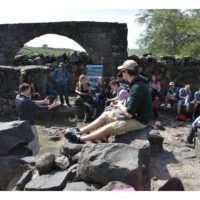 There are three cities in the area: Capernaum, Jesus’ home base in the region; Chorazin, where Jesus performed many miracles; and Tiberias, of which there is no record in the Gospels of Jesus ever visiting. 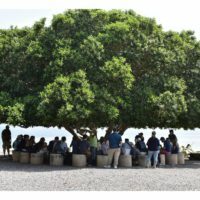 Tiberias was a fairly worldly city that no Jew would visit. 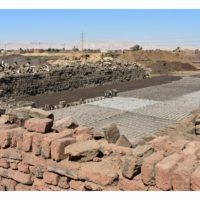 We first went to Kursi, a land mostly inhabited by pagan Gentiles who raised pigs. This is also the place where Jesus cast out the legion from a man into pigs. 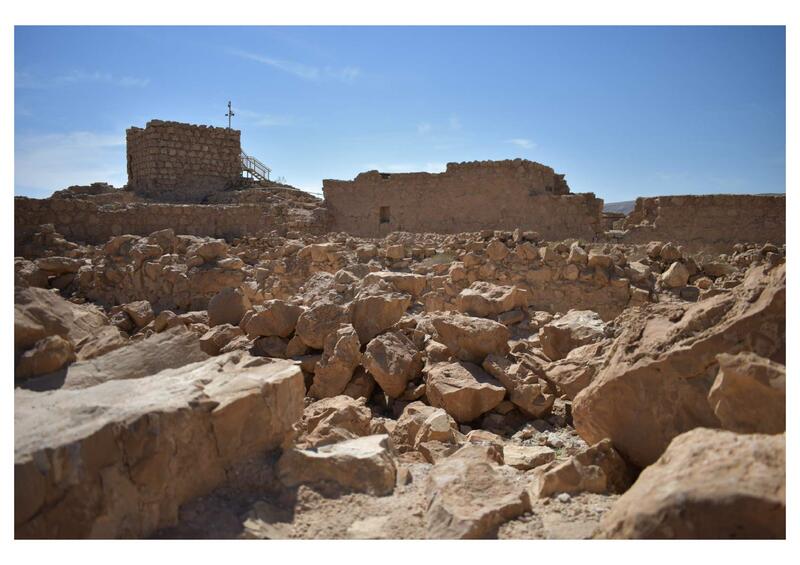 We were at the ruins of a church at the base of the mountain on which the demon-possessed man lived. 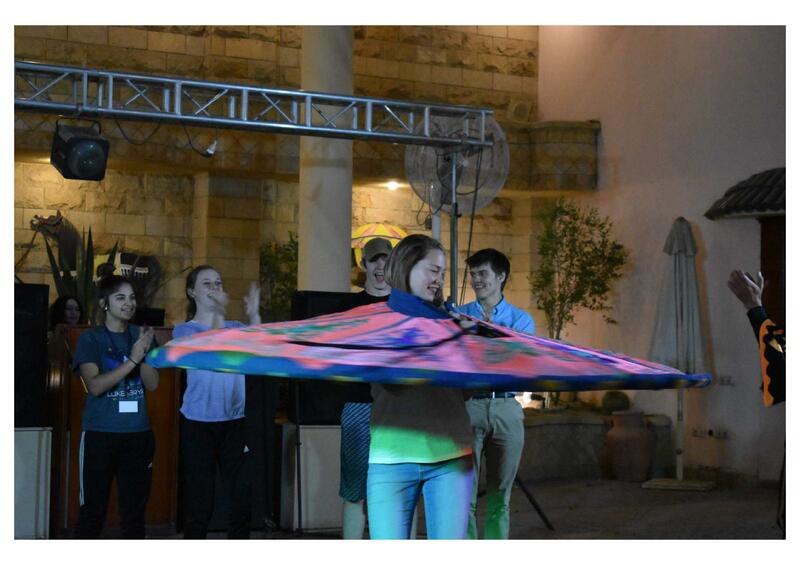 It was eye-opening; imagine being a young, new disciple of a new Rabbi. 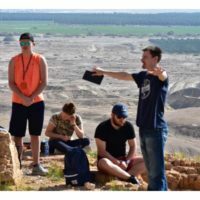 You go to a pagan area that Jews usually didn’t visit, and as soon as your boat hits the shore a wild man comes tearing down the mountain at you. The townsfolk run off because they know this guy is crazy and oppressed by demons. Your instinct is to leave, but your Rabbi stands His ground, staring down the man. Before he runs into your group, he falls to his knees, confesses he is filled with a legion (6,000) demons, calls your Rabbi the Son of the Most High God, and begs Him not to eternally punish them. Then, the Rabbi commands the demons to leave and go into pigs, that then run off a cliff into the sea. We hiked up that mountian. 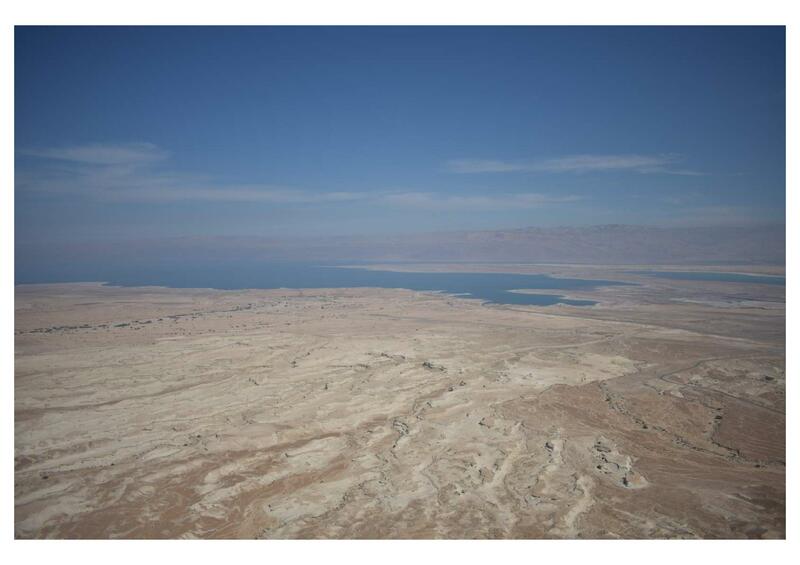 We saw the landscape where those things occurred, where Jesus demonstrated His power and authority over the enemy. It was just amazing to experience. 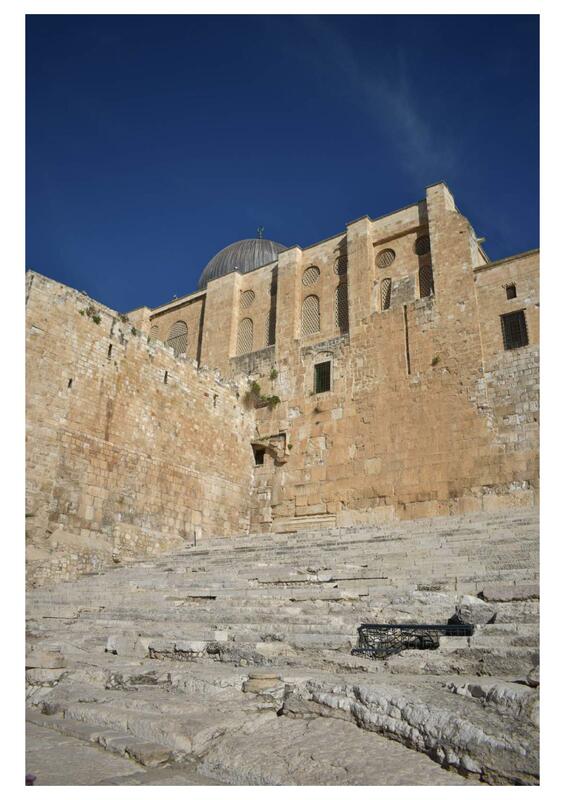 And it was very cool that Christians built a church where Jesus easily sent the enemy running. 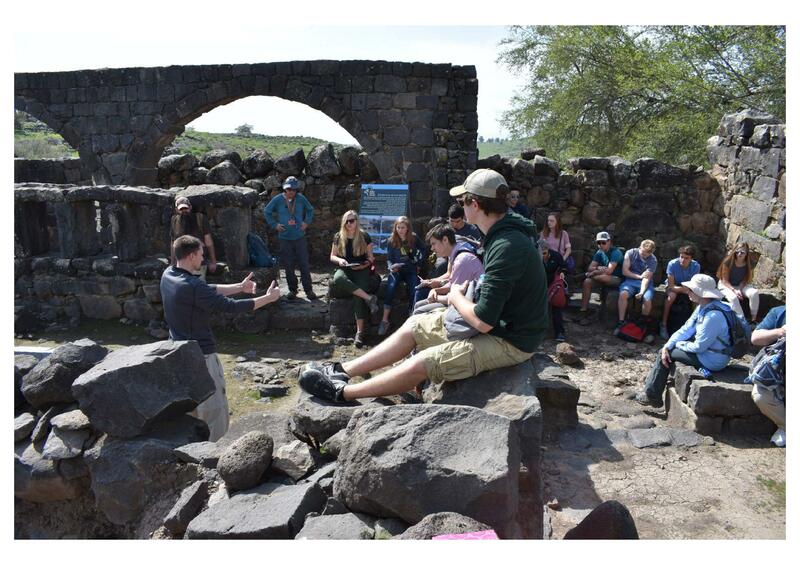 We then went to Chorazin, where we walked through ruins of the community and the town synagogue. We saw how Jewish people lived together and learned of the importance of supporting family and friends who lived nearby. 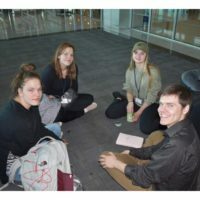 Mr. Mulvihill spoke about Jewish marriage customs: once the marriage was arranged, the groom would present the bride’s family with a bride-price. An official document contract would be signed and sealed by both families. 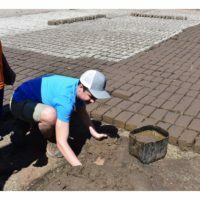 Now that the man and woman were betrothed, the man would go back to his family and begin adding a new house structure onto the exiting home of his family. Once that was done, he would go back and get his wife, who was to have been faithful and pure during this time. They were married and consummated that marriage. Then there would be a seven-day feast to celebrate the union. We paralleled this with Jesus: calling us, paying for us by His own death, giving the Holy Spirit as the seal and guarantee of our salvation, promised to build many rooms in His Father’s house, and promised to return when the time was completed. Once He returns, the Bride (Church) will be presented to the Groom (Christ) and there will the Wedding Feast of the Lamb celebrating the union. An amazing parallel that brought Scripture to life in our minds. We also went to the synagogue here. 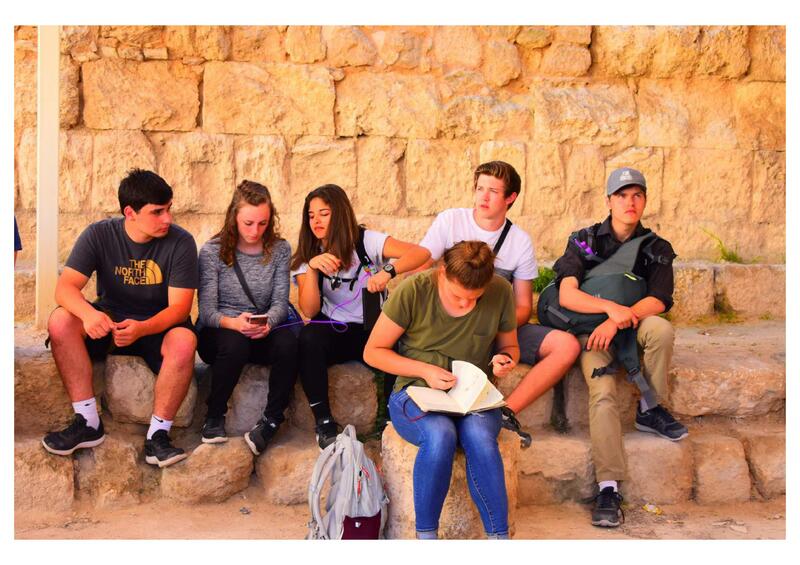 We learned how the Jews reverently handled and read from the scrolls of Scripture. We saw where leaders sat and elders taught. 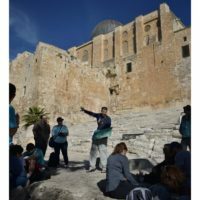 It is likely that Jesus Himself taught in this synagogue. We also discussed how Jewish education occurred, and how Rabbis would choose their students. Jesus didn’t follow this system too closely, choosing young men who didn’t make the grade for higher education, pulling them away from the family business. Jesus also called zealots and tax collectors – two groups who were diametrically opposed to each other. 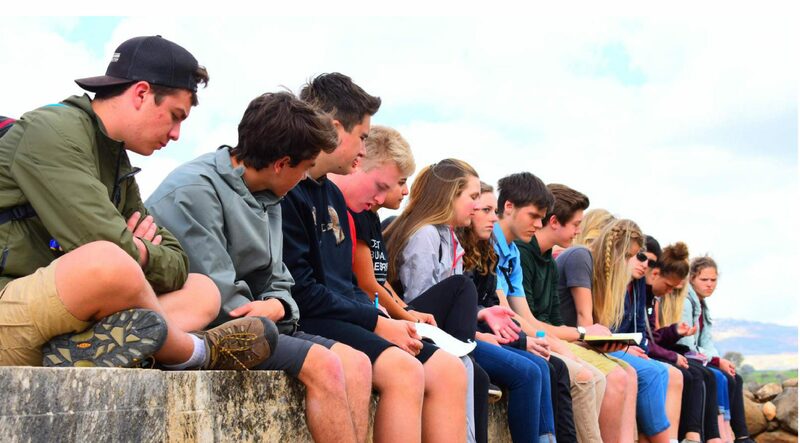 An interesting group of young people through whom Jesus would change the world. 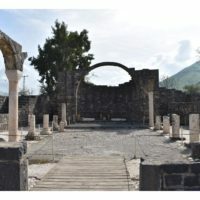 We then went to Franciscan-run Capernaum, where we saw the ruins of what is almost certainly Peter’s house – an octagonal church was built directly over this site, and it hovers over it. It is an odd looking structure, built in the 1980’s. 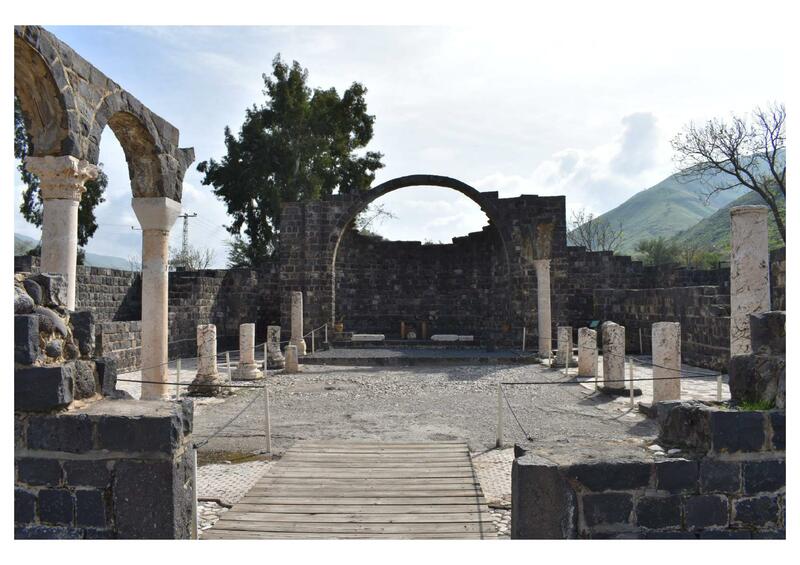 We saw another synagogue – but this was one built in the fourth century on the foundation of a first century synagogue. We went to an out-of-the-way restaurant that served us tilapia, a kind of fish. Many from our group were a bit taken aback by the fish being served with heads still attached. But, it was really well cooked. The pita was excellent, and coffee was complementary. It was really good! 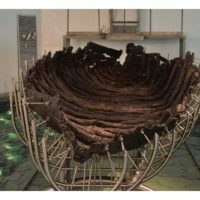 We then went to a museum that housed the preserved remains of a first century fishing boat, one just like the boats used by Jesus and His disciples. 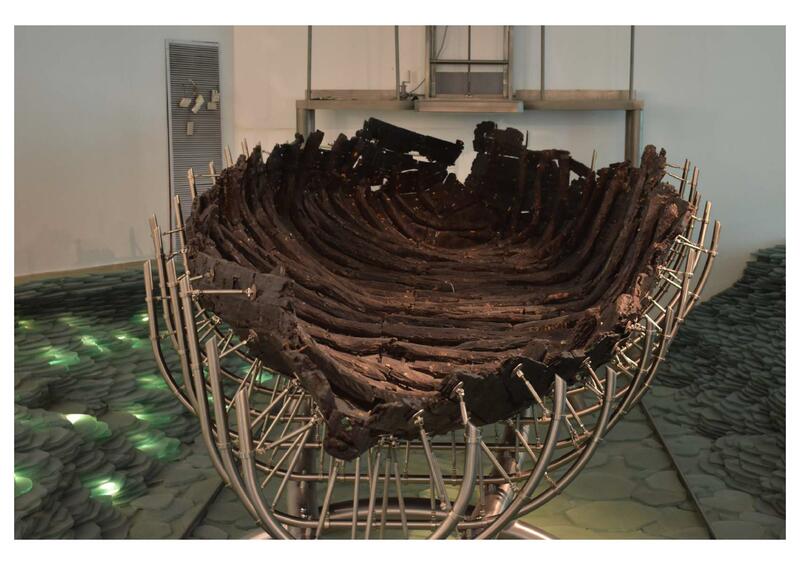 This boat was found by amateur archeologists, and the story of how they got the boat out of the mud was a testament to out-of-the-box thinking. 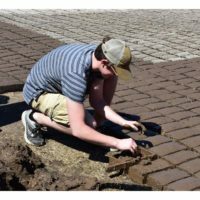 They had to coat the whole thing in polyurethane foam to keep it moist and intact during transit. We watched a short video about it that was quite entertaining. It was interesting to see what kind of boat Jesus was sleeping on during the storm, before he woke up and told the storm to be still. 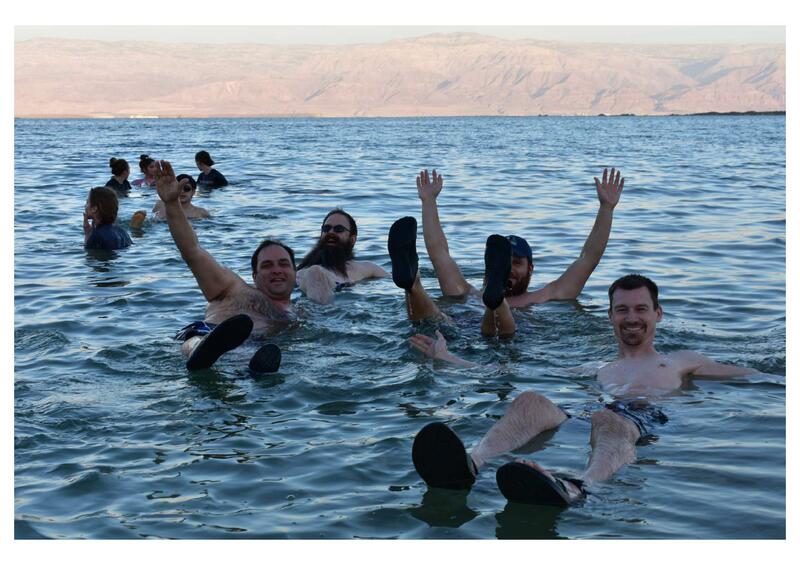 This is the same kind of boat the disciples were on when Jesus walked on water. It was interesting to see a physical thing that we could tie to Bible stories we’ve been hearing for years. 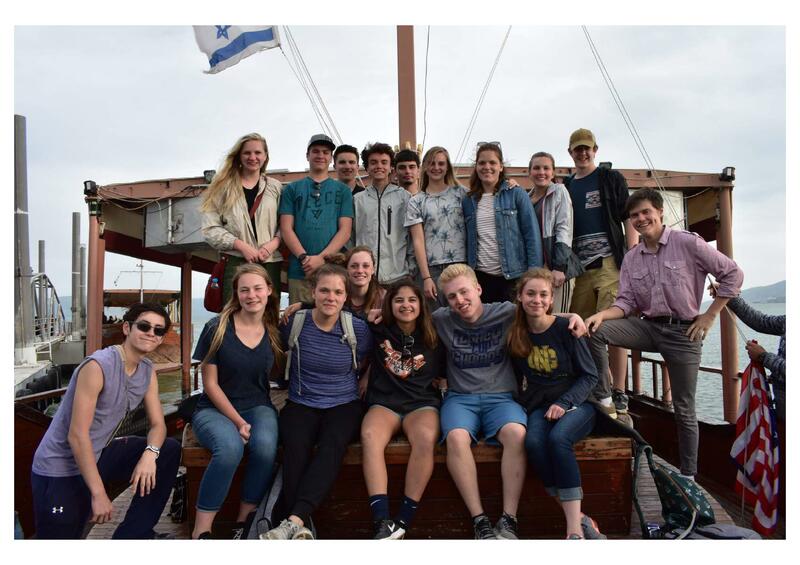 We then got on a real, modern boat and took a trip out into the sea of Galilee. Mrs. Shank shared her testimony about God‘s sovereignty and goodness during her battle with cancer. The whole setting added even more depth to what she was saying. Our God is truly good and truly powerful, and walks us through even the most difficult of storms. And even though He does not calm all of the storms, He does not leave us in the storm. 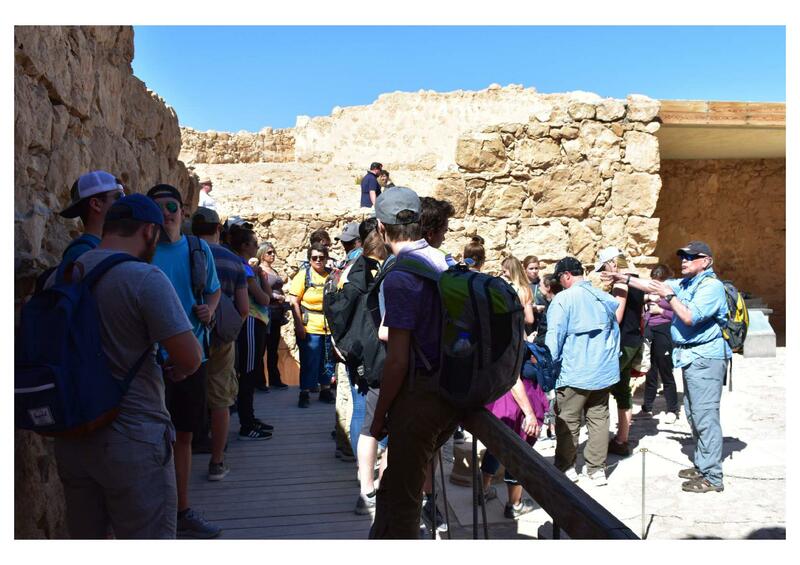 To end our day, we went to a first century synagogue at Magdala – where Mary Magdalene was from. This synagogue was only discovered less than 20 years ago, by Franciscans when they were building in the area. 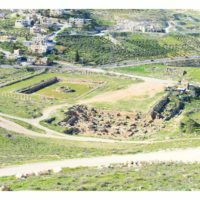 Because of Israeli law, if you find any archaeological relics, you must report them to the government for further research. 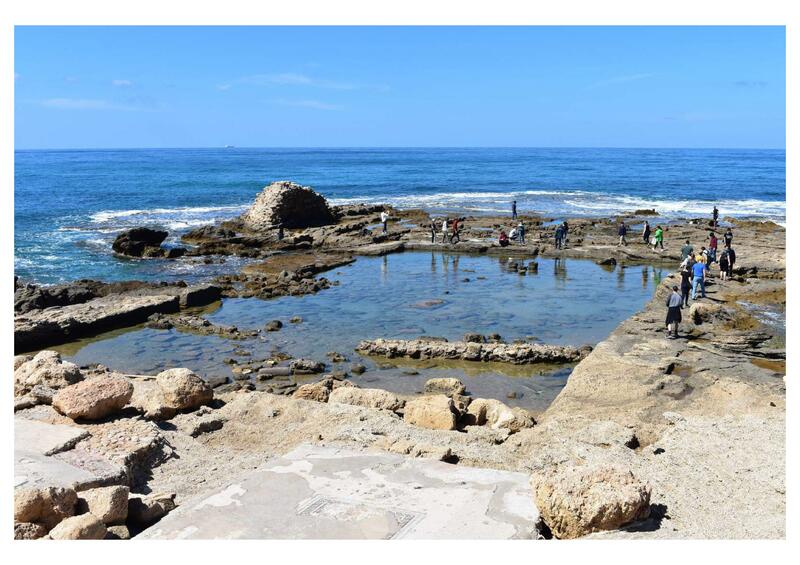 It turned out, they had found one of the best intact first century synagogues. 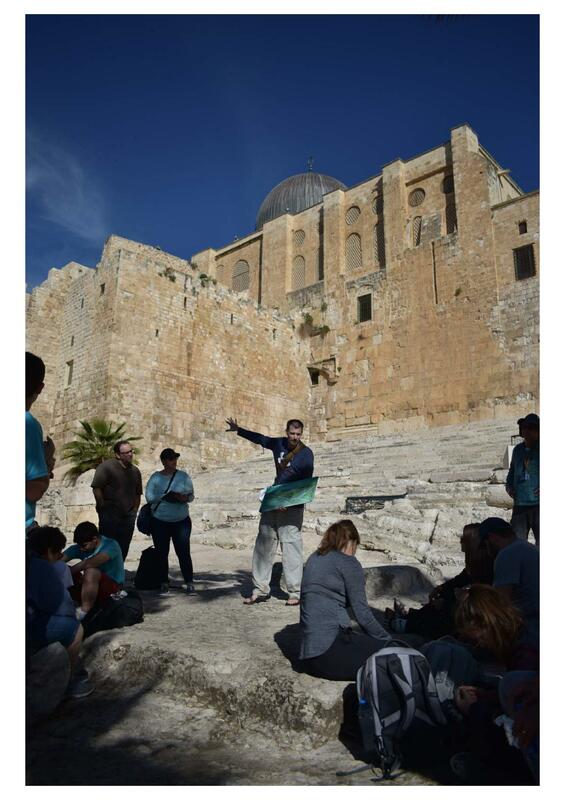 It is 99% certain that Jesus taught in this synagogue. It was extremely fascinating to see a place our Lord walked and talked. 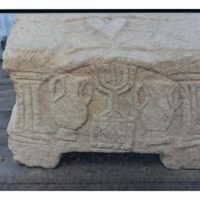 This site also contains a stone podium where the scrolls would be read from, and this podium has the oldest known image of a menorah – a symbol identifying Judaism in the ancient world. 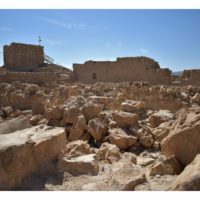 We walked through a small Catholic church built next to the site, which commemorated Mary Magdalene and this archaeological site. Very beautiful building. We headed back to our hotel and had dinner. We are all pretty tired, and we are going to bed early tonight. A big day tomorrow. 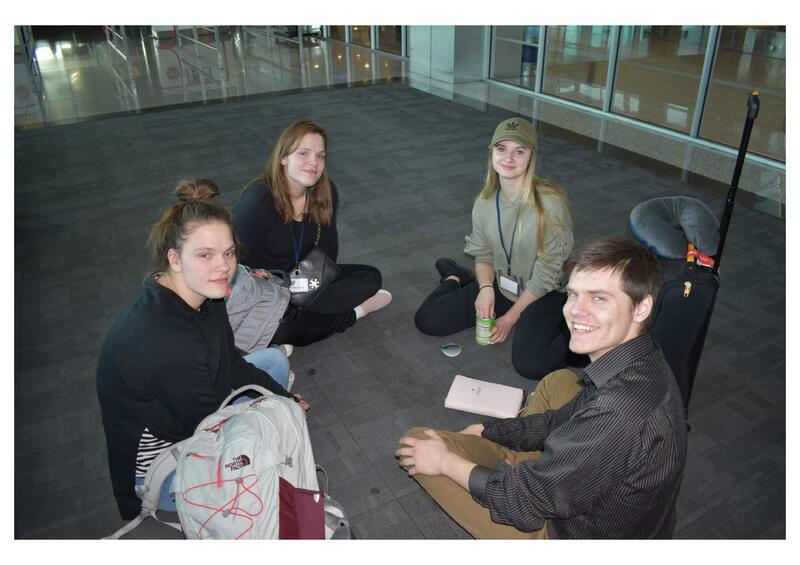 We got to sleep in a little this morning – we ate breakfast around 7:00 am and had to leave the hotel by 8:00. A 20-minute bus ride took us to the base of a small mountain. 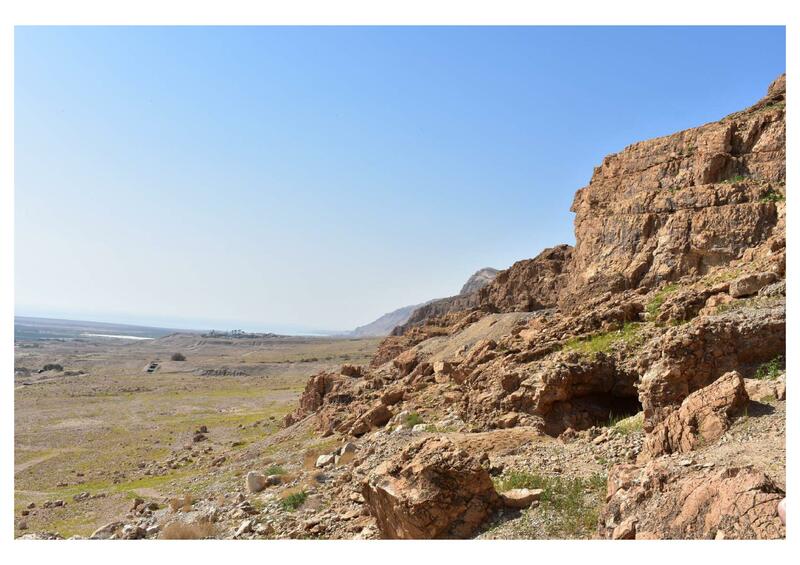 We hiked up that mountain to find Cave 11, where several scrolls and fragments of the Dead Sea Scrolls were found. 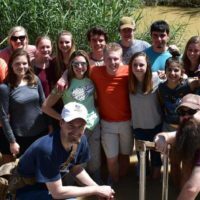 Because of a recent discovery among nearby caves, we could not enter Cave 11, but we sat at the mouth of the cave learning from Mr. Mulvihill how archeology is truly a friend of Old and New Testament scholarship. 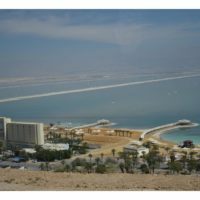 It is difficult to include it all here in this blog entry, but the Dead Sea Scrolls are some of the most important archaeological finds in the last 2,000 years. 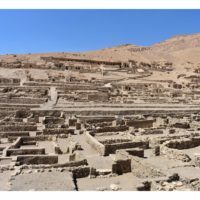 They demonstrate an unbroken line of textual reproduction, word-for-word duplication of manuscript after manuscript of the original biblical texts. We have in our Bible an English translation of the original Hebrew and Greek texts, faithfully preserved, copied, and passed down since the time they were written. 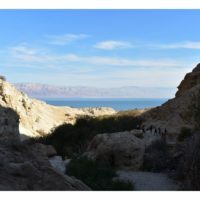 The Dead Sea Scrolls were found throughout 60+ caves in and around the Qumran community at the southern end of the Dead Sea. 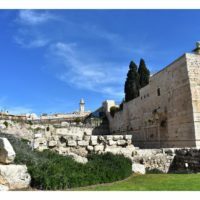 A group called the Essenes (John Ferret called them by their Hebrew name) withdrew from what they consider corrupt religion in Jerusalem to a life of devotion and copying the Word of God. 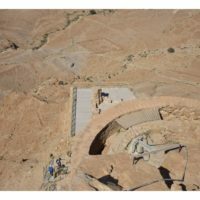 When they saw the fall of the Temple in 70 AD, they hid all of their manuscripts and other writings to avoid the Romans destroying them. They remained hidden until 1947 when they were discovered completely by accident. 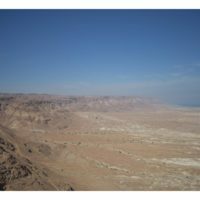 I strongly encourage you research the story of how the Dead Sea Scrolls were discovered – it is a story full of God’s providential hand. 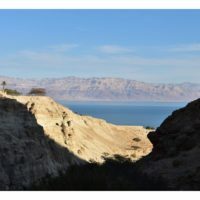 The Dead Sea Scrolls are important because they show that the biblical texts we have today are faithful – exact to the letter (no pun in intended) – to the original text. 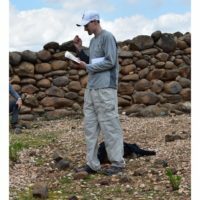 The size and scope of biblical manuscripts absolutely dwarfs all other ancient writings. For example, for Homer’s Illiad, a foundation of Western Civilization, there exists only 640+/- ancient manuscripts, and these date at best to 400 years from the original manuscripts. 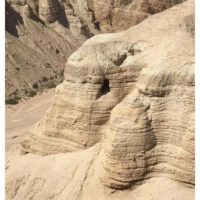 On the other hand, there are tens of thousands of Old Testament manuscripts, dating very closely to the original texts. There are nearly 25,000 New Testament manuscripts, some dating to within a decade of the original manuscript. To sum it up: we have an overwhelming amount of evidence demonstrating the reliability, and thereby the trustworthiness and truthfulness, of the entire Bible. This evidence forms a scaffolding that gives support to our faith in the Bible. 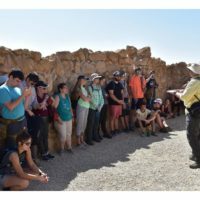 And we learned all of this at a location where such an important biblical-archeological discovery was made. It was really quite awesome. 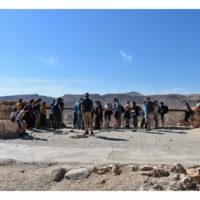 Back on the bus, we traveled up the road to the historical site of Qumran, where the Essenes lived and carried out their ministry of reproducing the text of Scripture. 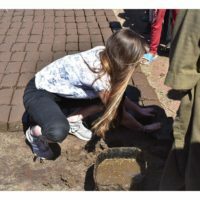 We walked through the ruins of their settlement, seeing where they slept, cooked, made pottery, carried out ritual cleansing, called Mikvah, and where they had a kind of library of all of their writings. The Essenes were completely devoted to the Bible. 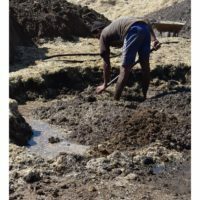 As a community they had to fill every hour of every day studying the Bible. At no point could the Bible not be studied. 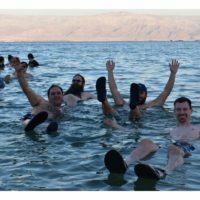 Also, we learned that every time they had to write the proper name of God, YHWH, they would stop and go perform another Mikvah, which proclaimed they were sinful humans writing the name of the One who was infinitely holy. 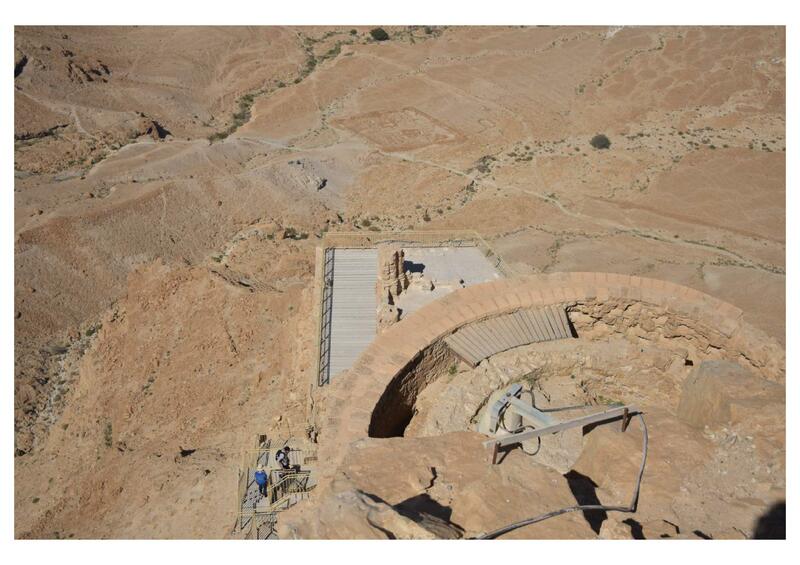 This high demand for water led the Essenes to build a fairly complex aqueduct system, fed by nearby wadis through which rainwater could flow. Do bear in mind, the Essenes were living and carrying out their work during the life of John the Baptist and Jesus Christ. 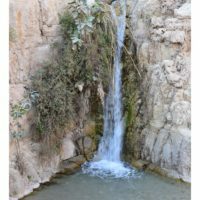 A one-hour bus ride took us from Qumran to a little area just south of modern Jericho, where we were able to get into the Jordan River. 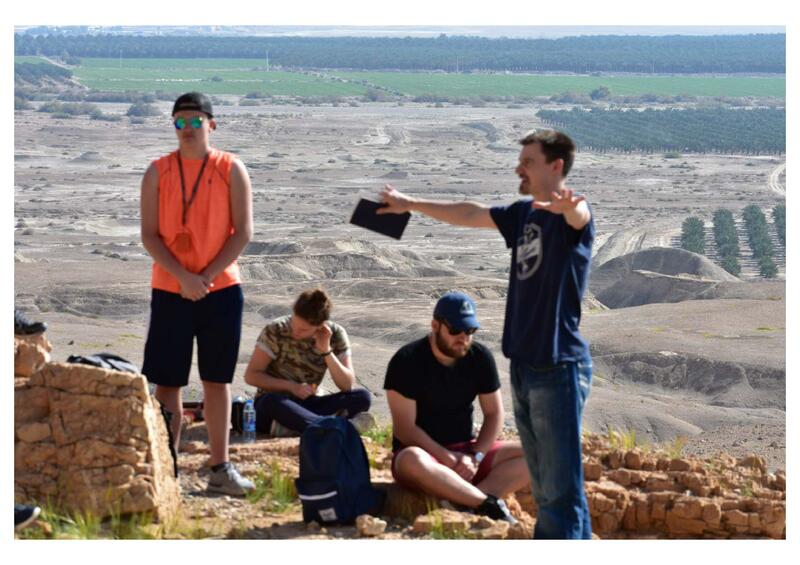 Before we did though, Mr. Mulvihill taught us about when the Hebrews crossed the Jordan River, finally leaving the Wilderness after 40 years of wandering and entering into the Promised Land. The Hebrews were told to allow the priests to lead with the Ark of the Covenant in hand, but to follow about a half-mile behind. The Hebrews had to make a choice to obey God. 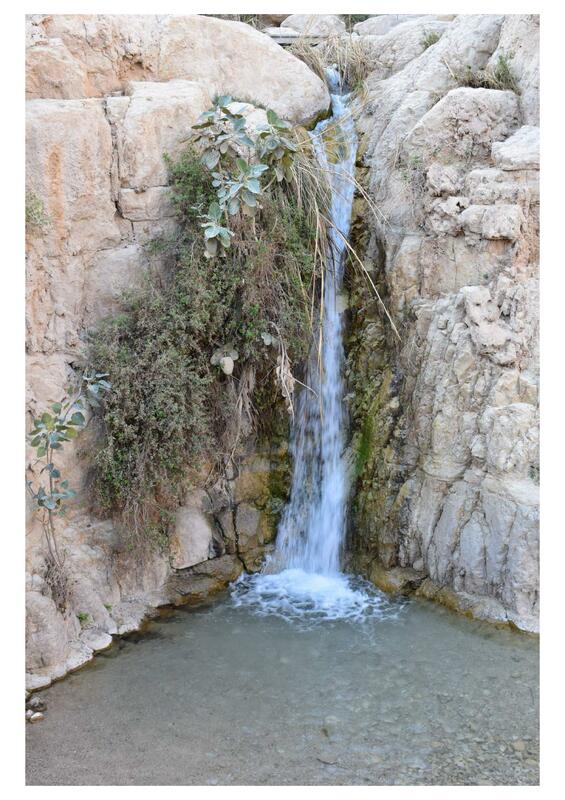 As the priests’ feet touched the water, the Jordan’s water “piled up,” and the Hebrews crossed on dry ground. This not only pointed out that God was with Joshua just as with Moses, but that God calls to obedience and strengthens us as we obey. 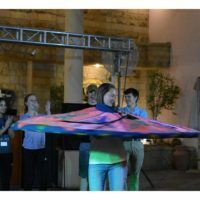 At the end of this lesson, several students and adults shared stories of how God has called us to step out in faith when doing so seemed so strange or even crazy in the eyes of the world. 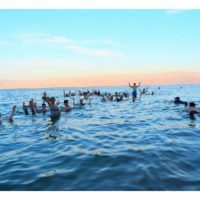 It was a deeply emotional time of sharing, which was the best context to go down into the Jordan River at the spot where Mr. Mulvihill’s lesson occurred. After this, we headed north for about two hours. 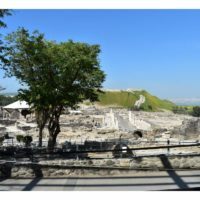 We arrived in the town of Bet She’an, where we had lunch – falafel and shwarma pitas. 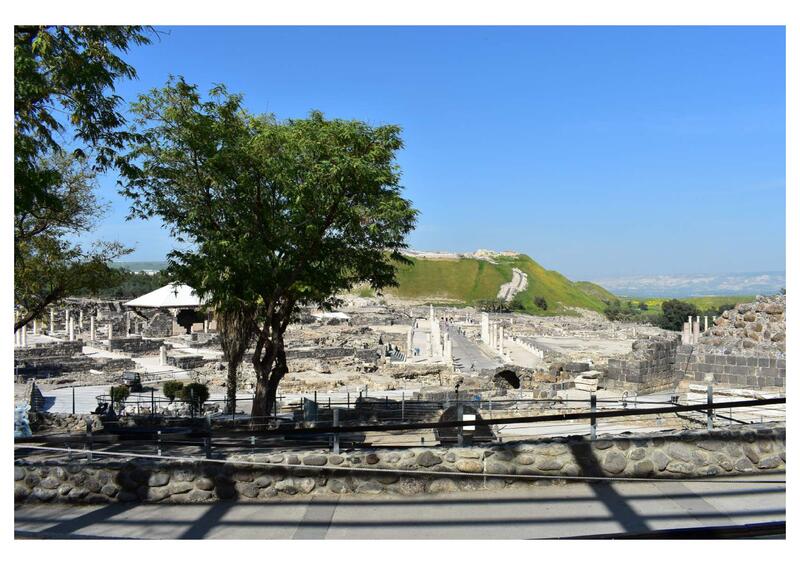 The Bet She’an National Park houses the ancient city of Bet She’an, which the Romans called Scythopolis, one of the 10 Roman cities of the Decapolis. 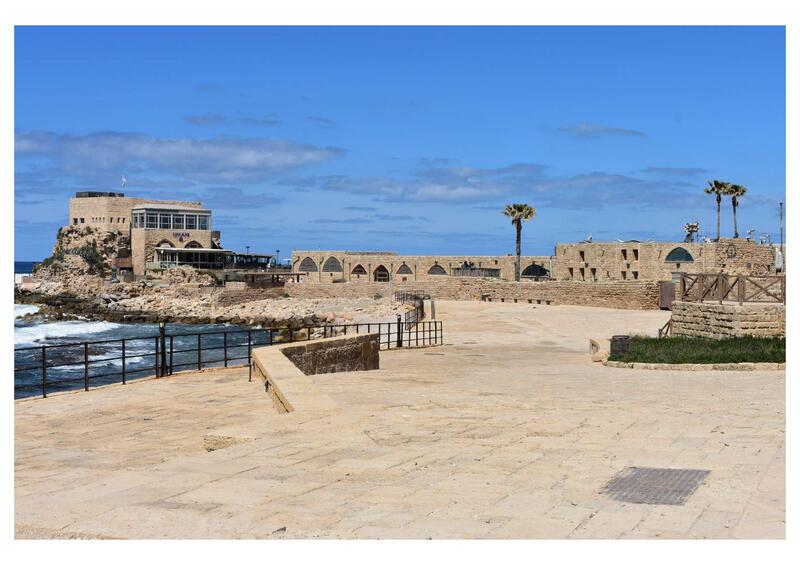 To give you some perspective, this city was about 22 miles from Cana, where Jesus turned water into wine. 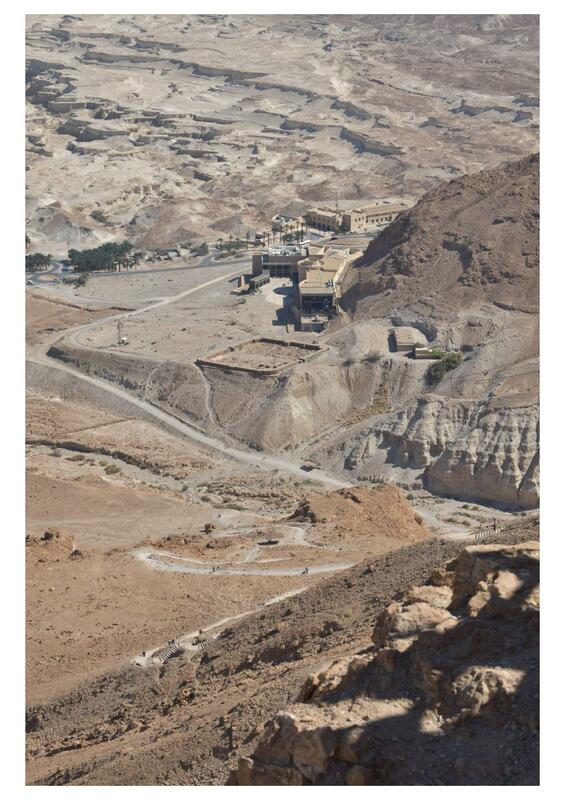 He would have grown up near this city, and perhaps He and Joseph would have done work in and around this city. 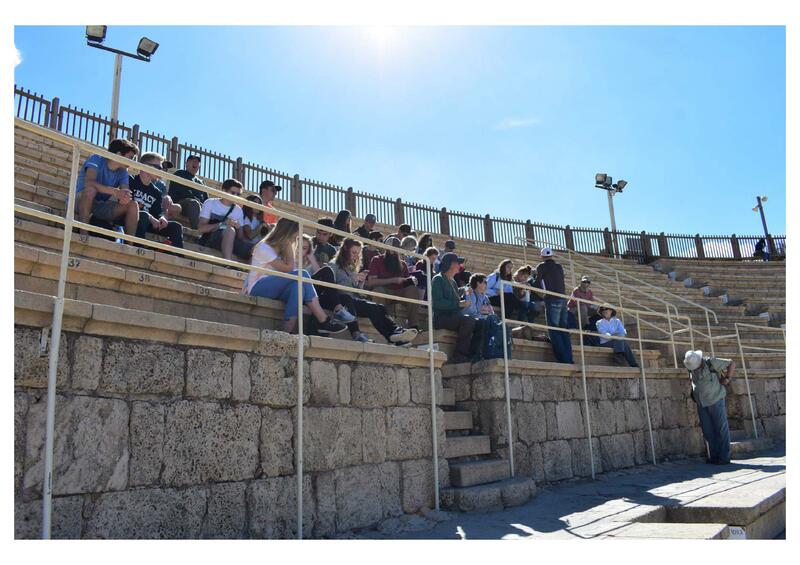 Completely Roman in architecture and flavor, Scythopolis had a huge theater, a place for educating the young, arenas for sporting and gladiatorial events, and temples to pagan gods and goddesses. 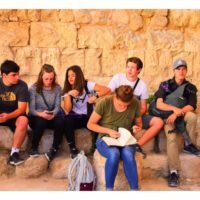 Judaism forbade any Hebrew to participate in or be a spectator of any of these things, but the strong allure drew many anyway. Those who gave into temptation were compromising their faith and their heritage. 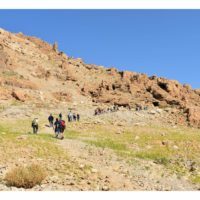 Our group was challenged to consider the temptations of our own culture, what calls to us to walk away from Christ and to put Him away in order that we could join in with what is going on around us. 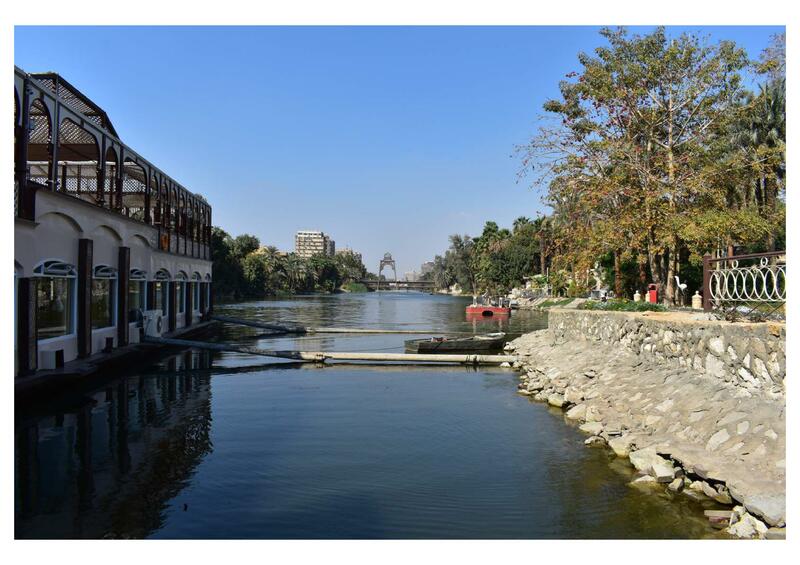 Scythopolis stands as an example of the choices we have before us: while we are in the world, are we going to be of the world or not? So this was a shorter day for us. We arrived in our hotel at 5:30 pm, an hour or so before dinner. If you can believe it, this was our shortest day so far. 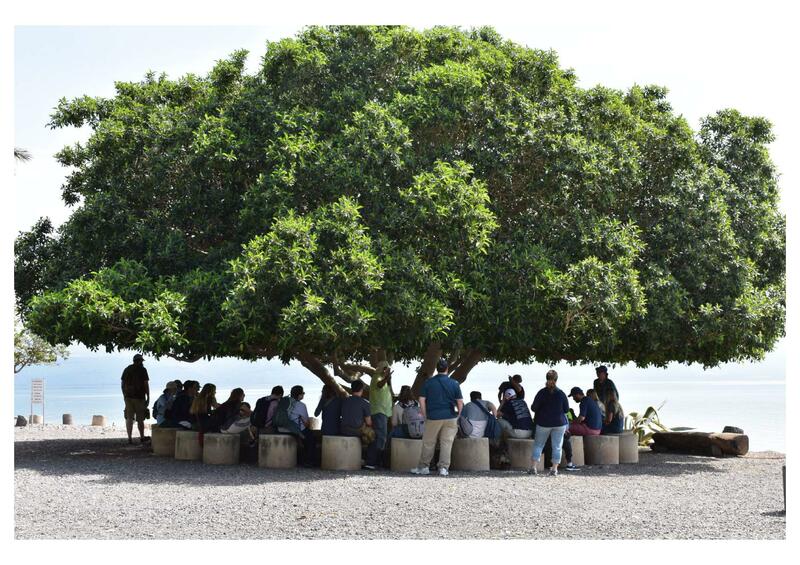 We will be here in Galilee for three days. When Mr. Mulvihill told our group that we will be staying at this hotel for more than one night, we all cheered. 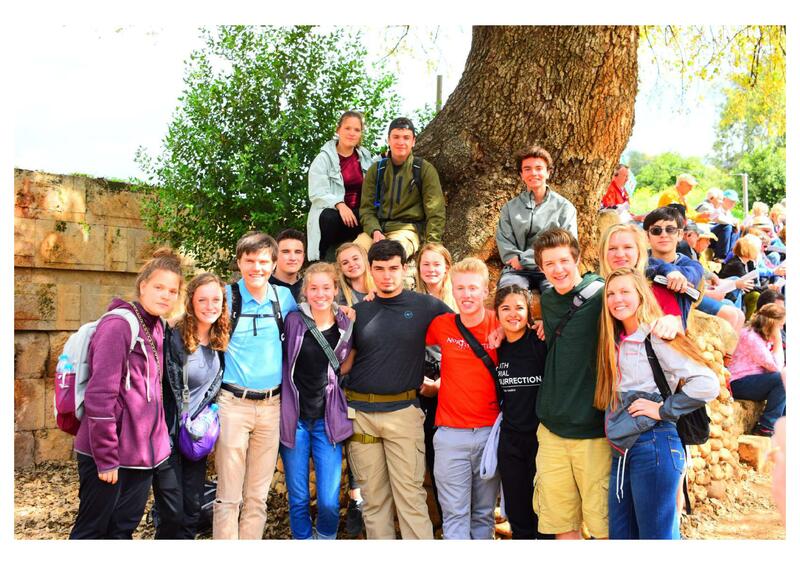 We are all looking forward to spending time in the area Jesus grew up in. 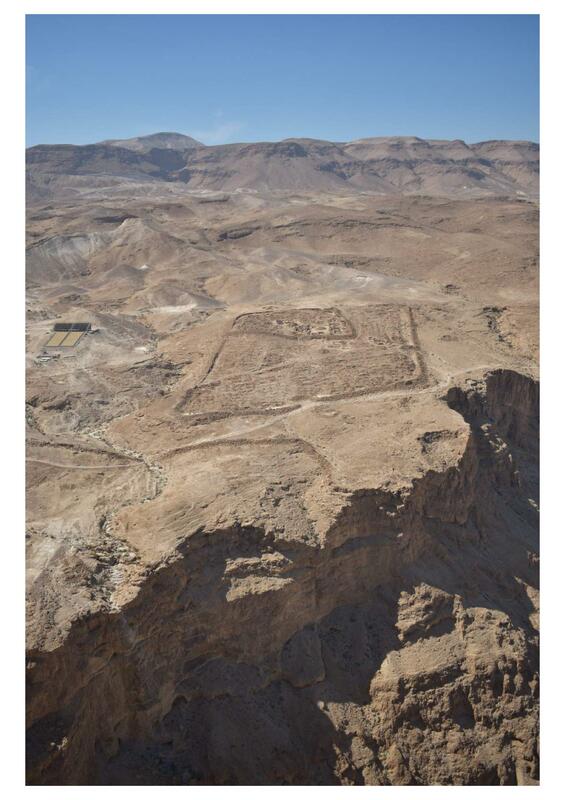 Think about it: Jesus spent 30 years here, and we will be spending three days. 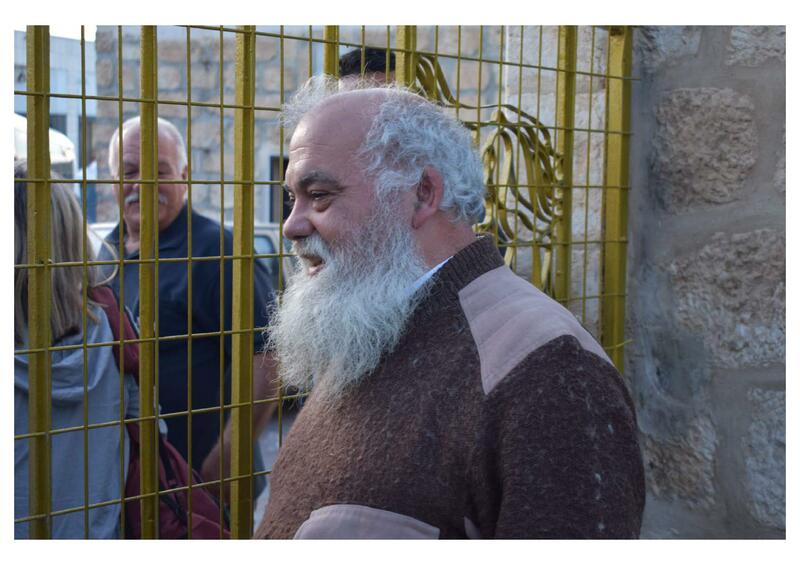 This morning, we said a tearful goodbye to Mido after praying for him and his ministry. 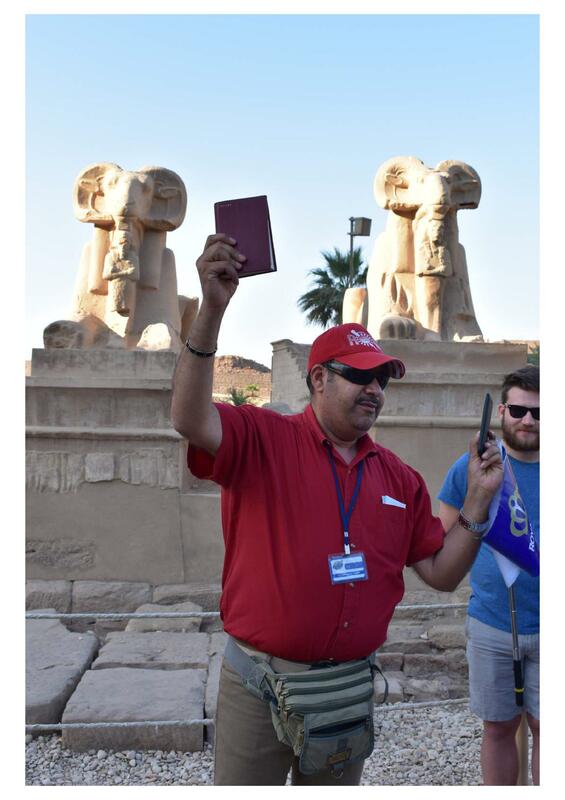 We then had to go through our last Egyptian security check to make sure we left appropriately and legally. 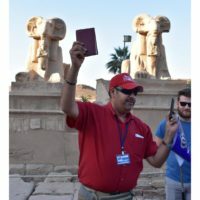 The Egyptian security was nowhere as rigorous as the Israelis: we had to show our passport something like six times just in the security area, and they asked us several questions about who we were and why we are coming to Israel. But we got through it just fine and jumped onto our new bus. 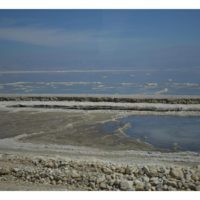 We had a two hour bus ride through southern Israel heading towards the Dead Sea. 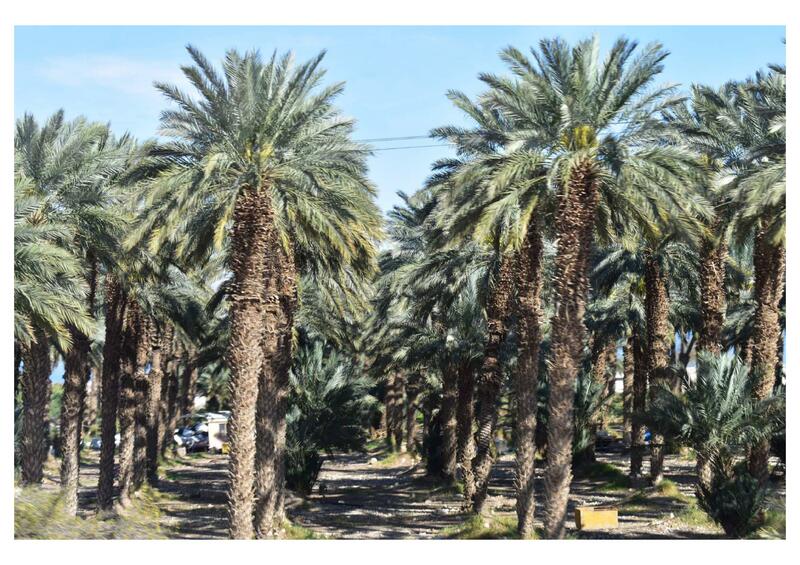 Our guide explained some history of the area and pointed out farms producing dates and salt, both of which are major exports. 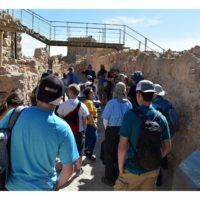 We arrived at Masada fortress, a palace of King Herod that served as the last stand for the Jewish Zealots fighting against Rome. 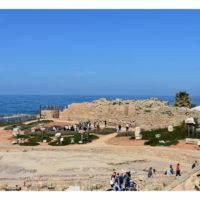 This palace was created as a show of wealth and as a place of refuge for Herod; it was one of twelve palaces he had built. 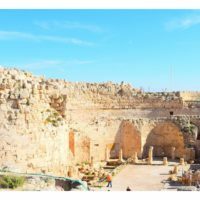 Herod was known as a builder of structures throughout Israel. We rode a cable car up to the top rather than taking a several hour hike. 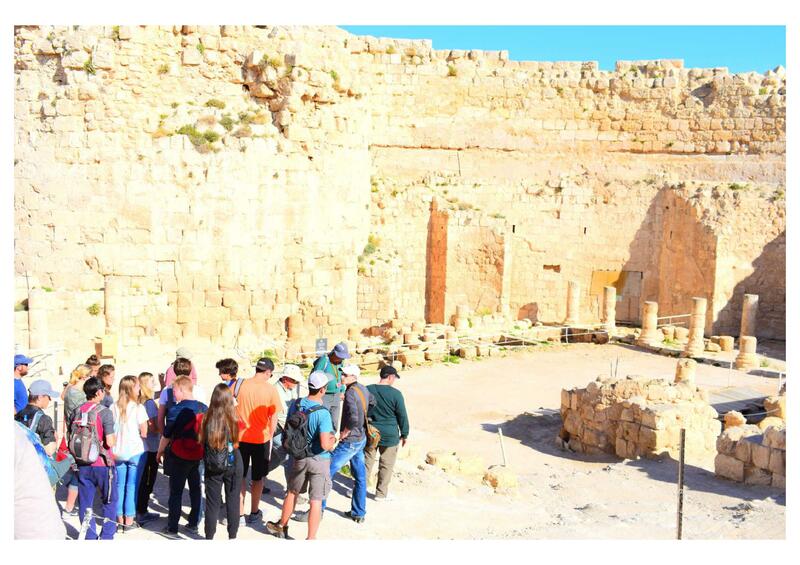 We saw the storerooms, aquaduct-fed cisterns, and Mishnah cleansing basins. We discussed the conflict between the Zealots and the Roman oppressors. 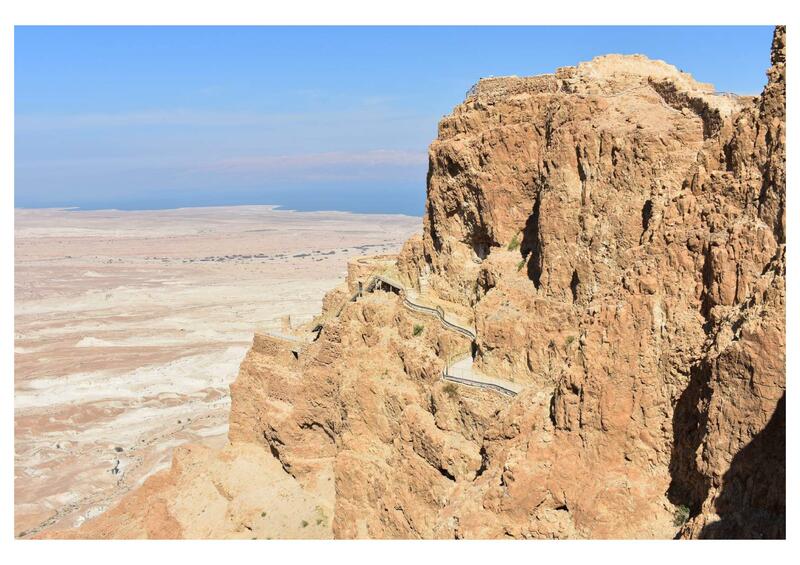 The Romans took two years to build a siege ramp up to Masada. Rather than being humiliated, enslaved, and/or killed, the community elected ten men to bear the responsibility to kill everyone else, then the ten elected one to kill the other nine. 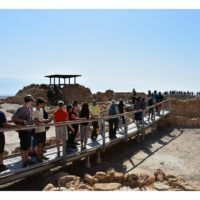 A terrible tragedy, but a rallying cry in the mind of modern Israelis: Masada will never fall again – a motivating principle behind Israel’s military defensive attitude towards its neighbors. A very interesting and thought-provoking site. We also discussed Matthew 7, where Jesus tells us to build our houses on the Rock. 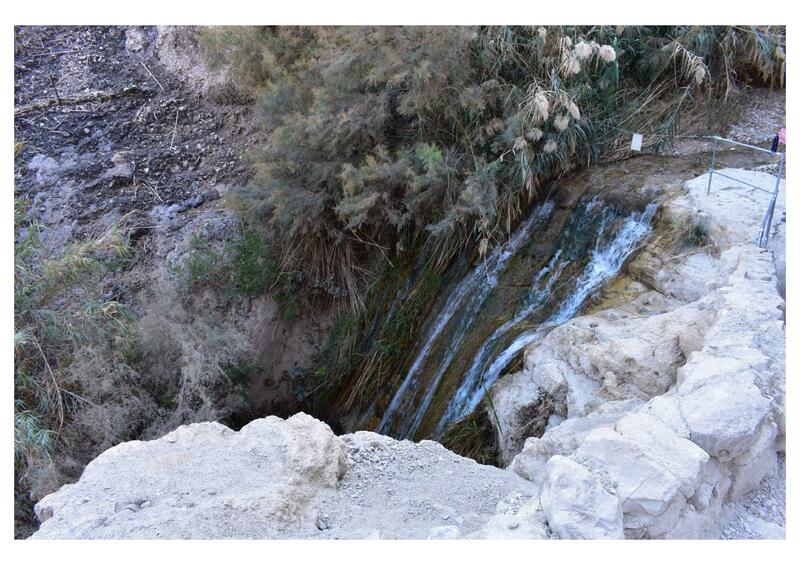 We sat beside a wadi – a dry river bed that heavily floods after rain. The river bed is sandy, while the sides are rock. The wadi is flat and easy to bike on. The rock is more difficult. 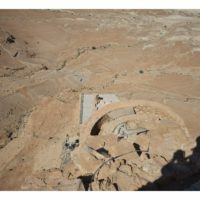 However, when the storm comes and brings the flash flood, the house built on the sandy wadi is violently washed away, while the house on the rock bank is safe. 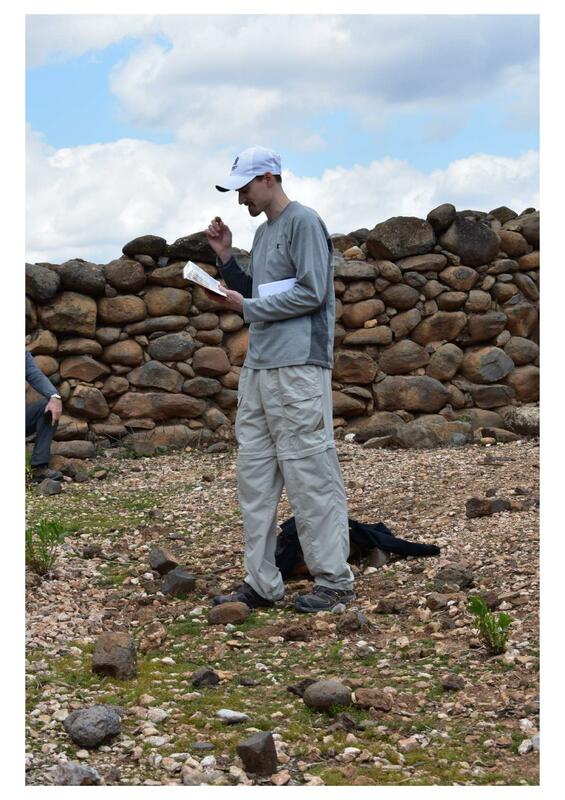 It was a thought-provoking experience to bring dynamic dimension to an important part of the Sermon on the Mount. 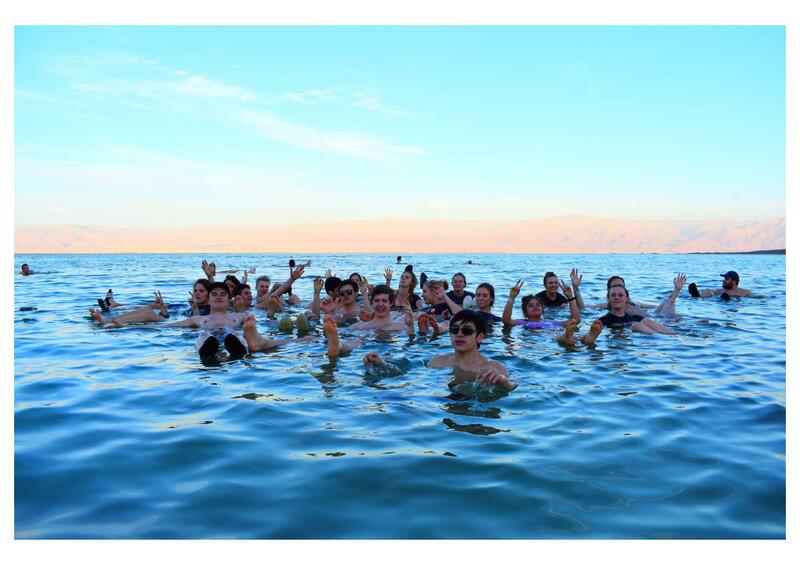 After the hike back and another bus ride, we arrived at the Dead Sea. 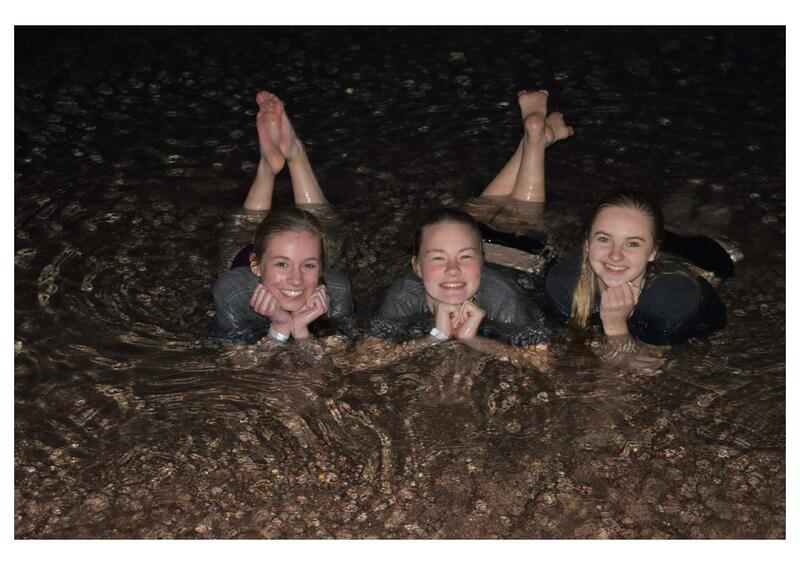 We also went swimming, or should I say floating. 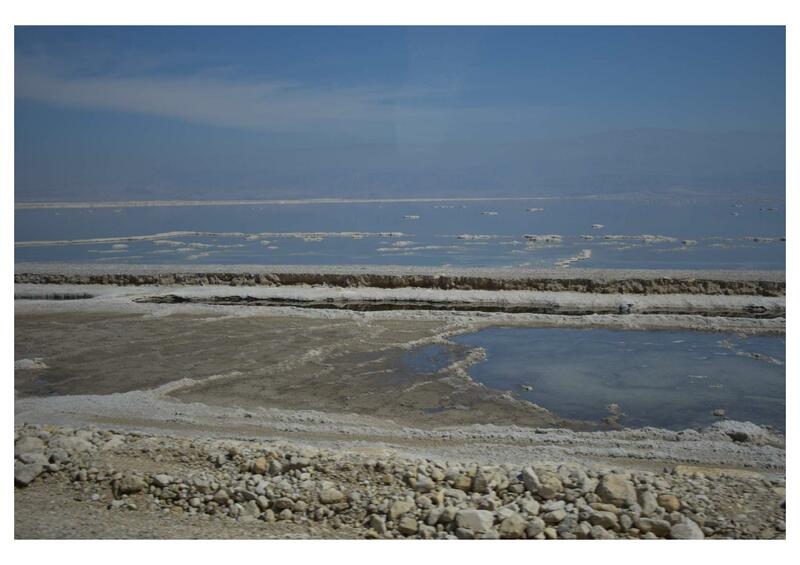 The Dead Sea is over 30% salt content, which makes things much more buoyant. The sea’s bed is covered in chunks of salt crystals. We just floated around, no matter what position our bodies were in. And any cuts burned! 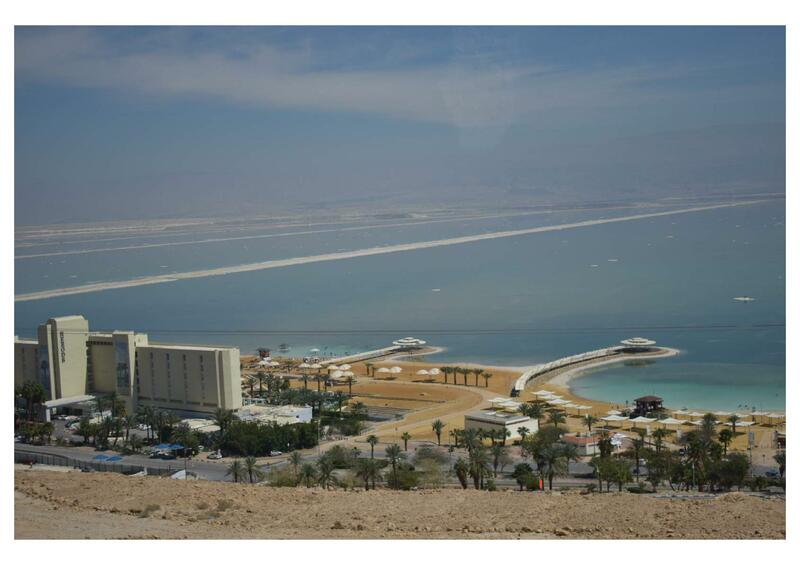 After about 30 minutes, we got out, changed, and headed to our hotel, Ein Gedi, overlooking the Dead Sea. A good dinner, and off to bed! 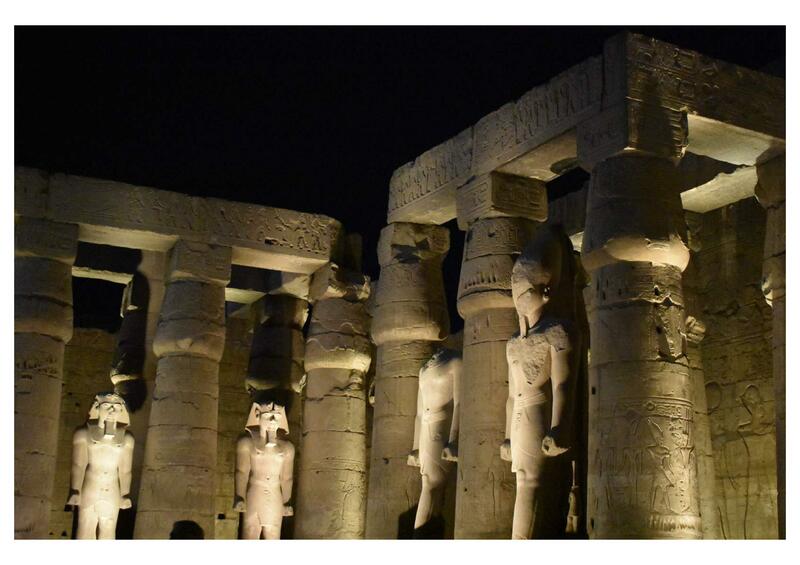 Yesterday, Luxor was just amazing. Full of intact statues and obelisks, each of which was covered with hieroglyphics telling several stories from ancient Egypt, Luxor is an impressive structure – even more so when considering the Egyptians and subsequent groups built it all with hand tools, simple machines, and extensive knowledge of mathematics and engineering. 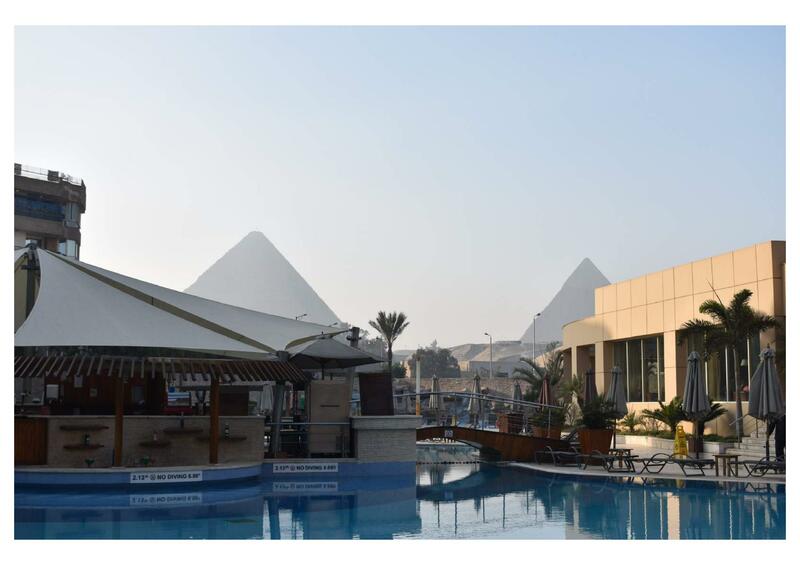 We learned today that Luxor is only half of the picture. 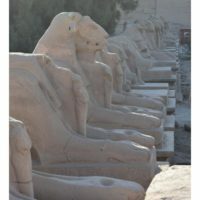 Luxor is connected to Karnak Temple by a three-mile road lined with sphinx statues. 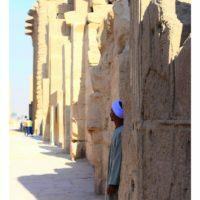 Each year, a festival-carnival would travel that road to Karnak so that the Pharaoh and the priests could worship their gods. 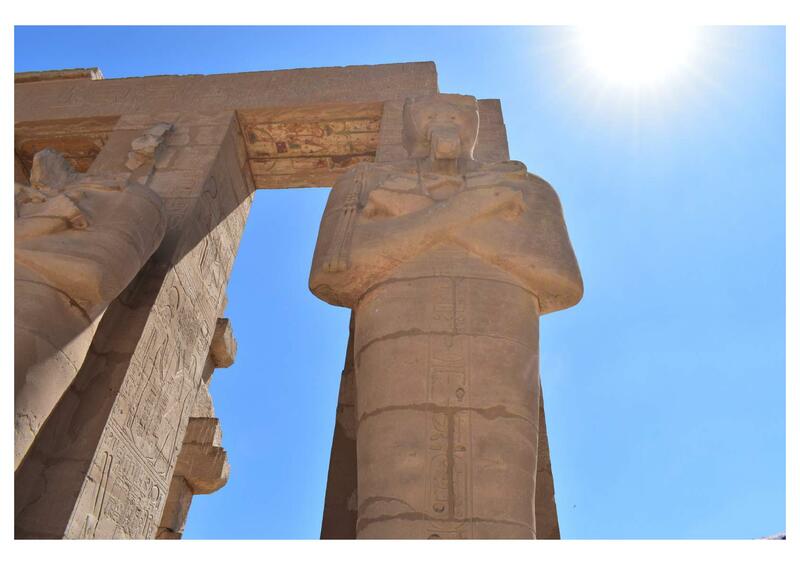 Karnak seemed even more impressive than Luxor in size and scope. 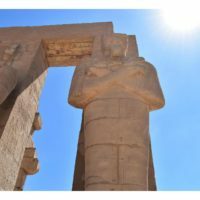 Built by Ramses II to show how powerful he was, Karnak contains huge rose-granite statues of Ramses and obelisks that proclaim his power and his new life. 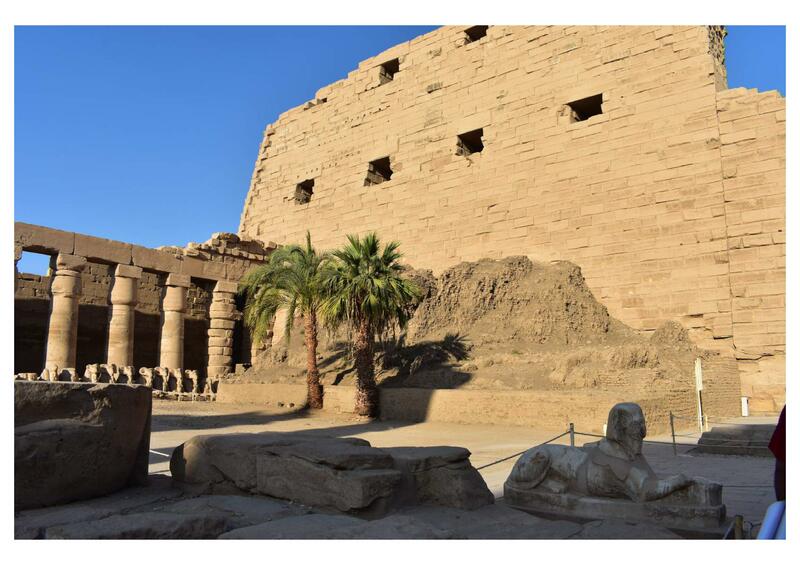 There are three-story walls covered in hieroglyphics that tell the story of Ramses’ victories and achievements. 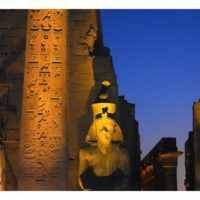 Subsequent Pharaohs and rulers of Egypt added on to Karnak, paying homage to Ramses II, but also proclaiming their own power. 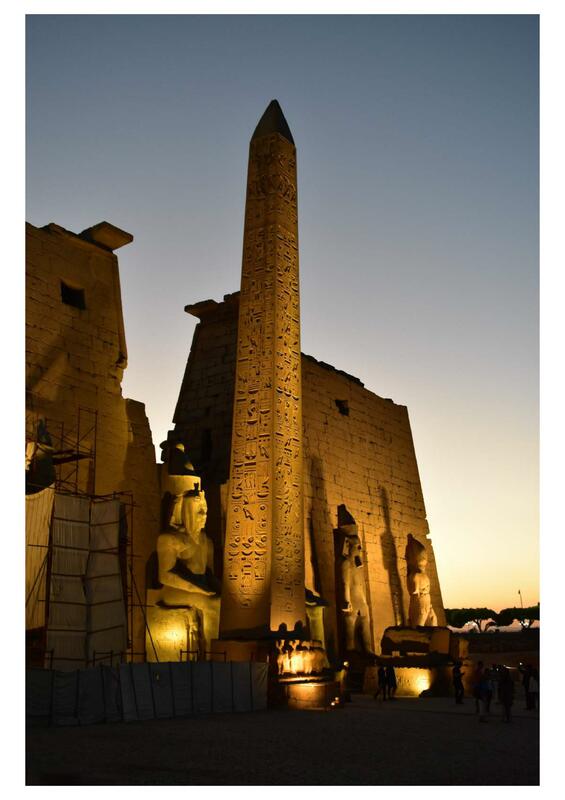 However, most of the later rulers were less powerful, so their statues and obelisks were smaller and made of lesser-grade material. 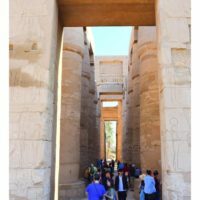 Karnak is like a long hallway: there is one, straight path from Luxor, to the entrance of Karnak, through the various sections of Karnak, to what our guide called the “Holy of Holies” of the temple — obviously, this was not the Holy of Holies from the Tabernacle or the Temple from Scripture. 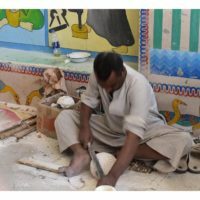 However, this room was where Amun-Ra, the chief god during this period, was kept and worshiped daily by Pharaoh or the high priest who worshiped in the name of Pharaoh. 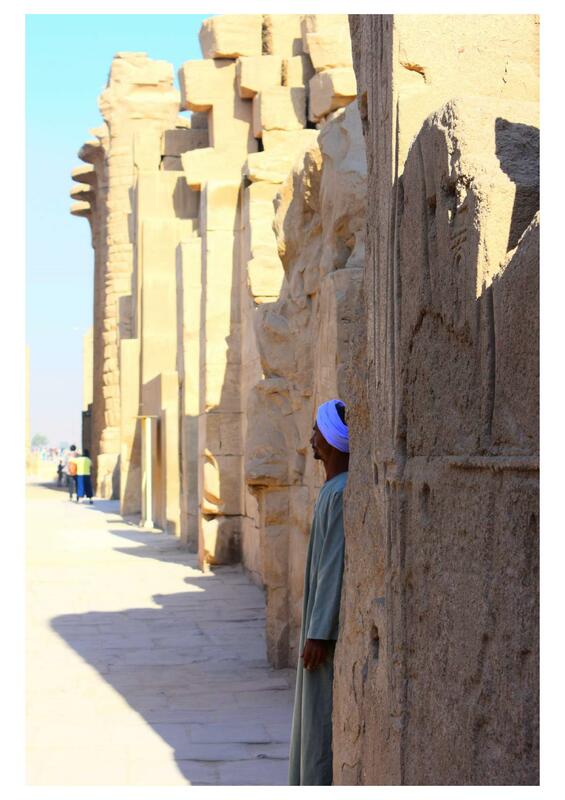 We stood where no Egyptian commoner ever hoped of standing. 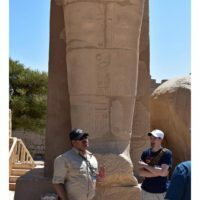 Mr. Mulvihill, John Ferret, and our guide Mido discussed how the pagan gods of Egypt are false and were the product of demonic influence upon humanity. Our enemy is crafty and has limited power, which he uses to deceive people away from the true way of God. The God of Abraham, Isaac, and Jacob stands alone as the true God who is worshiped in spirit and truth. 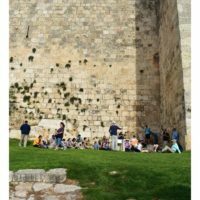 One important thing we looked at was a huge relief wall that told the story of Shishak, King of Egypt who attacked the southern kingdom of Judah during the reign of Rehoboam, and stole the golden shields Solomon had made and put into the Temple (1 Kings 14:21-31). 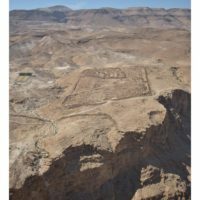 The relief wall said that Shishak – who, by the way, wasn’t ethnically Egyptian, but rather a Libyan military leader who took advantage of weakness in the Egyptian leadership and seized control – came to the land Canaan (Israel and its neighbors) and conquered it. This relief wall stands as archeological evidence that concurs with the biblical account, demonstrating the reliability, and much more, the truth, of Scripture. 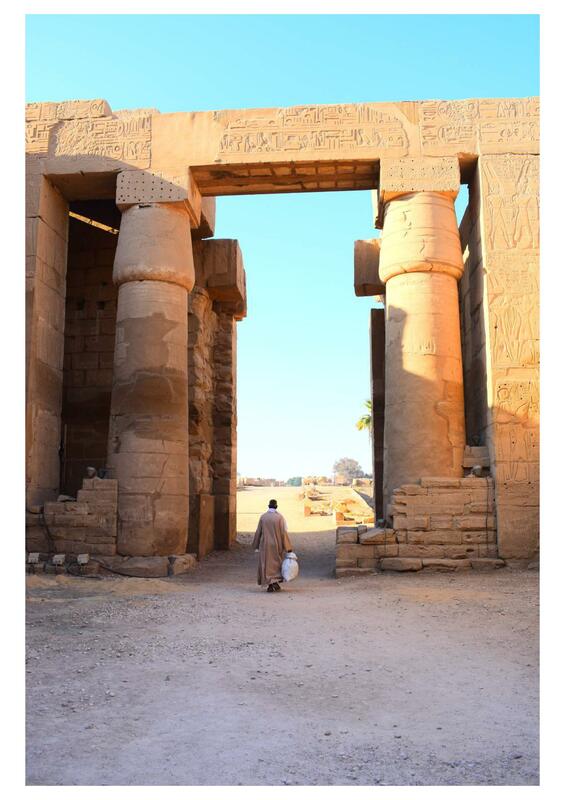 For myself (McGowan), the most interesting thing about Karnak was a place where Egyptian royal youth were educated. 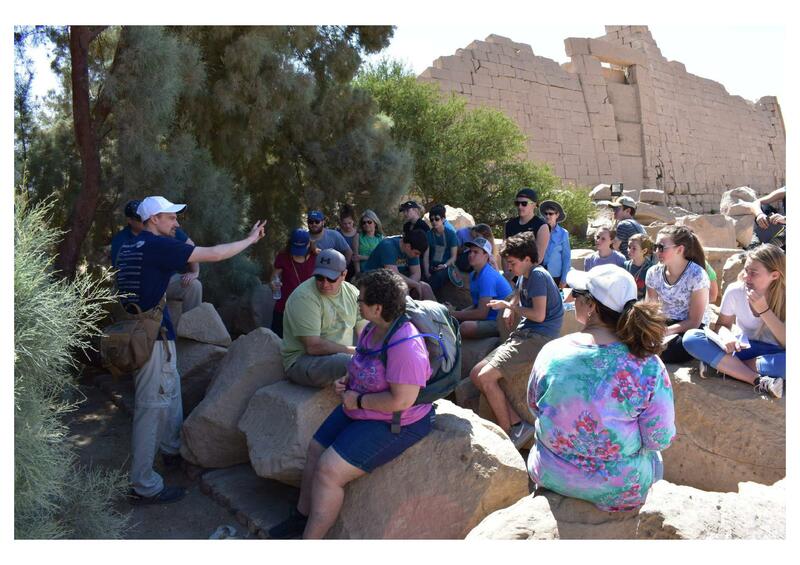 Our guide Mido said that it is highly likely that this is where young Moses received his education as well. It was an open space something like 30 feet by 30 feet, sunken down about a step. 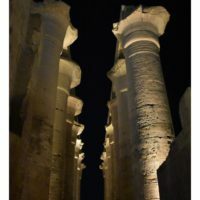 It had four rectangular pillars and wall that seemed, to my mind, to be the place where the teacher would lecture from. I stood in that spot by myself for several minutes. 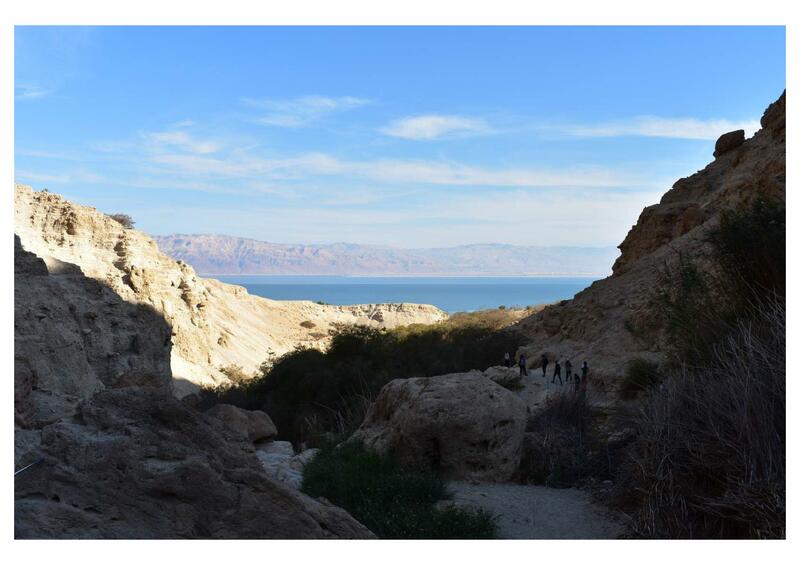 As a teacher of God’s Word, I tried to visualize standing in this space and teaching young Moses. Then I moved to where it seemed to me students would sit learning. 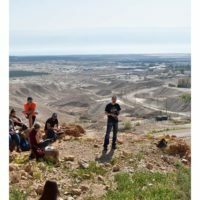 I stood in this place for a while as well, considering how I am a student of the Word of God, imagining being taught by the old man Moses who wrote the first five books of the Bible. 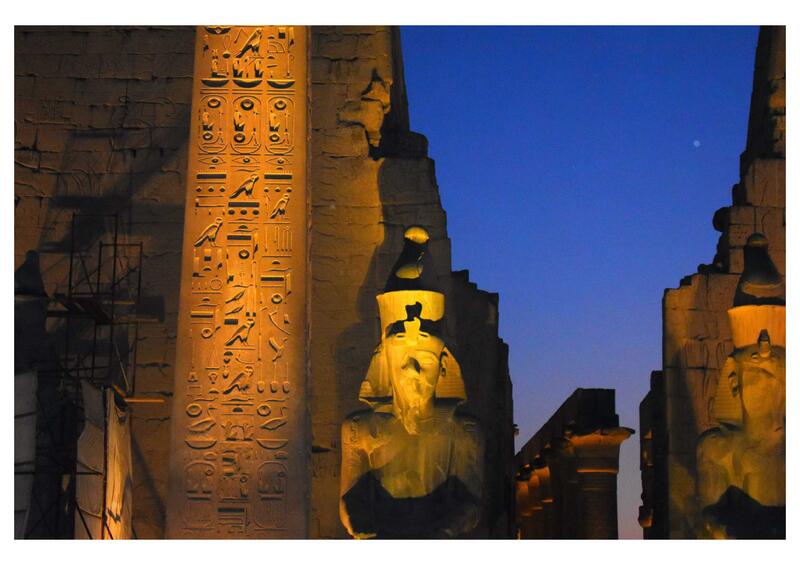 Overall, the picture of Luxor and Karnak together as a superstructure is extremely impressive and awe-inspiring. 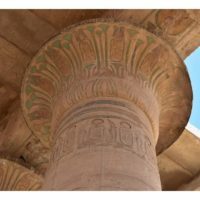 They are both feats of engineering and architecture, but also of art, history, culture, and the Egyptian worldview. 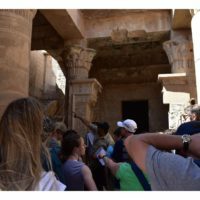 As our group progresses through the sites in Egypt, we are getting the details about each site but also a picture of how the Egyptians thought and lived. 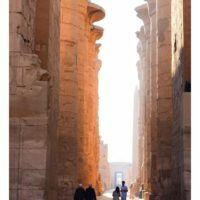 As John Ferret has repeatedly said, “If you want to understand the Torah (first five books of the Bible), you have to understand Egypt.” By seeing the what, how, and why of Egypt, we see the cultural context the Hebrews lived within and how it impacted their own worldview, for good and bad. 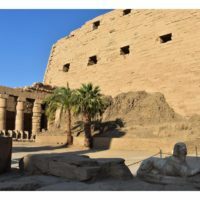 We left Karnak and took a short flight from Luxor to Sharm El Sheikh, on the southern tip of the Sinai Peninsula. 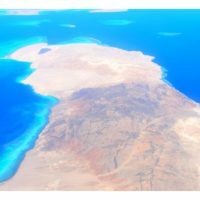 We then jumped on a bus for a three hour ride to Taba. We had a stop for lunch about half way along our route. 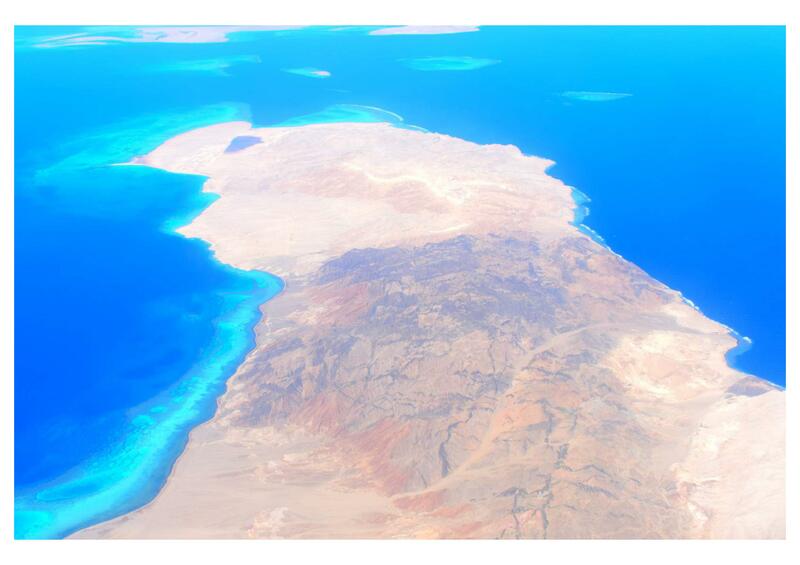 We ate lunch at an outdoor cafe right on the Red Sea – and let me tell you, from the airplane, the Red Sea is deep blue with turquoise accents. It is extremely beautiful. Our lunch was delicious. 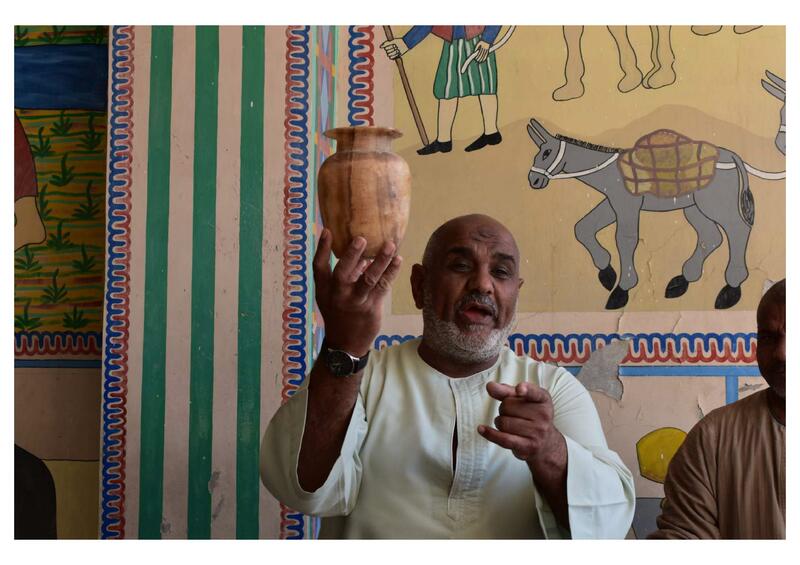 In a humbling gesture of hospitality and generosity, our wonderful guide Mido paid for all of our lunches. 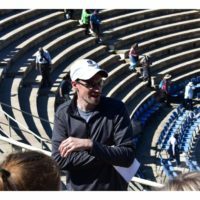 We really have enjoyed having him teach and guide us! 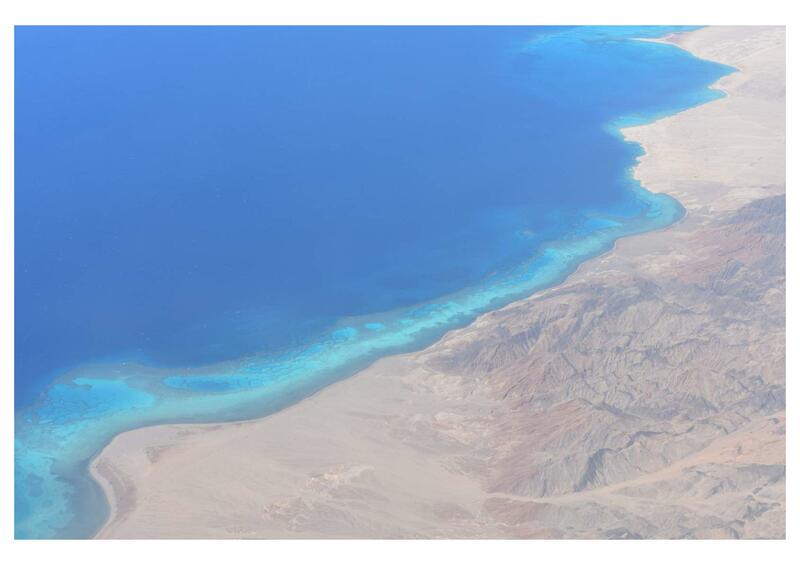 Sinai is beautiful country. The land is completely flat, except for the mountains, which jut straight out of the flat ground, almost at right angles. 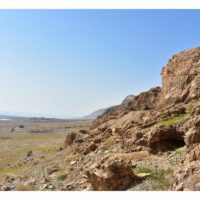 The mountains have vertical striations of sandstone, rose-granite, and what was either gray-granite or onyx – it looked like gray rivers flowing over the mountains. 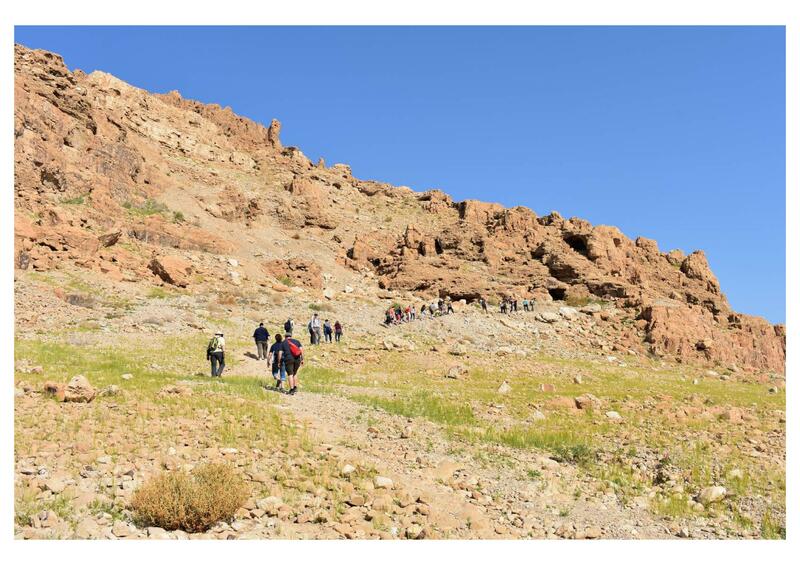 Our group came to a realization that the wilderness wandering wasn’t just strolling around on flat desert ground but weaving through the wadis between steep, jagged mountains. 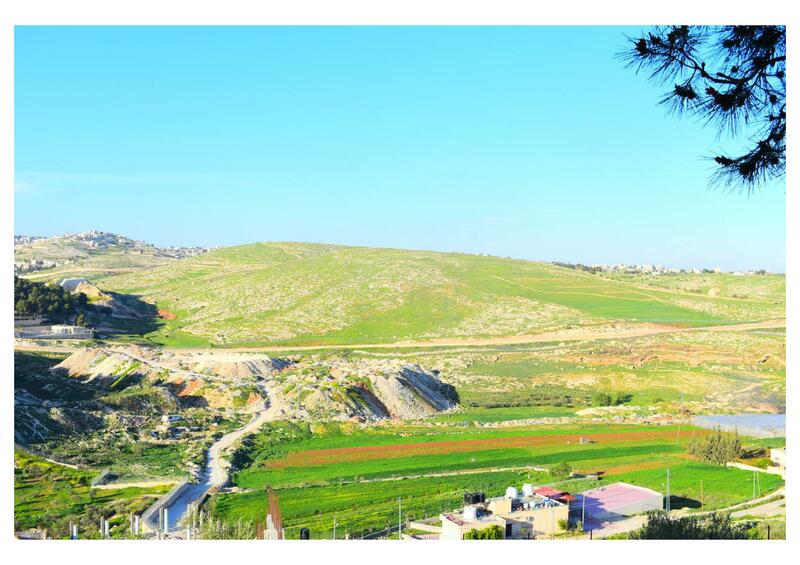 While beautiful, the land seems unforgiving of anyone caught out in the open — remember: God miraculously fed the Israelites with manna and gave them water from rocks every day. 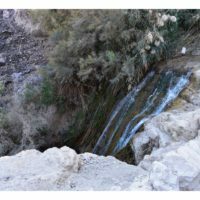 Along the way, we stopped at Wadi Wasit, a potential spot where the Hebrews crossed the Red Sea – however, both John Ferret and our guide Mido both agreed that this was probably not the site. 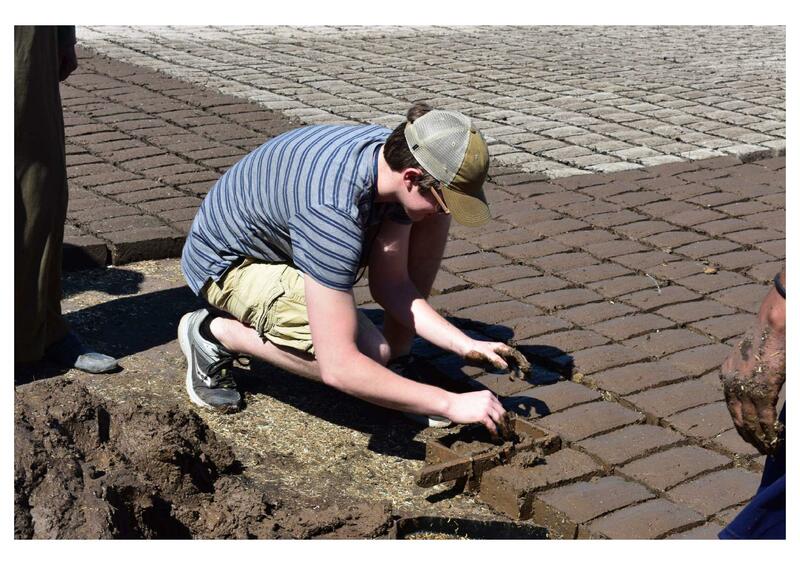 But, it gave us an idea of what such a spot would look like. 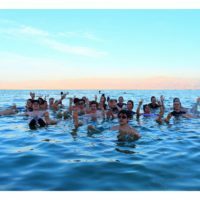 To sit at the edge of the Red Sea and look across to Saudi Arabia – to see something of the landscape that the Hebrews saw while also seeing God protect them from Pharaoh’s army as a Pillar of Fire and Smoke, it made an impression on our group. Because we were not technically supposed to be teaching or doing what could be considered missionary work at this location (Christian missionary work of any kind is illegal in Egyptian law), the Tourism Police put pressure on us to leave, so we cut our lesson short and finally got to our hotel, which is a resort right on the beach of the Red Sea. 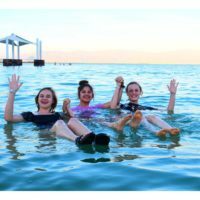 We arrived around 5:30 pm, and after we got through security and checked in, we only had 15 minutes to go down to the Red Sea before the beach front closed. Only a few of our group made it in time to get into the water. Some of the boys jumped right in. I only got in up to my knees. 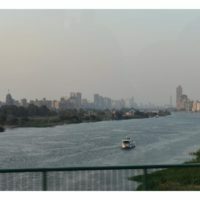 It was kind of mind blowing to think that we were standing / swimming in a body of water that God parted, and through which the Hebrews walked on dry ground, and in which God drowned the Egyptian army before Pharaoh. 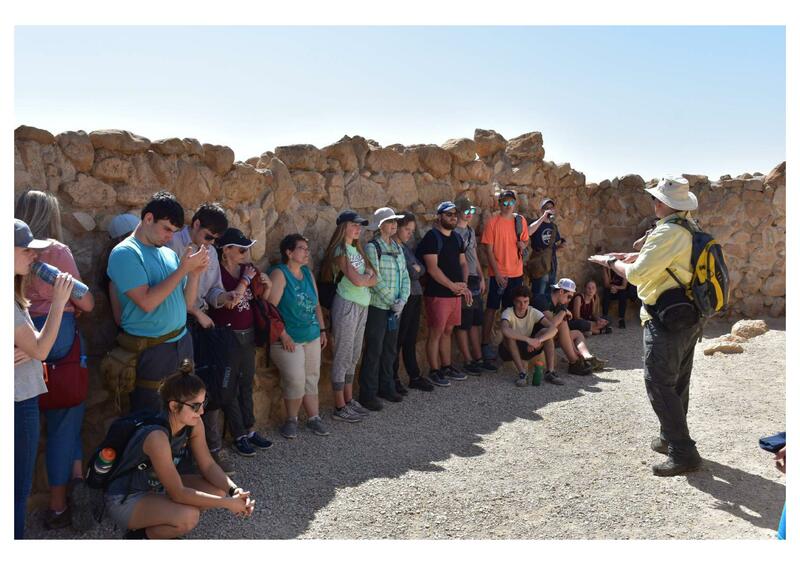 Tomorrow, we leave our beloved guide Mido behind and head into Israel. 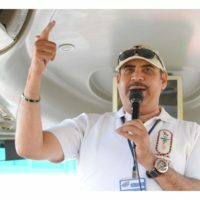 I learned today that while there are over 20,000 tour guides in Egypt today, Mido is one of only 11 that are biblically-minded. We have been truly blessed. 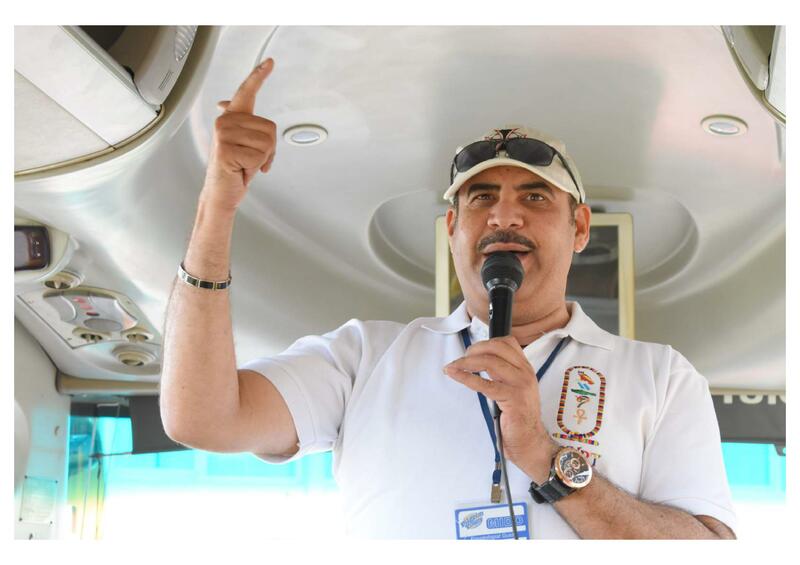 Clearly, he loves his work and sees it as ministry, not just a job. 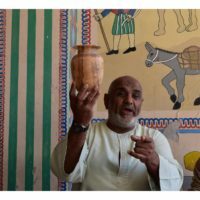 He has taught us Egyptian history, always pointing to the biblical history of the Old Testament and to the fulfillment of it by Jesus Christ our Lord. 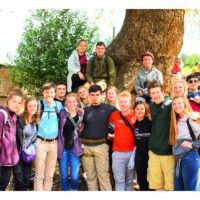 Our education here has been dynamic, and it is thanks in large part to Mido, working together with John Ferret and Mr. Mulvihill. 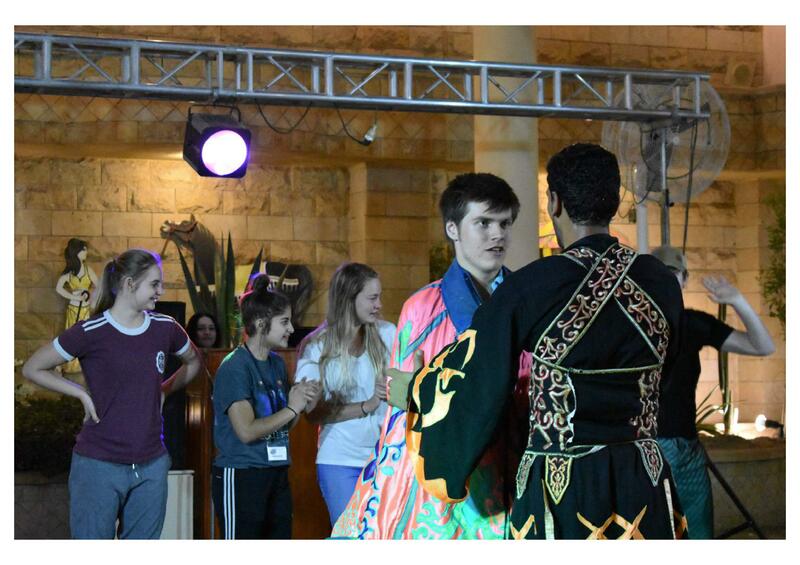 We will miss Mido, and we pray that God will continue blessing him and using him to bless others. 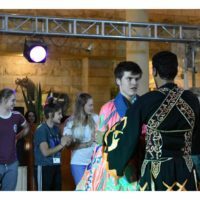 Thank you so much, Mido – our Egyptian brother in Christ! Today was an absolute blur. 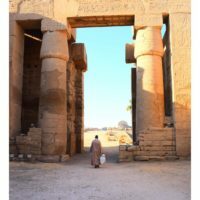 We were out of our hotel by 5:00 am and on a flight south to Luxor. We visited several sites today. 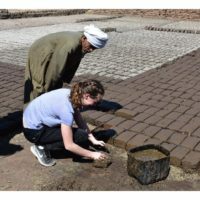 First, we went way off the beaten path to a farm that produces mud bricks, using the same method used by the Hebrews in Egypt, with mud mixed with straw placed in a wooden frame, smoothed out by hand, and left to dry in the sun. 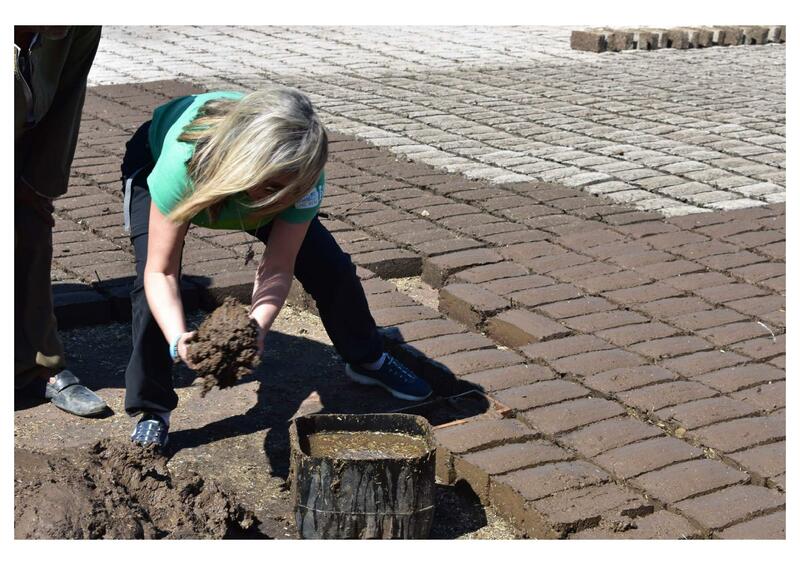 The farm had what looked like thousands of bricks already made, and it seemed like the workers could have knocked out a few hundred in an hour. 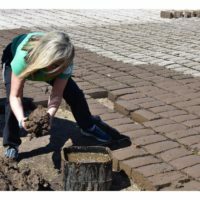 Our group was invited to try our hand at making bricks. I (McGowan) went first. I don’t think my brick will be used for anything load-bearing or structural. 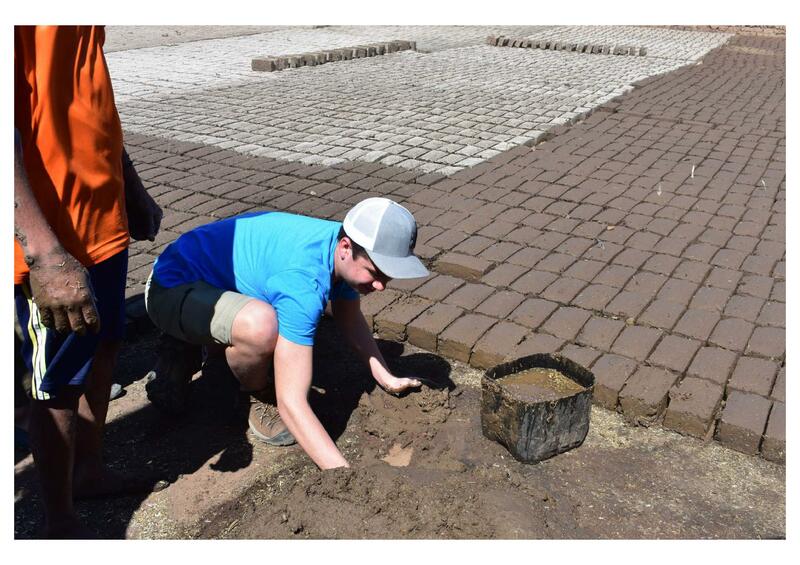 Brandon Andre, Sonya Mertes, Lauren Block, Dani Olson, Hunter Mertes, and Mr. Mulvihill all made bricks. 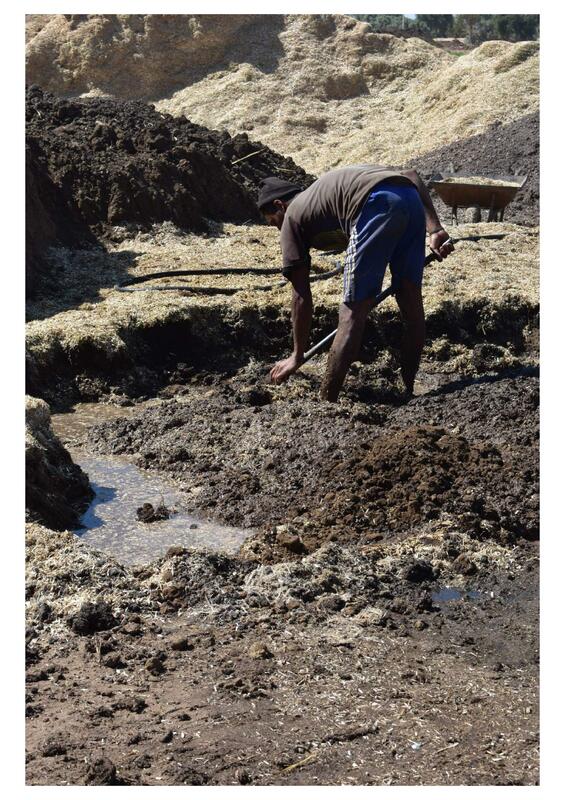 The workers had a good time watching us struggle, and Sonya was proposed to by the owner of the farm. She declined, in case you were wondering. 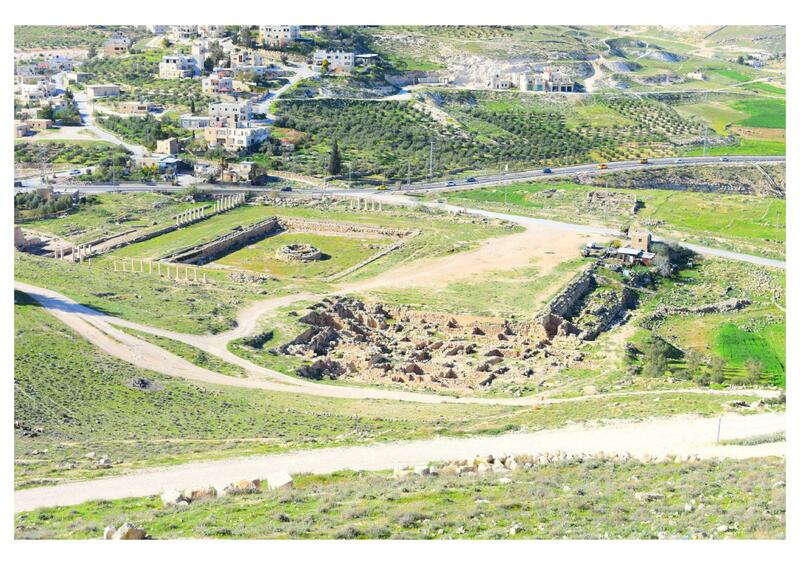 We then went to the Ramasseum. 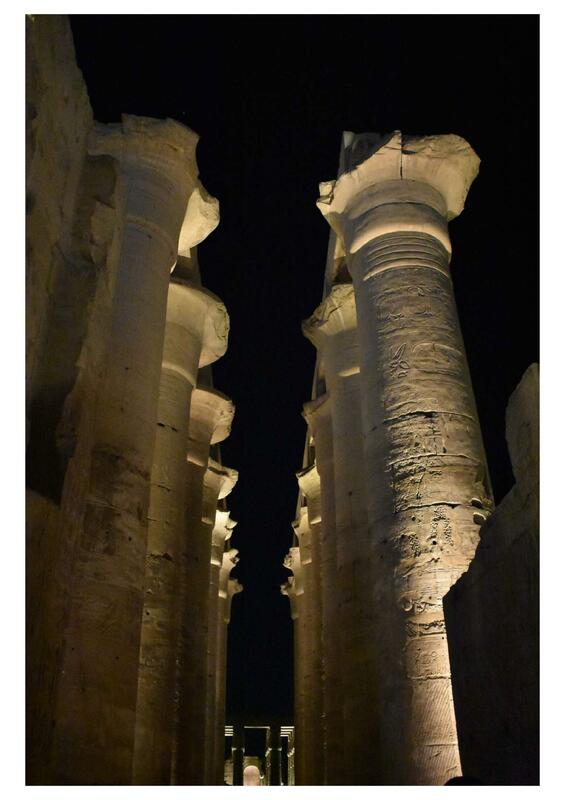 This huge structure showed the power of Pharaoh to the masses. 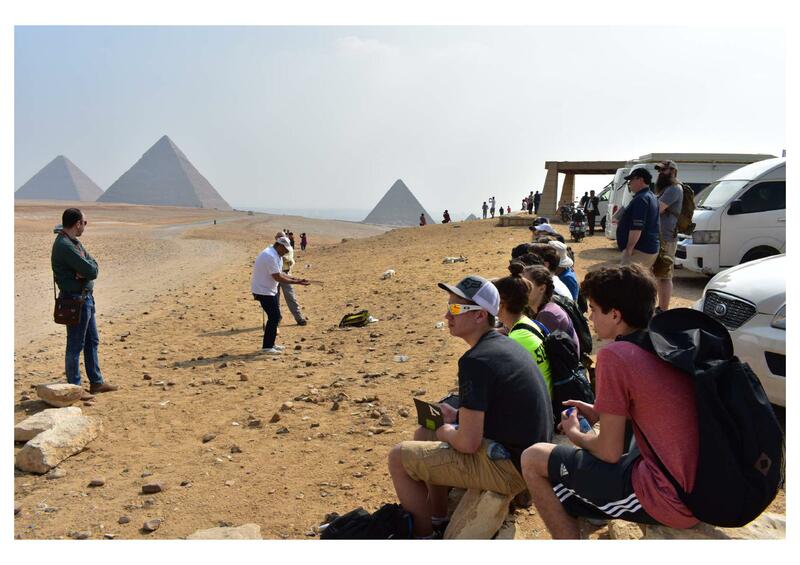 In a beautiful wooded area nearby, Mr. Mulvihill gave a devotion of how the Lord demonstrated that Pharaoh as well as the gods of Egypt were powerless through the ten Plagues, each of which targeted particular gods, exposed them, and openly defeated them. Only YHWH is the true God. 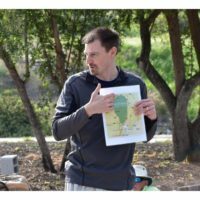 When Mr. Mulvihill attempted to teach within the structure, however, we seemed to have broken the law – non-guide teachers had to have special permission to teach, and he didn’t have it. 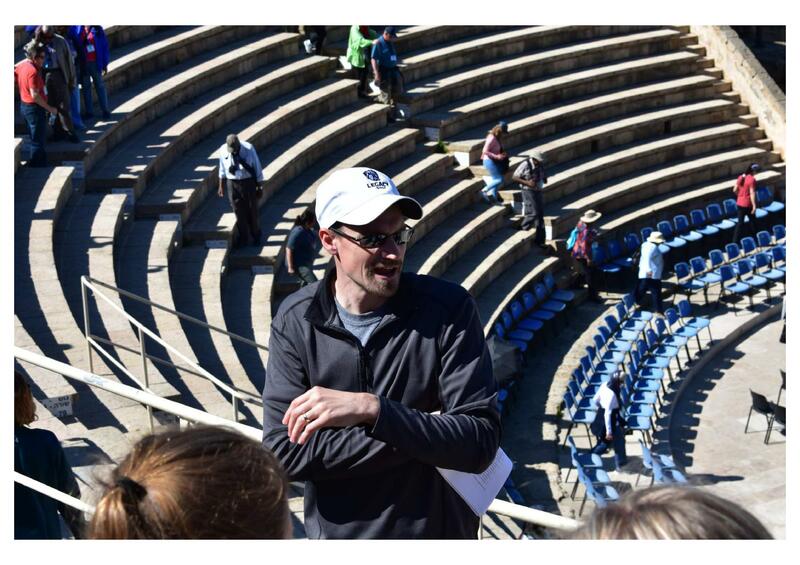 So, we got yelled at in Arabic, which was fun, and our guide had to take over. 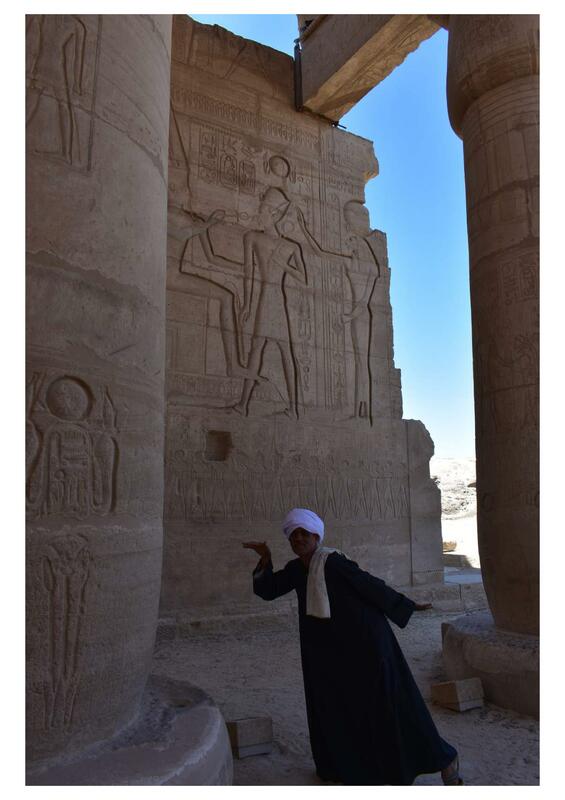 So many beautiful and colorful statues and hieroglyphics. 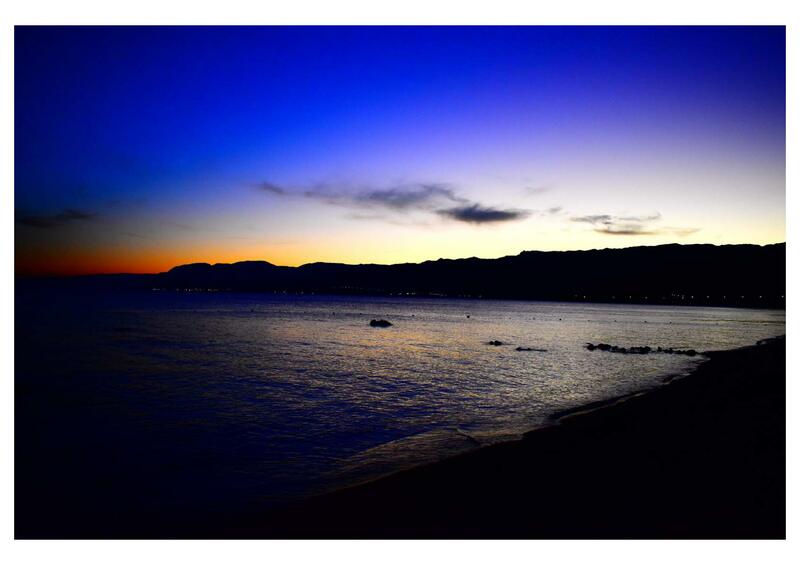 I wish we could have stayed longer. We then had lunch at the Moon Valley Restaurant. The food was delicious, and many from our group tried Turkish style coffee, which is quite different from Caribou. 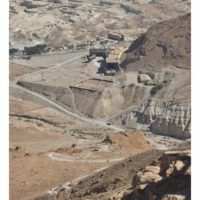 After this, we went up the road a ways to Dier al Media, a settlement of the workers who worked on the tombs in the Valley of the Kings. 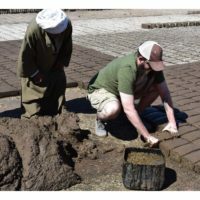 Both our guide and John Ferret tied this to how the Hebrews lived during their time in Egypt. 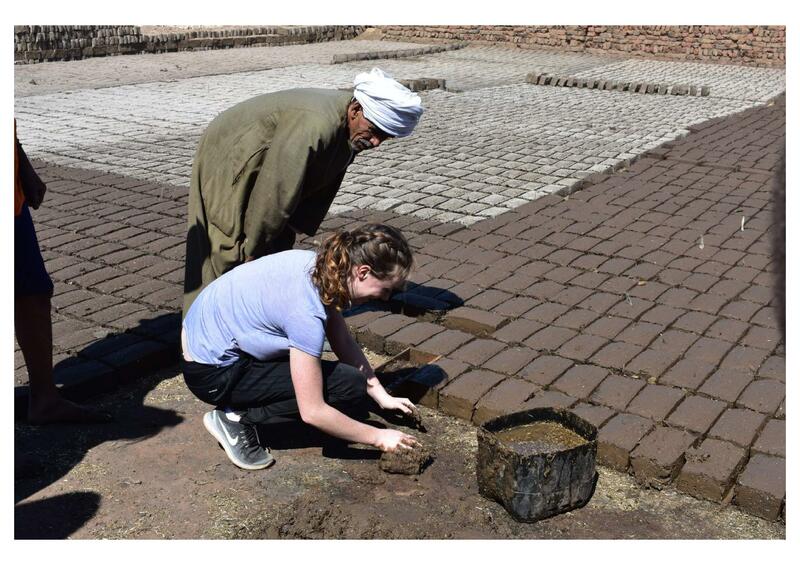 Stone and mud brick houses, built close together, allowed for a close-knit community. There were also workers’ tombs in the same area. 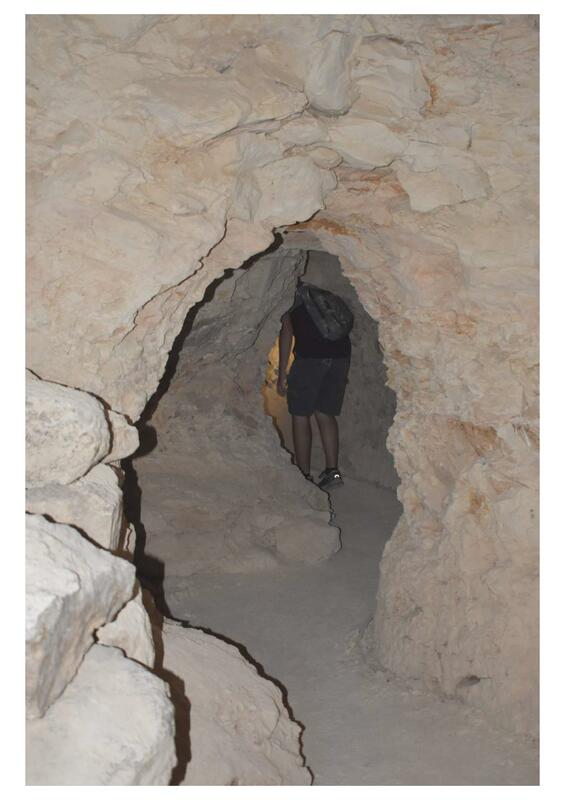 We went down into two of them. They were surprisingly large and quite beautiful. 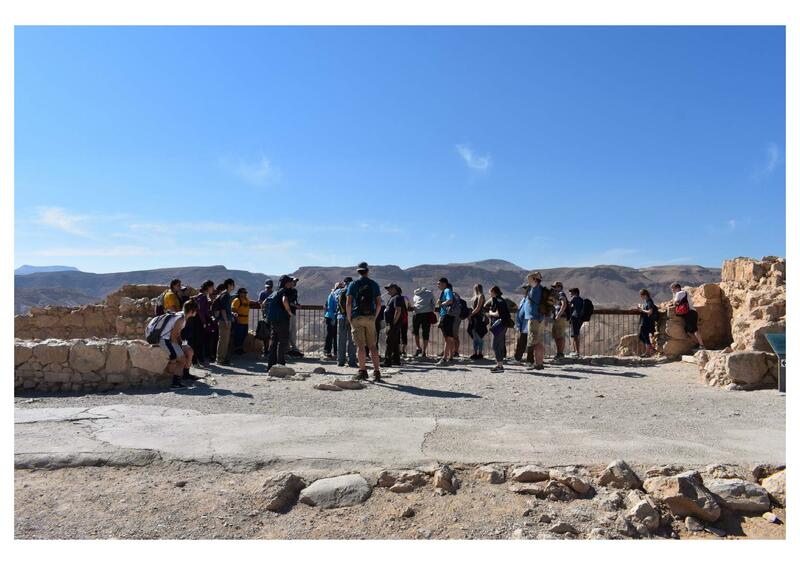 After this, we traveled to the Valley of the Kings, where many kings of Egypt were buried in secret so their treasures could not be plundered. 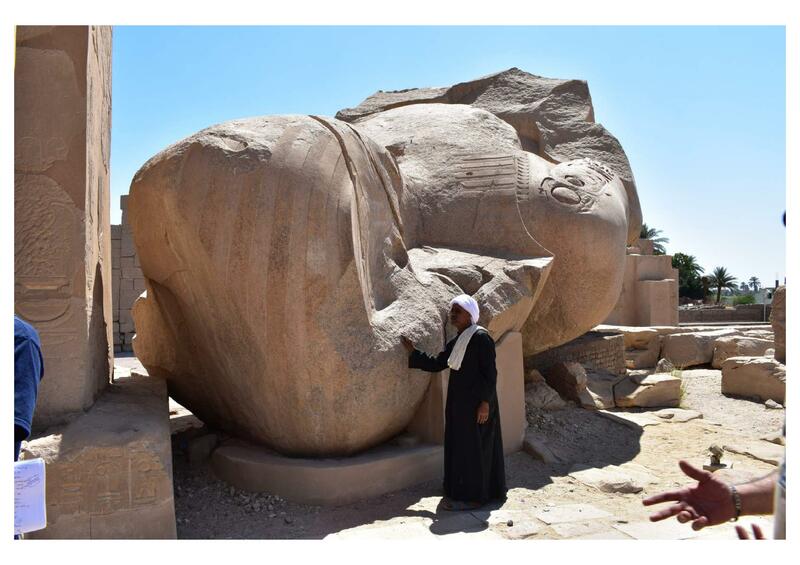 Sadly all but one of the 61 tombs discovered had been plundered. I suppose the secret didn’t stay secret for long. 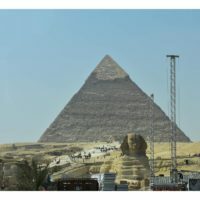 The only king whose tomb was intact when it was discovered was King Tutankhamen, or King Tut, whose treasure we saw at the Egyptian Museum yesterday. 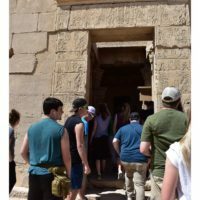 We went into the tomb of one of the kings. 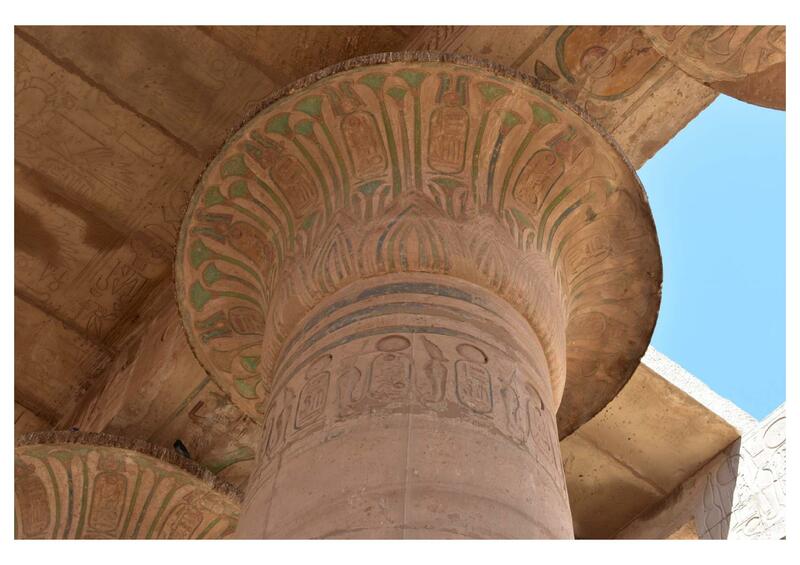 Huge and immensely beautiful, the colors were still on the hieroglyphs, and still vibrant. 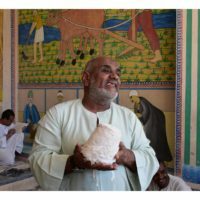 We left the Valley of the Kings and went to a nearby alabaster factory. 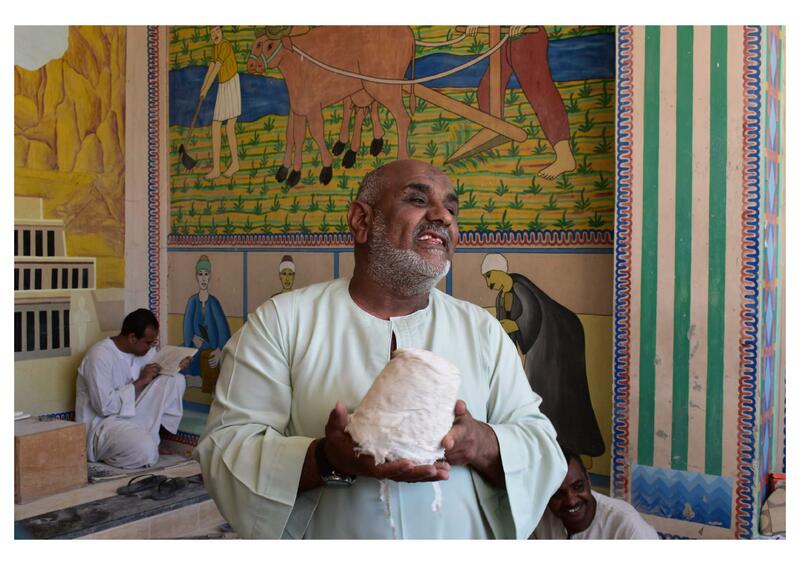 Alabaster is only found in two places in the world, both in Egypt. 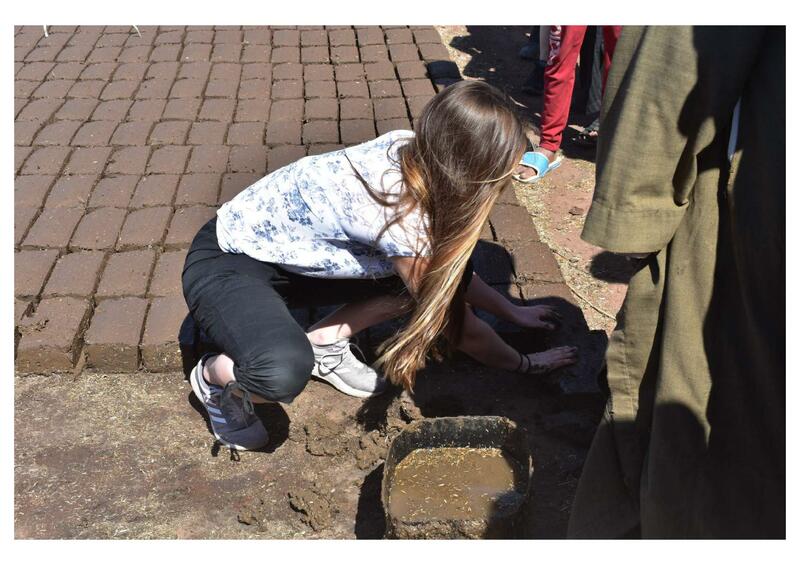 We saw a demonstration of how it was sculpted and were given a chance to buy some pieces. The owner was very hospitable towards us, offering our entire group tea, which was excellent. Sonya Mertes was proposed to again by the sculptors. She refused this proposal as well. 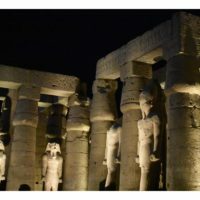 We needed our entire evening at the Temple at Luxor. I can’t explain well enough just how overwhelming this temple is. 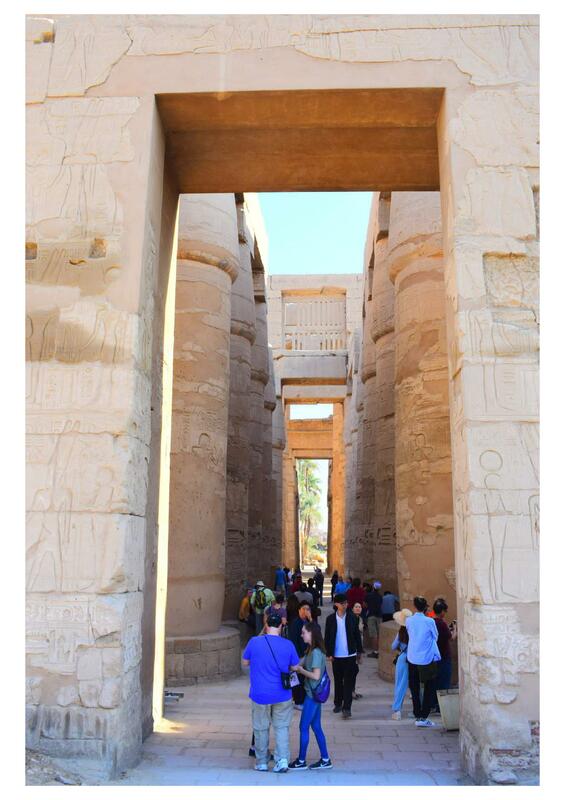 The entire structure was used to show birth and rebirth of the gods and of Pharaoh. 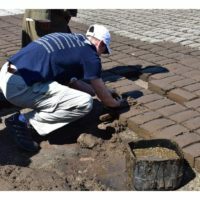 It had a road that was three miles long that connected it to Carnac, which we will see tomorrow. 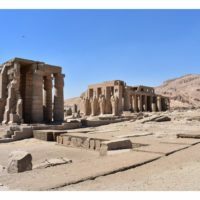 Several dynasties and empires used this temple – the ancient Egyptians, the Greeks under Alexander, the Ptolemies, the Romans, the Church modified an area to be a chapel, and the Muslims built a mosque inside that is still used today – it is over 900 years old. 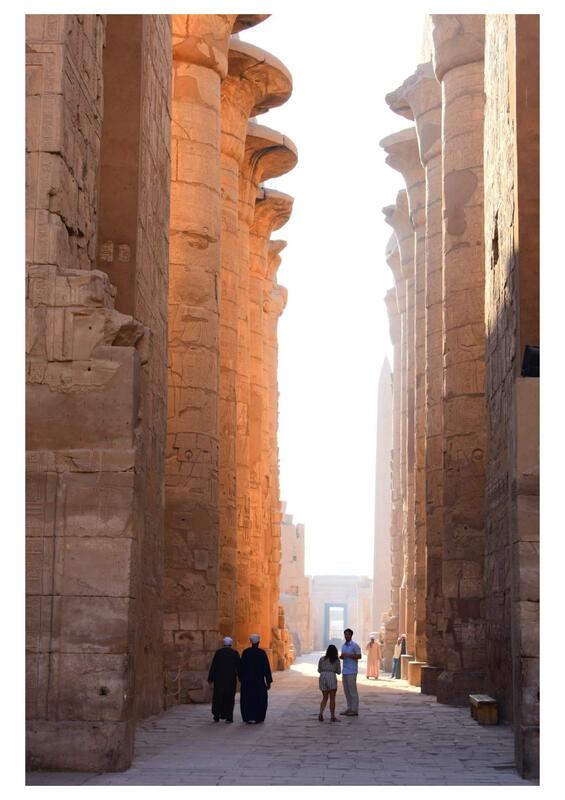 We learned that for the Egyptians, once a place is holy to one group, all later groups also consider it holy. Yes, all that in one day! We finally arrived at our hotel and had a wonderful dinner. 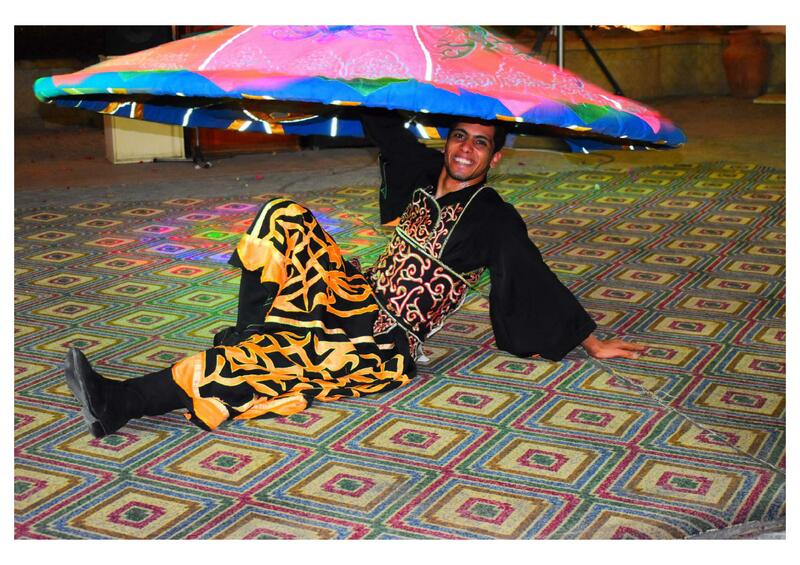 We are in an open air courtyard and had live entertainment in the form of music and dancers. And now, it is off to bed! We have an early morning of yet another day tomorrow. 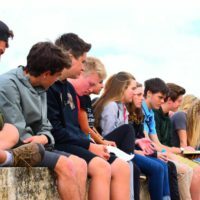 Mr. Mulvihill began our day with a devotion encompassing Genesis 1-11 and how the narratives of those chapters point to God’s desire to be in relationship with His people, and that desire especially being demonstrated in Jesus Christ. Even in judgement of sin, God shows His love and lays out His plan of redemption. 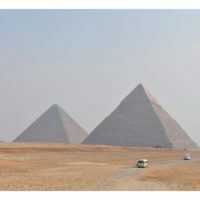 Today our group went to the Great Pyramids at Giza. It was amazing to stand so close and be dwarfed by such enormous, human-made structures. 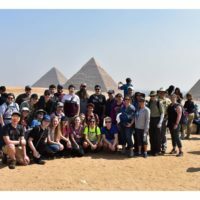 Mr. Mulvihill, John Ferret, and our guide Mido taught so many aspects of the Pyramids in such a short amount of time – I am sure we could spend days just learning about the Pyramids. 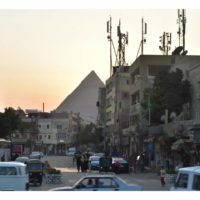 Built approximately 500 years before Abraham visited Egypt, the Pyramids functioned as tombs, but much more deeply demonstrated a theological story of Redemption and Resurrection. On the one hand, the smooth sides of the Pyramid symbolized Ra the sun god extending his hands, sunlight, towards humanity. 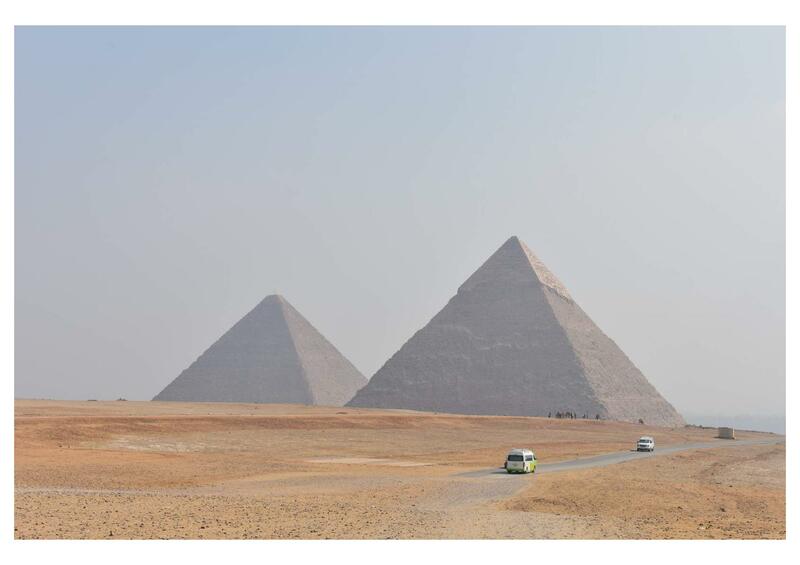 On the other hand, upon death Pharaoh would use the Pyramid-like steps to travel towards the heavenly Paradise – something like Eden. 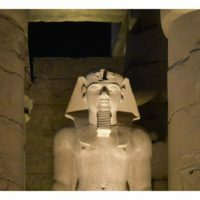 The body of the King, mummified and thus not destroyed by death, stood as a symbol of his power and of coming new life. 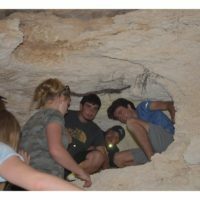 Some of our group actually went into one of the tombs of the queens, who were given small pyramid tombs by the Kings. 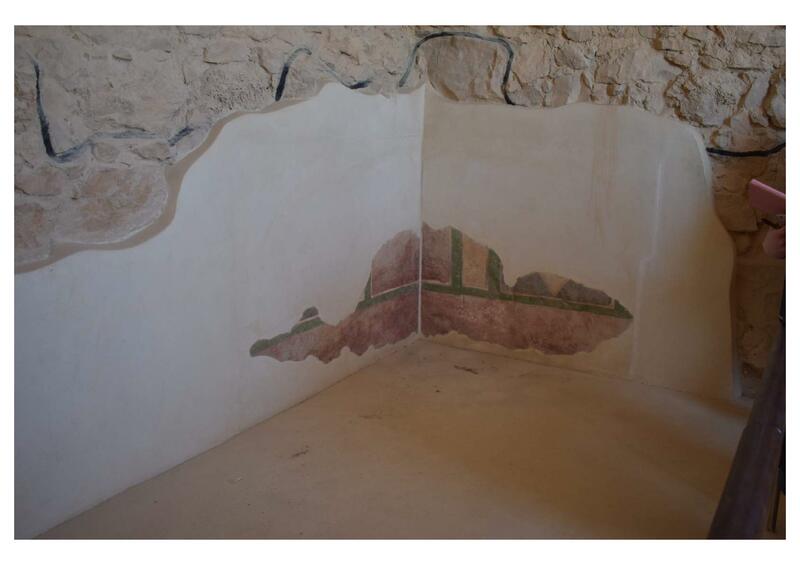 We then visited a building housing a huge Solar Boat – something excavated only about 40 years ago. 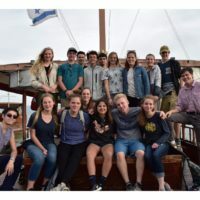 This boat, which was fashioned with timbers and ropes (no nails whatsoever), was used to bring the King of Egypt and his wealth across the Nile, which we learned was a picture of going from this world into the heavenly Paradise, like a sort of Eden. This boat was very well preserved. 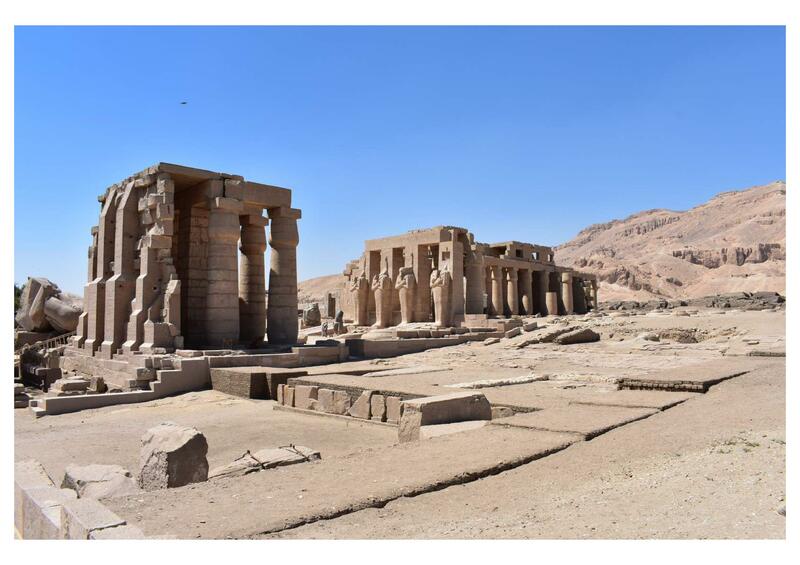 It was truly amazing how the desert climate of Egypt keeps so many relics from antiquity in such great shape for so long. 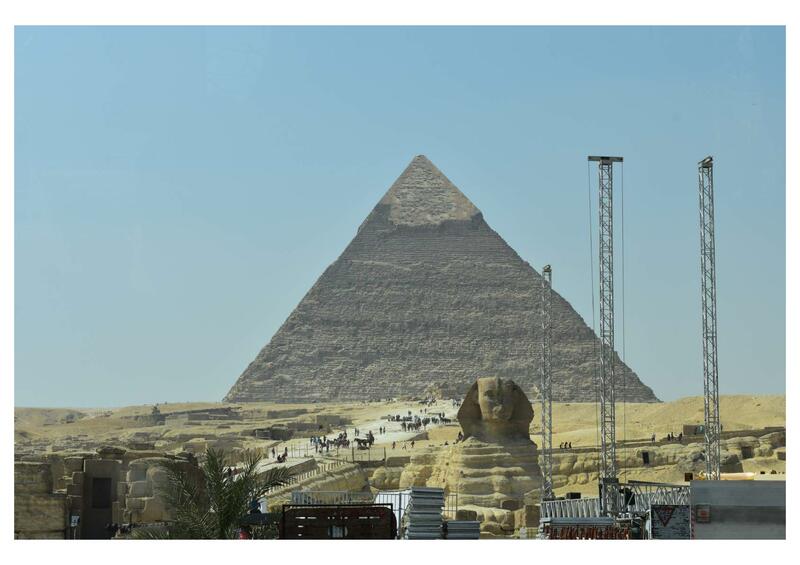 As we left the Pyramids, we drove by the Sphinx, which was much smaller than you’d think. 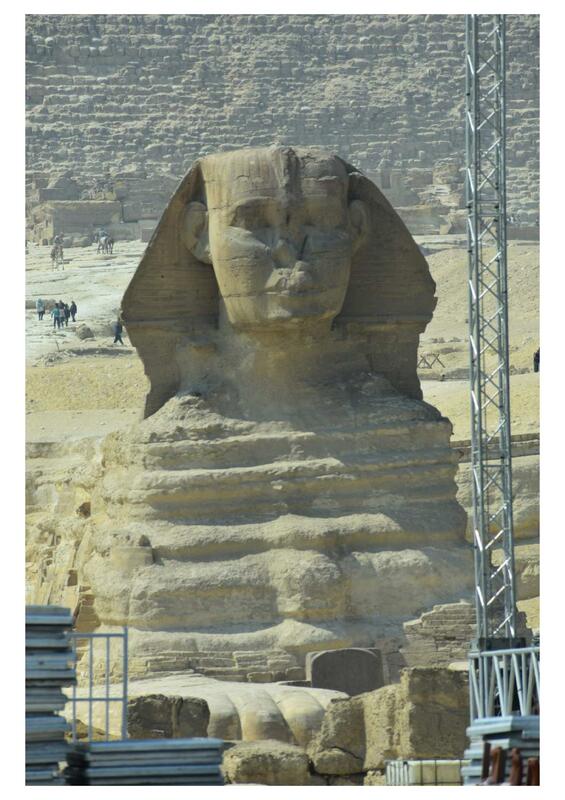 Comprising three symbols into one image of the King, the Sphinx was a guardian of the way to the Pyramids. 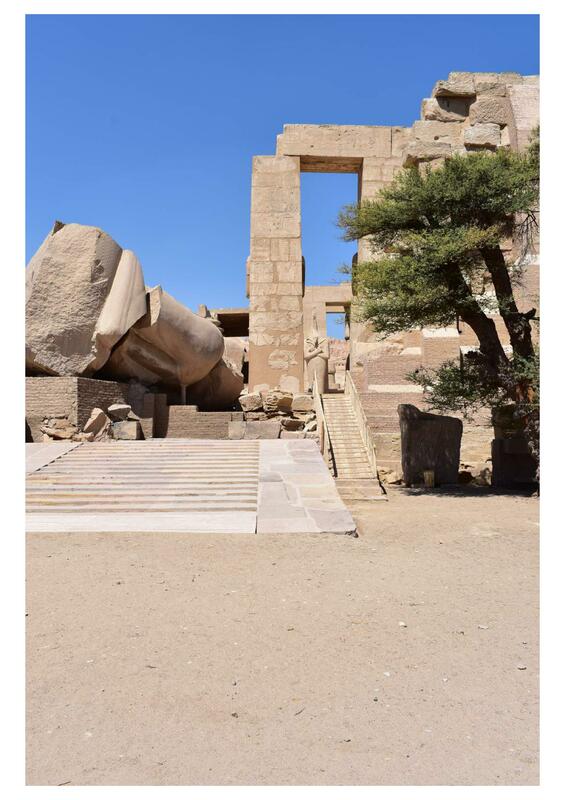 Our guide pointed out the Dream Stela stone, which sits between the front paws of the Sphinx. 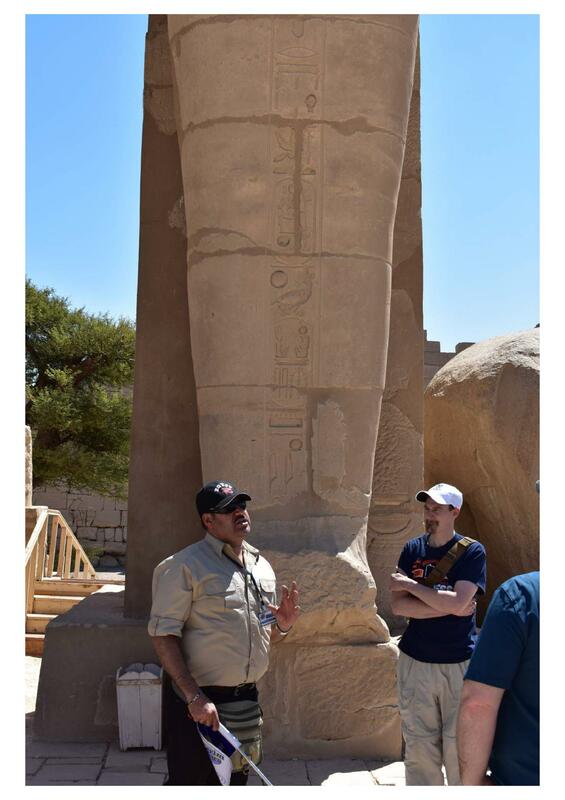 This stone is one of the only archeological items that references Joseph’s leadership in Egypt. 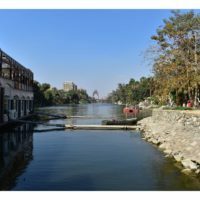 We had lunch on the Nile River, where we sampled a variety of traditional vegetable and meat dishes. 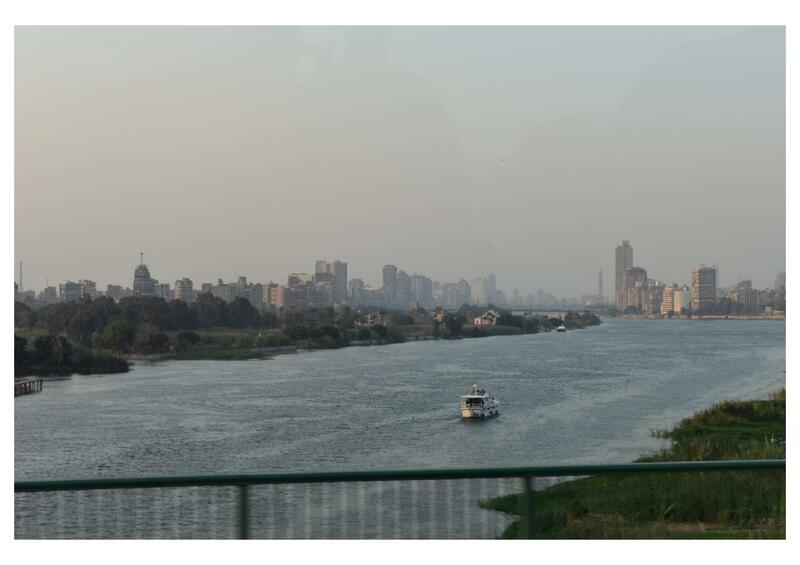 The windows were opened, and the Nile’s breeze blew in. It was cool and refreshing, which was needed after a long morning of walking and learning. 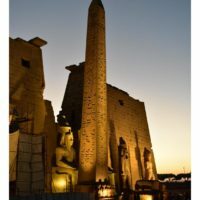 At the Egyptian History Museum, we were able to see some treasures and the sarcophagus of King Tutankhamen. 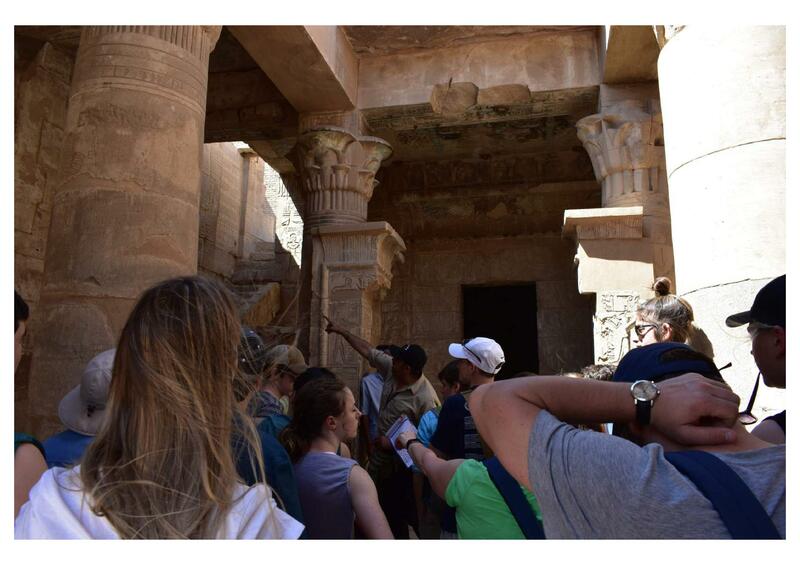 We saw many statues, hieroglyphic tablets, busts, and other artifacts. We could have stayed there for days, but we had to go once the museum was closing. 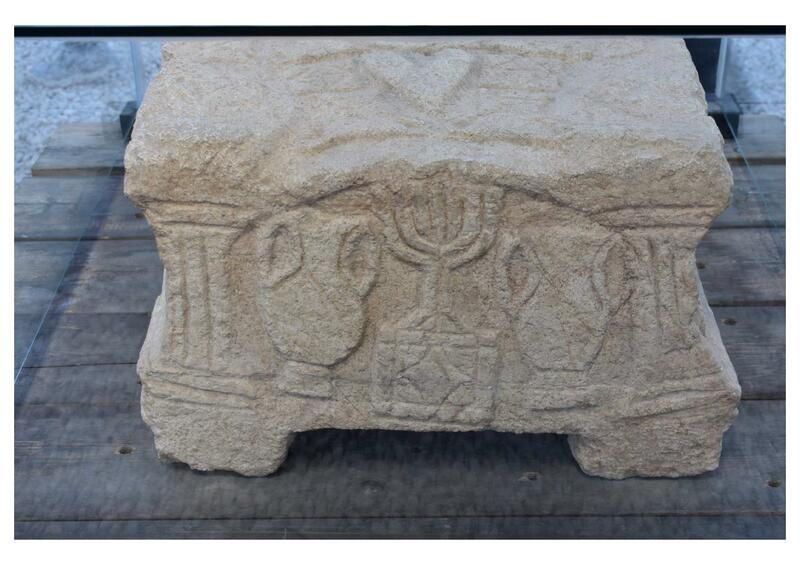 One very interesting, large stone tablet made reference to Israel. On this tablet, the King recorded how Egypt had defeated and conquered several foreign nations. 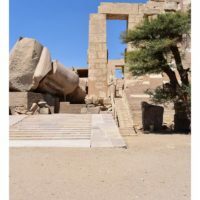 However, when Israel was mentioned, the tablet only said that no Israelites remained in Egypt – not that they were conquered, but that they were just no longer present. The King did not record the defeat of Egypt at the hands of YHWH. The last place we stopped before dinner was the Papyrus Institute, where we watched a demonstration. Many of our group then bought papyrus works of art. Did you know that there is no pyramid emoji, at least not for the basic iPhone package anyway? I was texted by a fellow trip-mate early in the morning on the day we were to depart, and she sent emojis of airplanes and smiley faces. 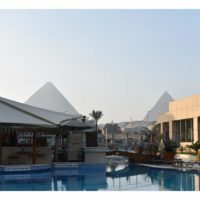 My initial thought was I’d send her back a pyramid emoji, since the hotel we’re staying at our first night overlooks the Great Pyramids. That is when I discovered there were no such emojis. My expectations were not met. I cannot remember a time when I’ve had a flight that left in the middle of the day. 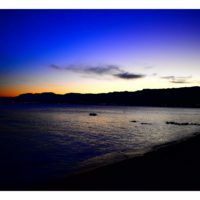 Almost every time I can think of, my flight leaves sometime in the very early morning – so I either don’t sleep before the flight or I have to wake up very early. 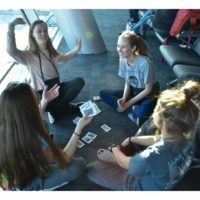 For this flight, I woke up at a normal time, brought my kids to school, and spent some time with my wife before I was picked up by a carpool going to MSP. Happily, my expectations for flying were not met. 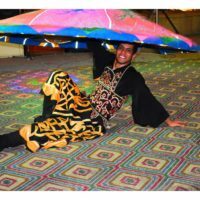 I am 6’4”, and flights are very uncomfortable for me. No matter how long or short the flight, I am usually cramped. However, when the woman at the ticket counter for Turkish Airways saw that I was taller, she tore up my boarding passes and arranged for me to sit in an exit row – more leg room. I expected to be jammed into a small space for 11 hours, but my experience was very different from my expectations. 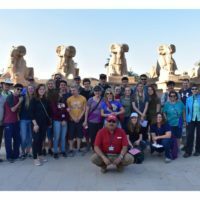 We arrived at Cairo and met our tour guide, Mido. 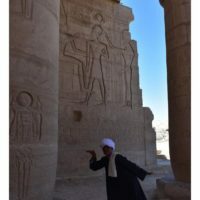 He is a Coptic Orthodox Christian and an Egyptologist, a pleasant man who is very excited about Egyptian history and culture – from all periods, not just ancient or modern. 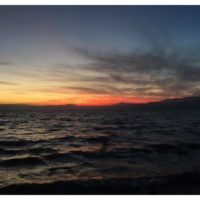 He began his opening spiel by talking about a story in Genesis – when Joseph called for his family to join him in Egypt, Jacob – Joseph’s father – was worried. 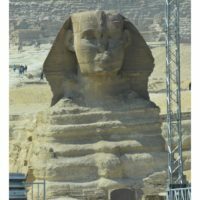 Egypt was a foreign land, away from all he knew. 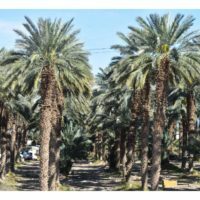 On the journey, Jacob offered sacrifices to God in Beersheba, just at the general border between Egypt and the Promised Land. Accepting the sacrifices, God spoke to Jacob saying, “I am God, the God of your father. 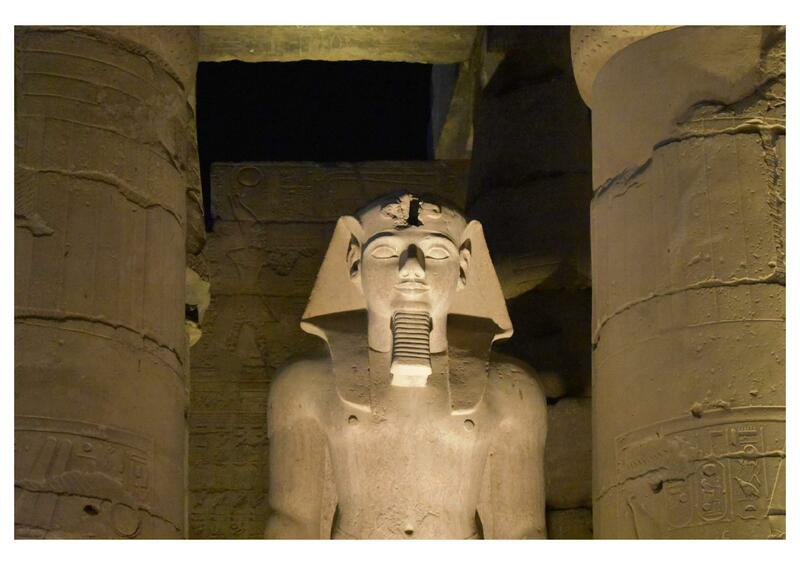 Do not be afraid to go down to Egypt, for there I will make you into a great nation. I Myself will go down with you to Egypt, and I will also bring you up again, and Joseph’s hand will close your eyes” (Genesis 46:3-4). Moses records that as soon as God spoke, Jacob packed up and set out for Egypt, unafraid, with his entire family. 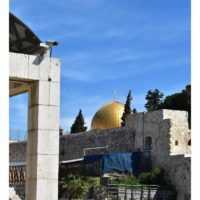 When planning to go on this trip, I – like most people – consider the recent history of the Middle East, with the Arab Spring uprisings, with turmoil between nations, with terrorism and violence reported daily in the news. I become concerned, and even a little afraid. 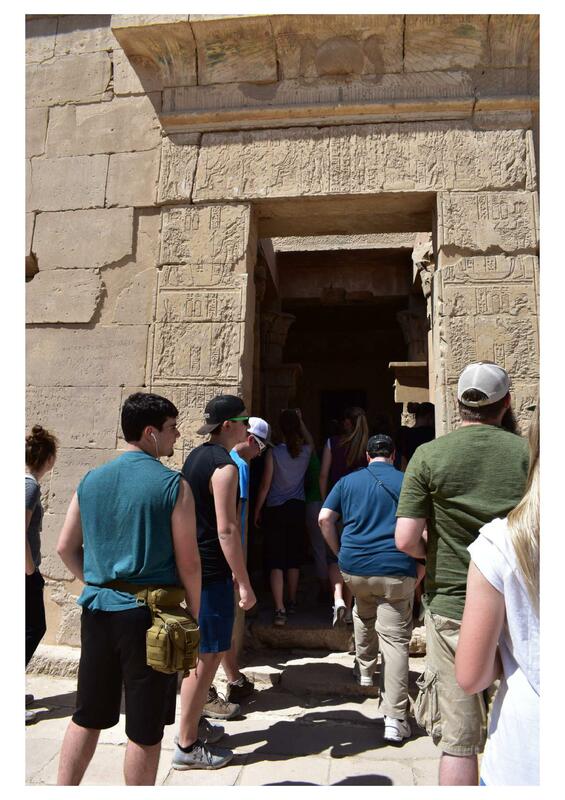 I imagine parents of the students on this trip were also afraid. 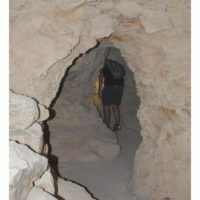 It is easy to expect danger to lurk around every corner, especially in places that are new and unknown. But, if God is sovereign – and He definitely is – then nothing can happen that He has not planned out to happen, and whether pleasant or painful, it is always for our good. He assembled our trip group in the best possible way because He is all knowing and all good. He has set us on this journey to teach us and provide us with experiences that will increase our knowledge and appreciation for His providence over all of the nations, especially His own. I expect God will teach each of us something on this trip, something that will forever change us. And to paraphrase Paul, He will abundantly surpass all of our expectations (Ephesians 3:20).